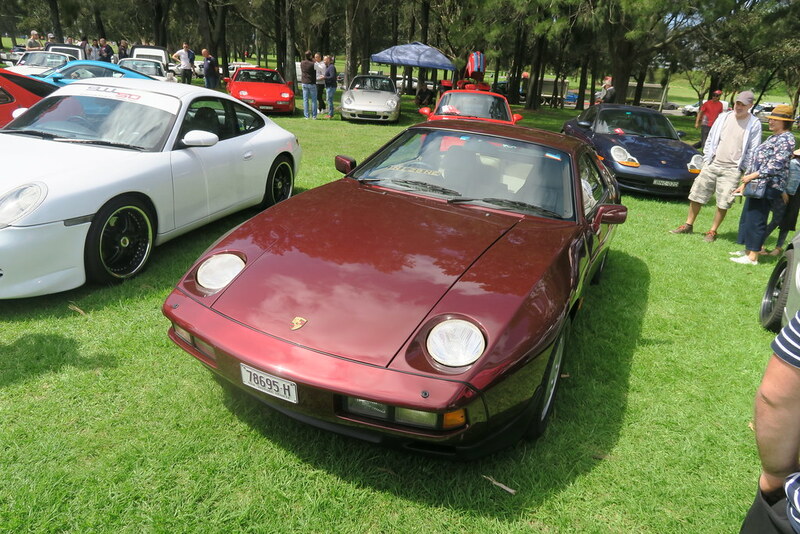 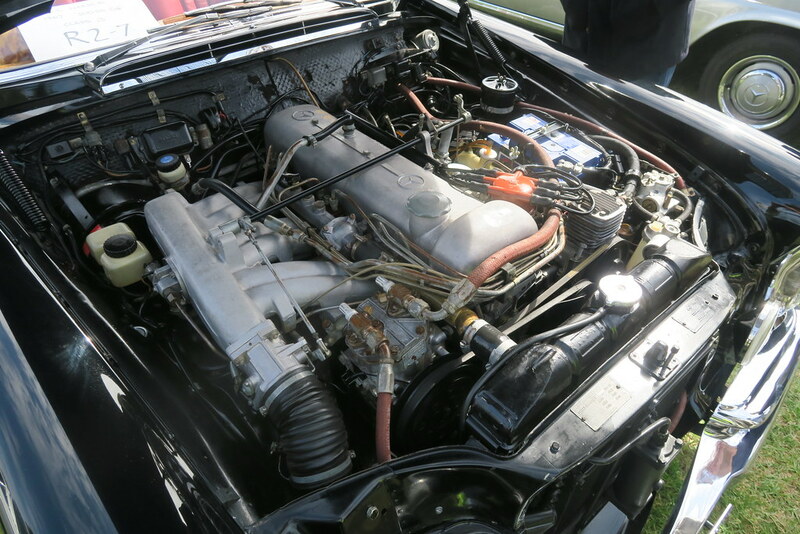 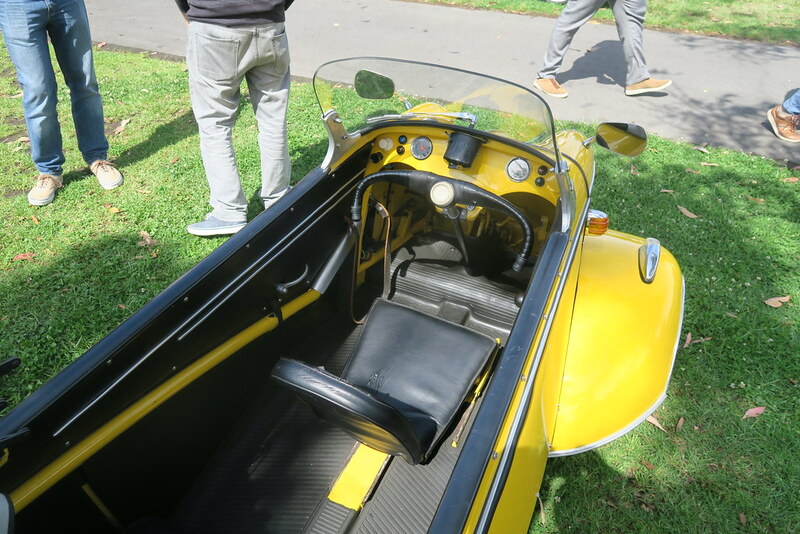 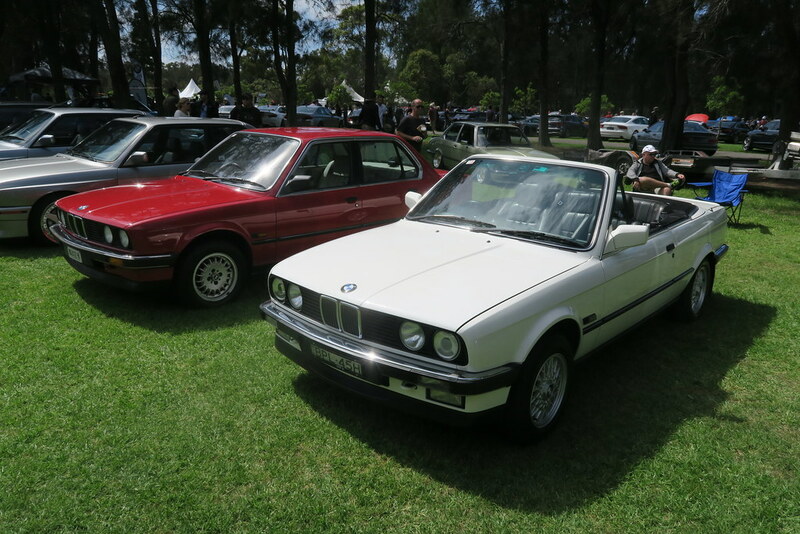 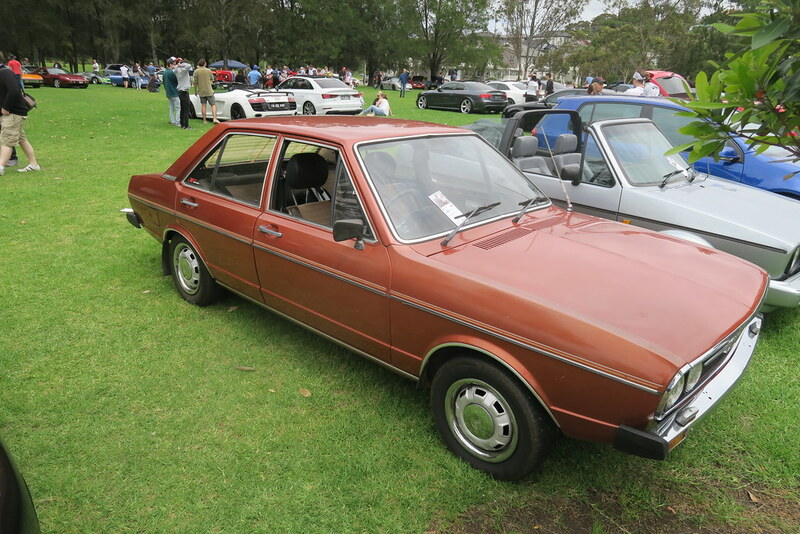 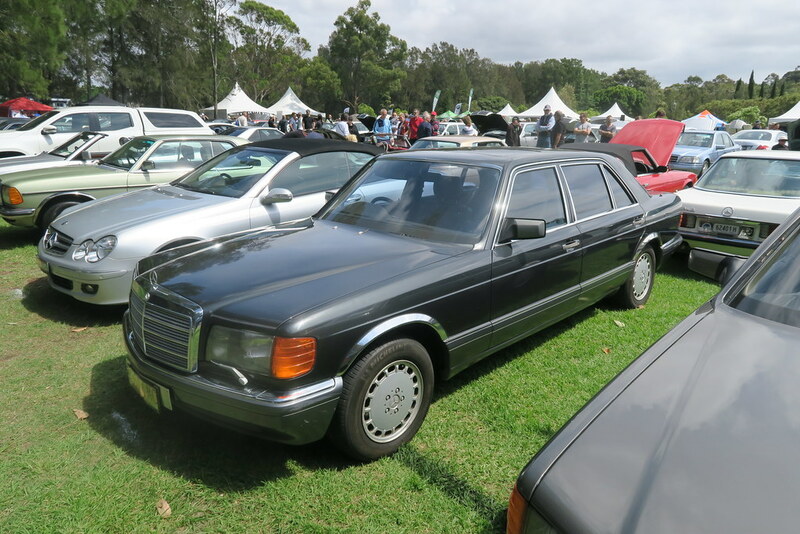 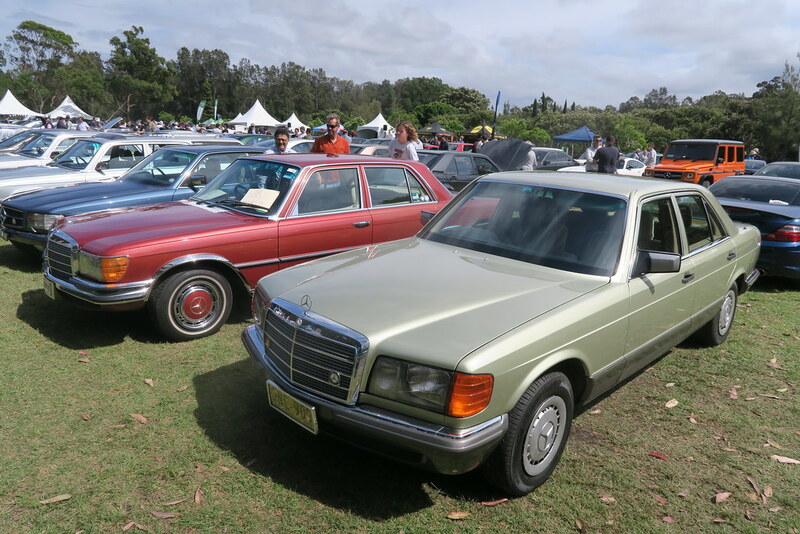 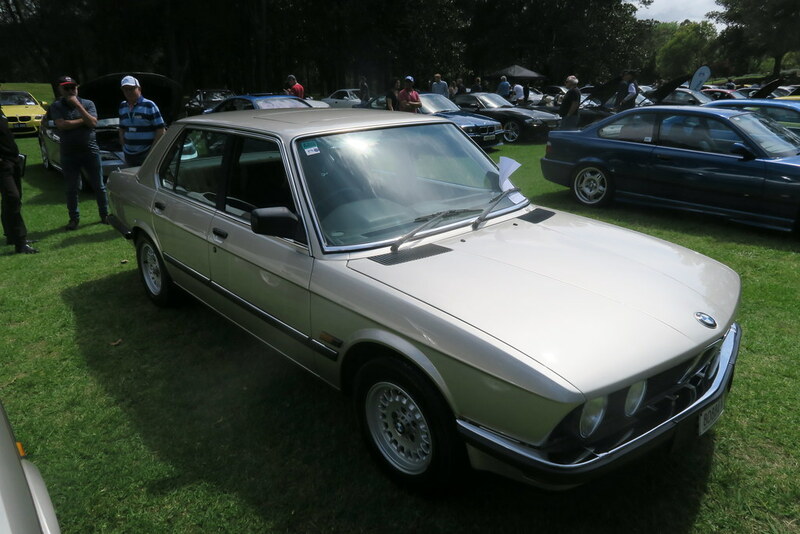 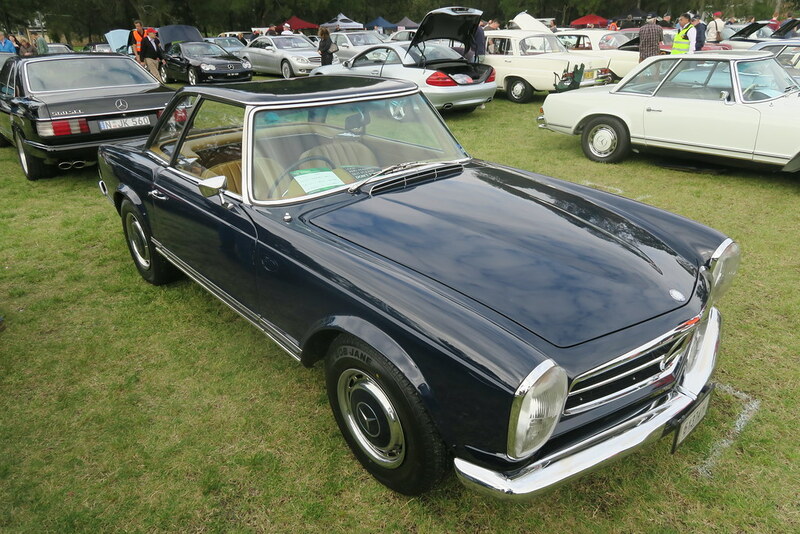 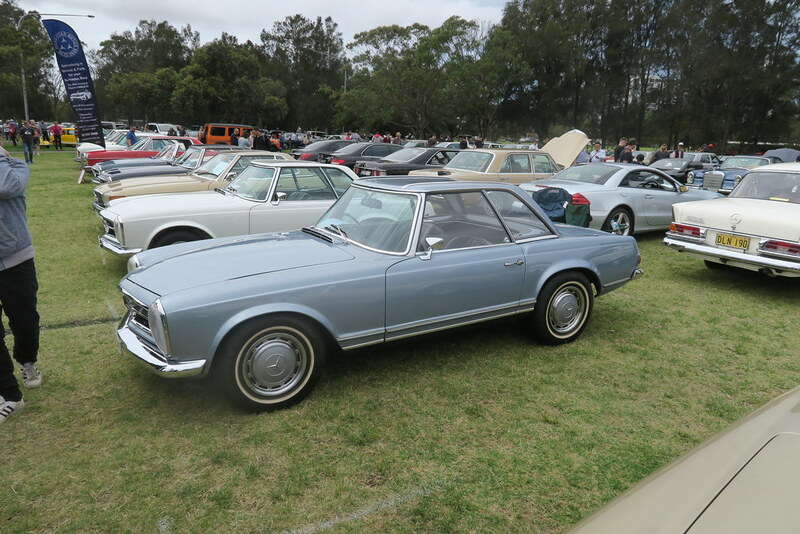 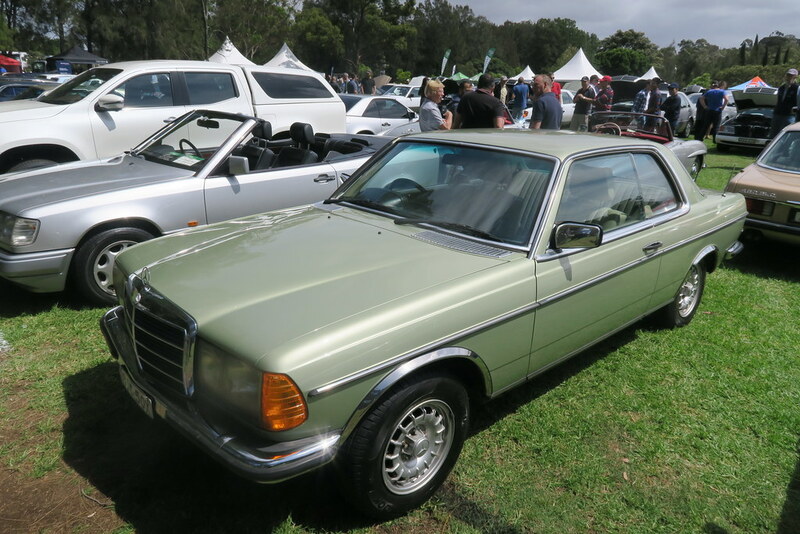 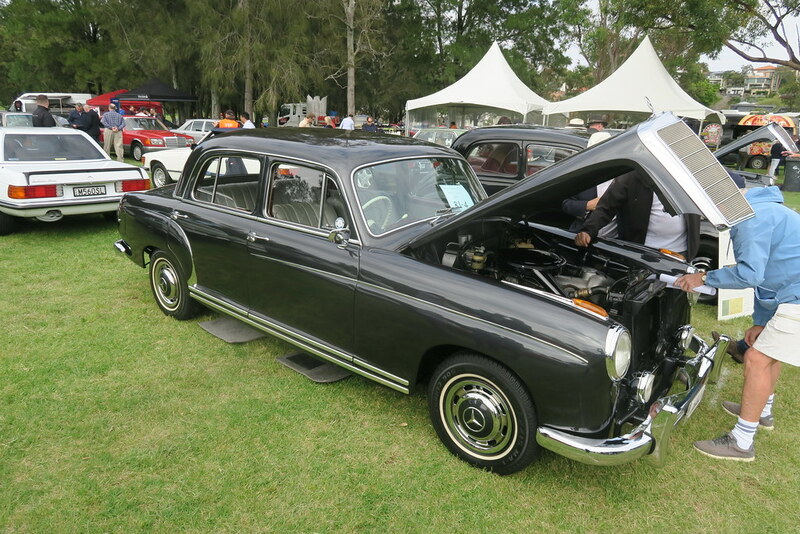 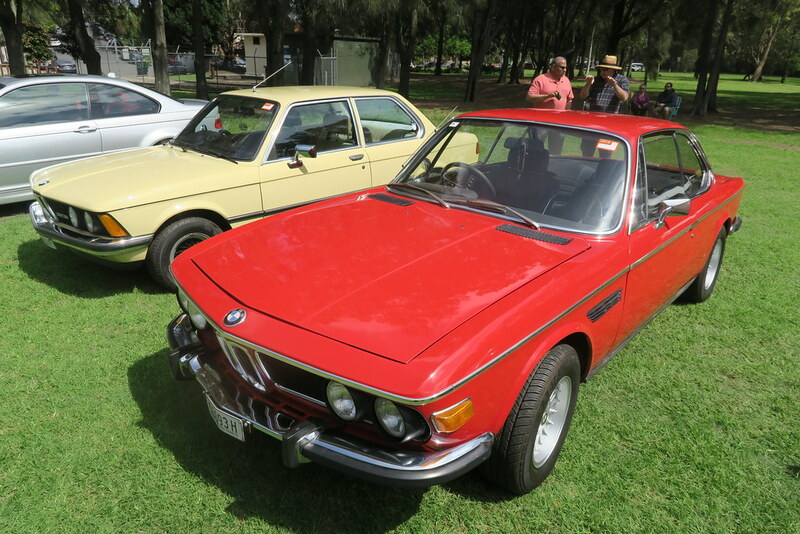 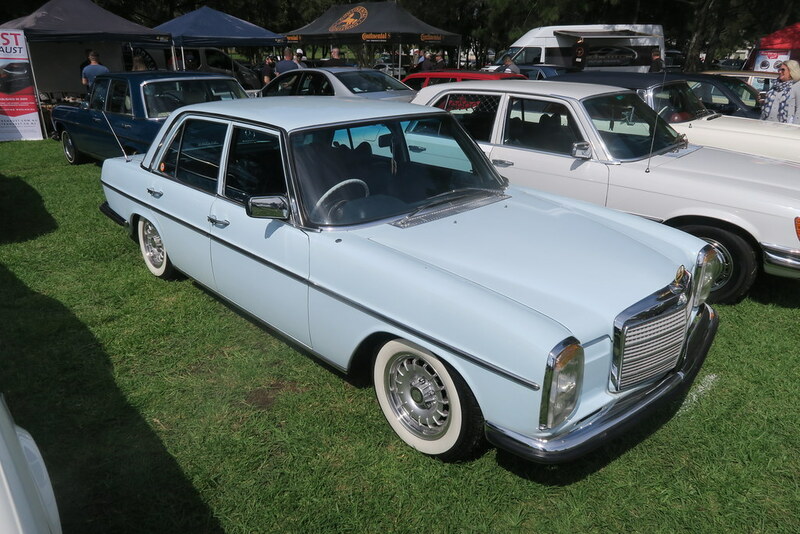 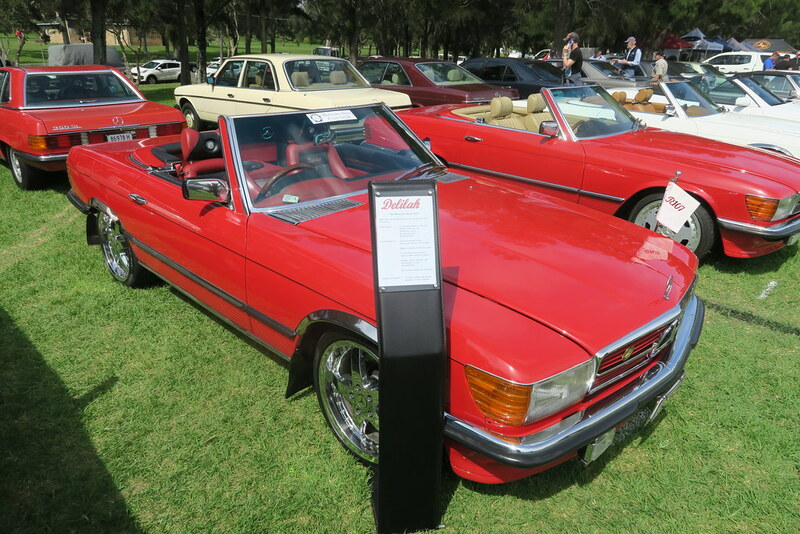 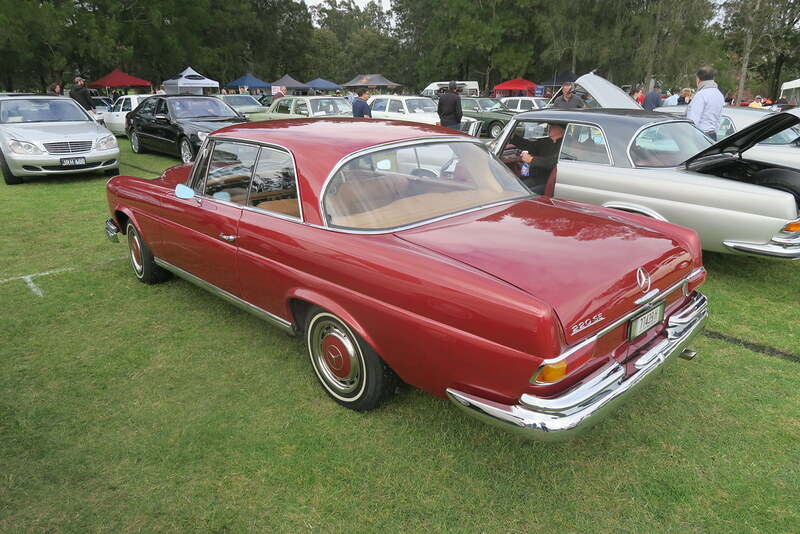 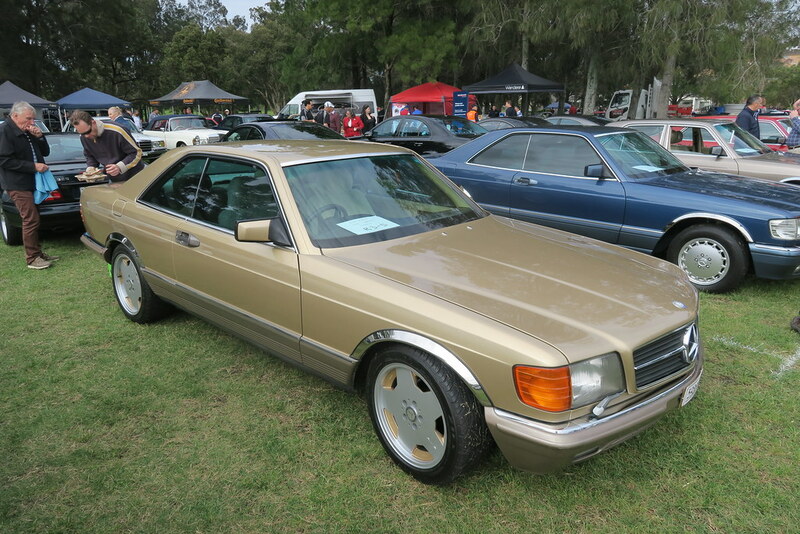 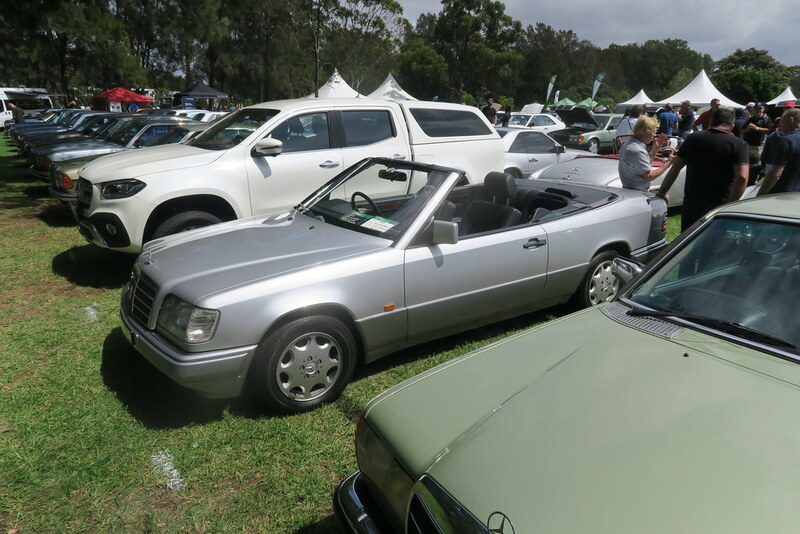 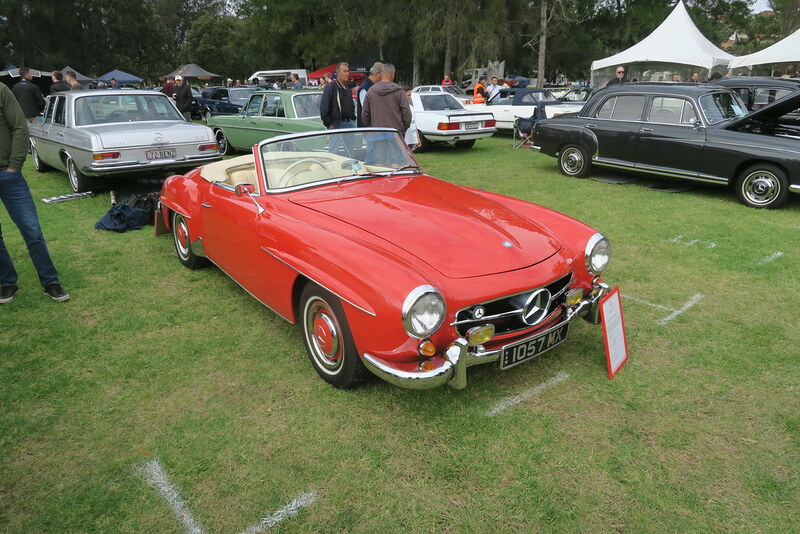 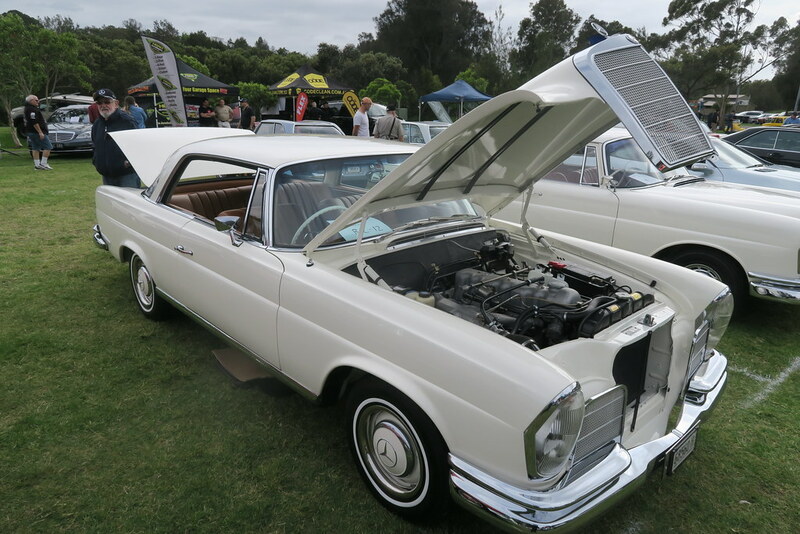 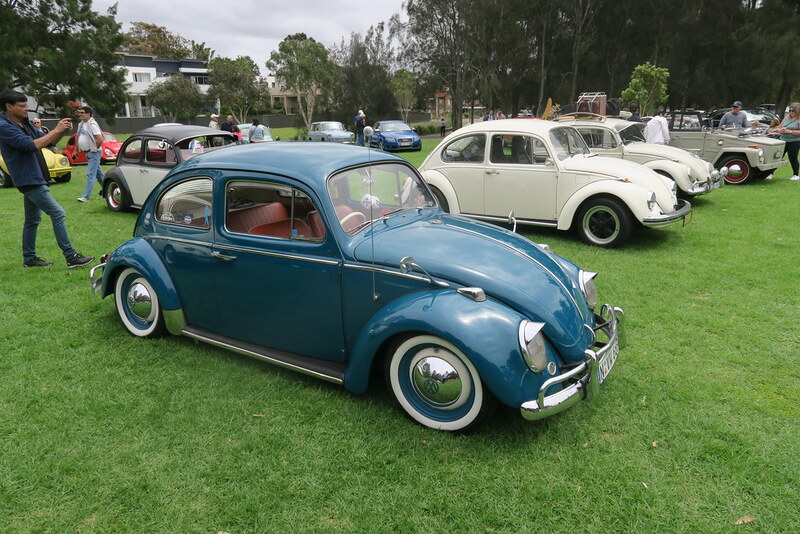 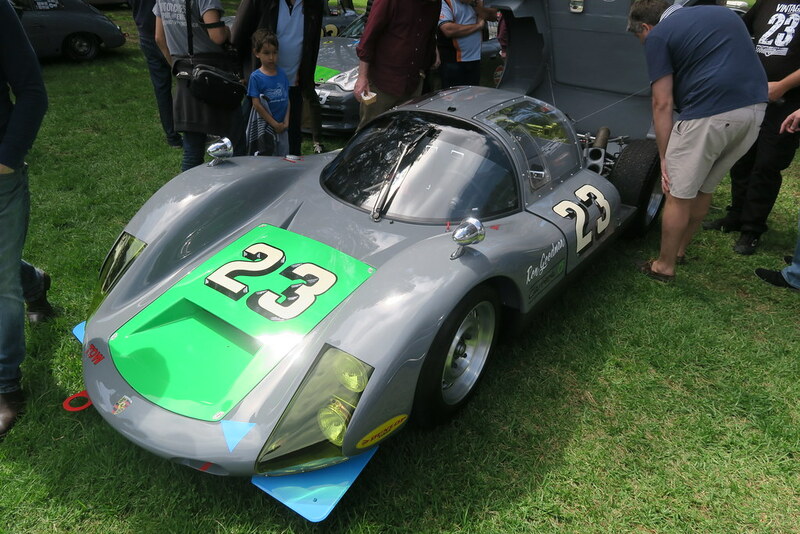 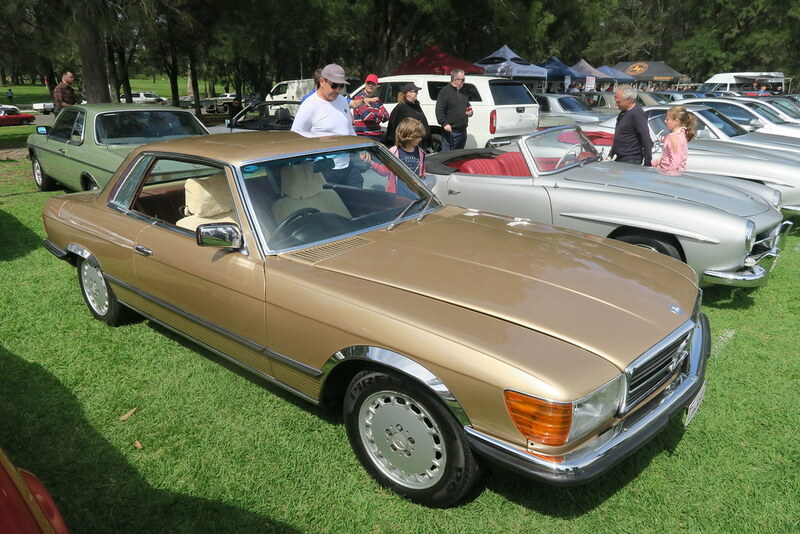 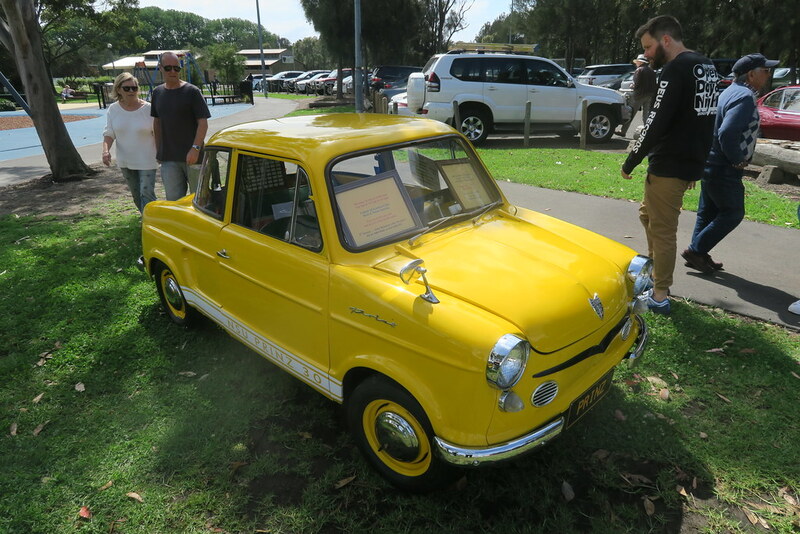 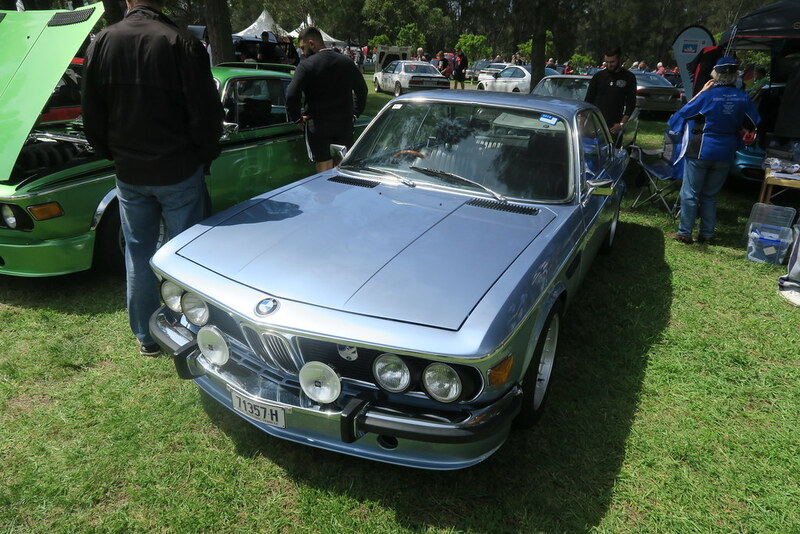 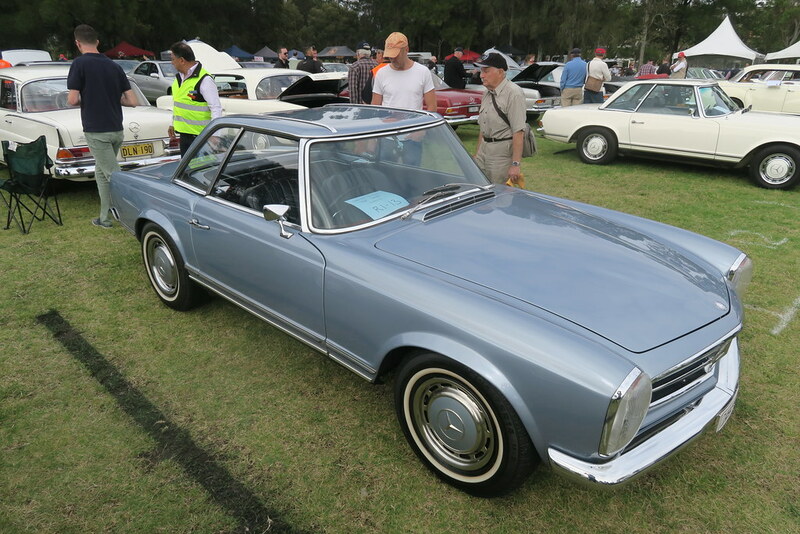 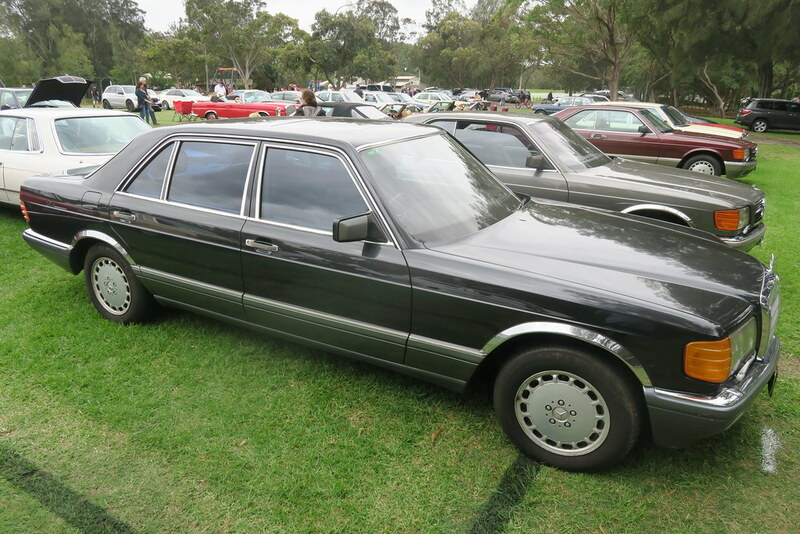 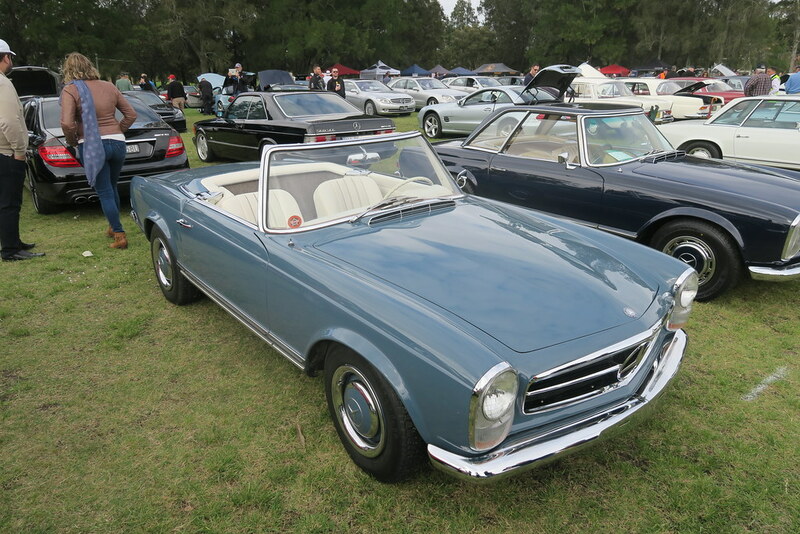 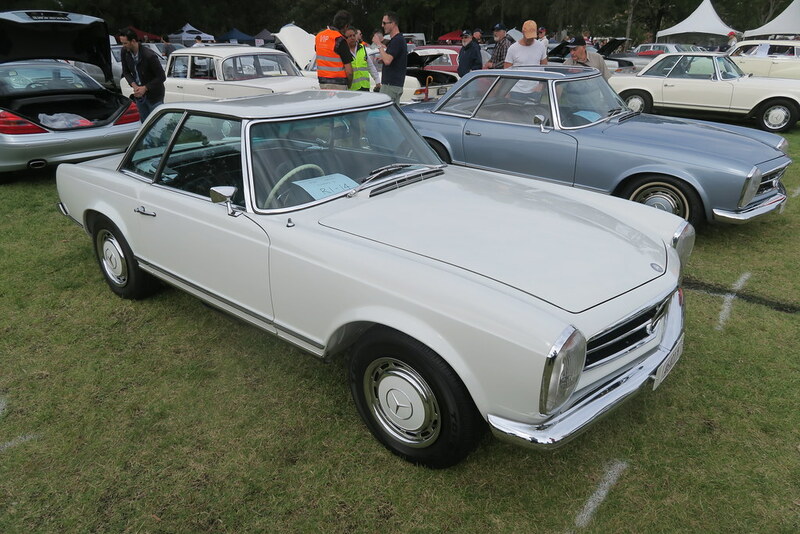 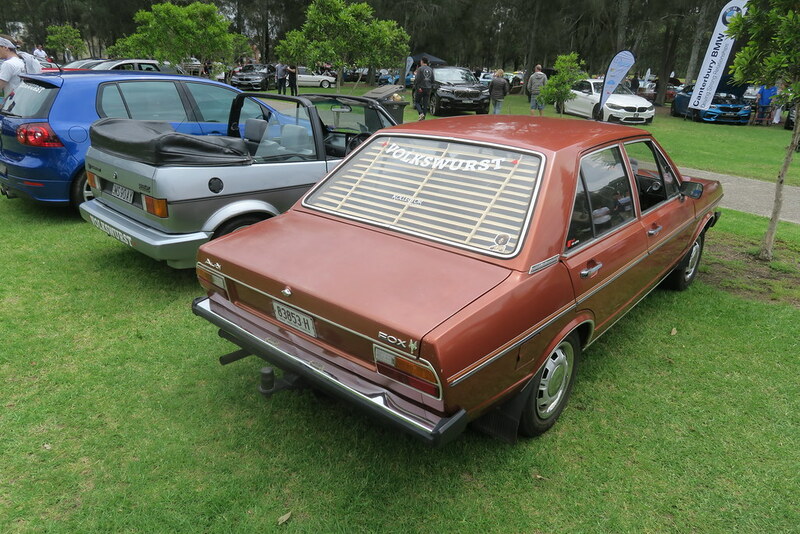 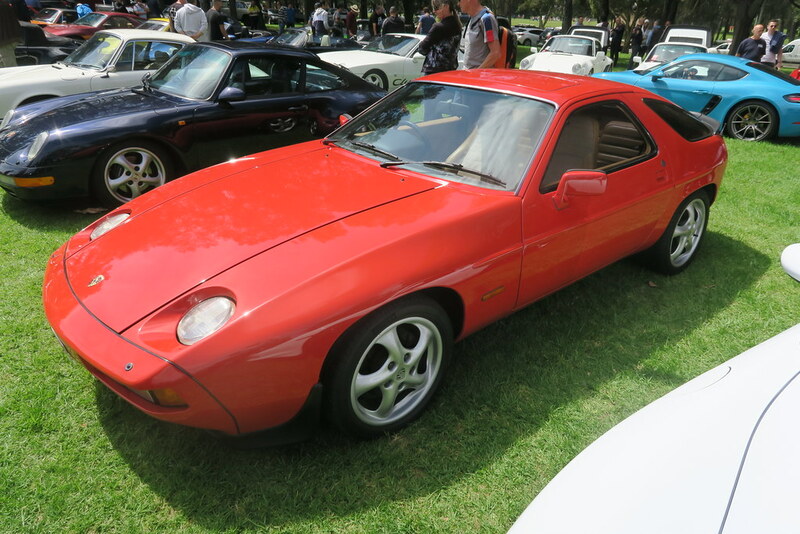 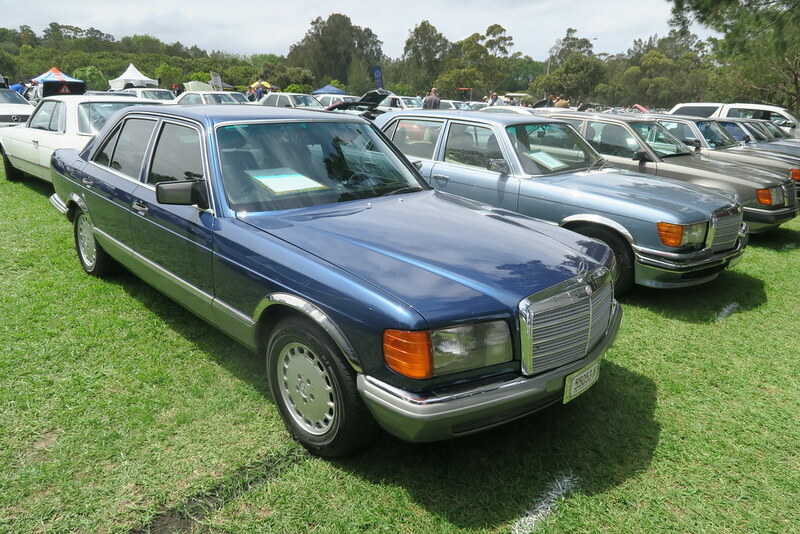 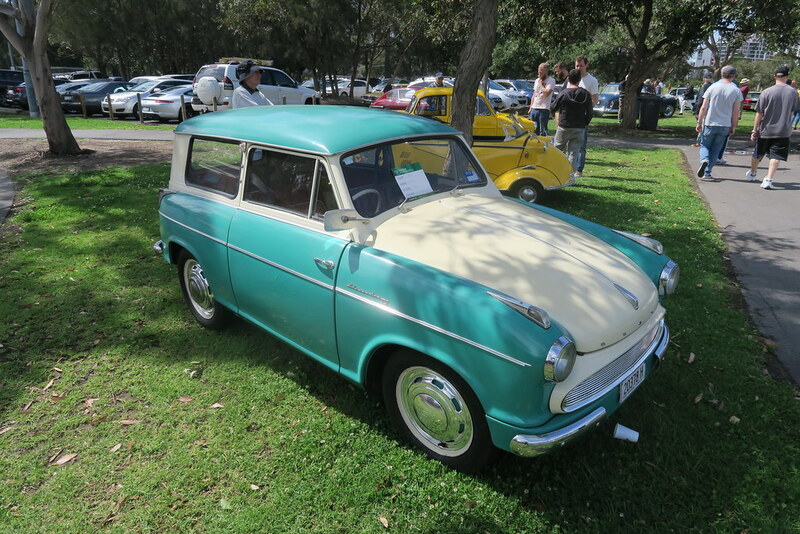 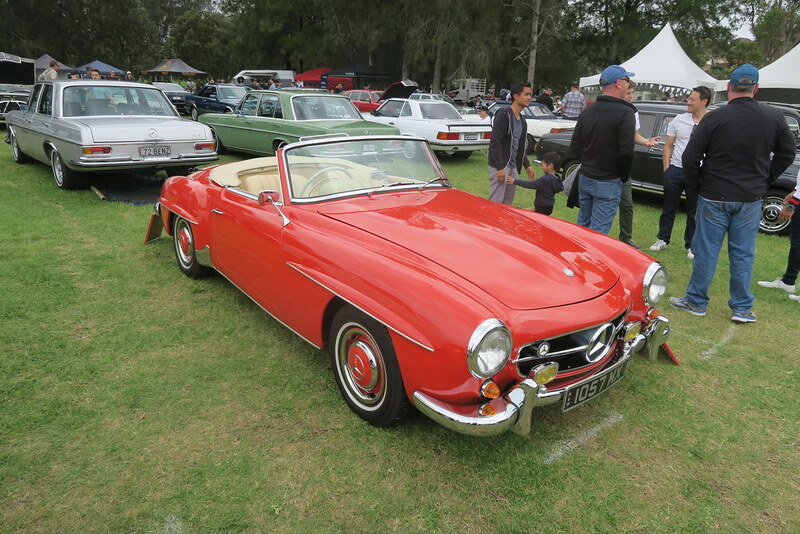 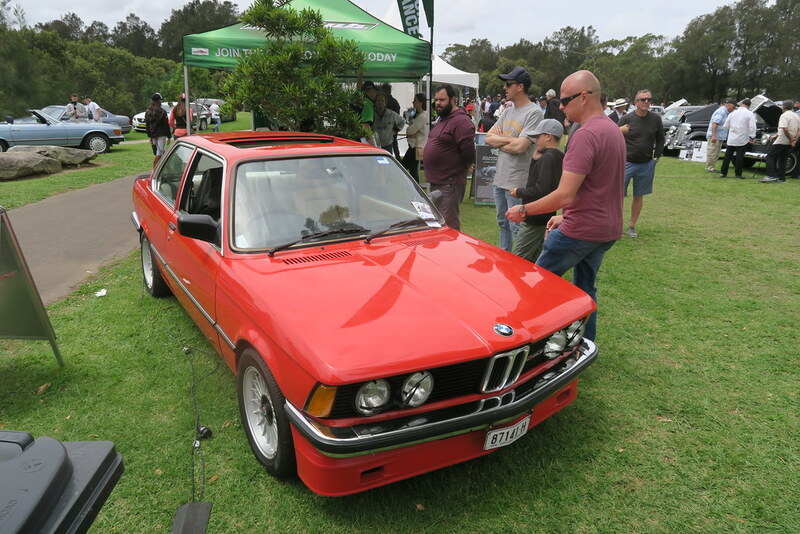 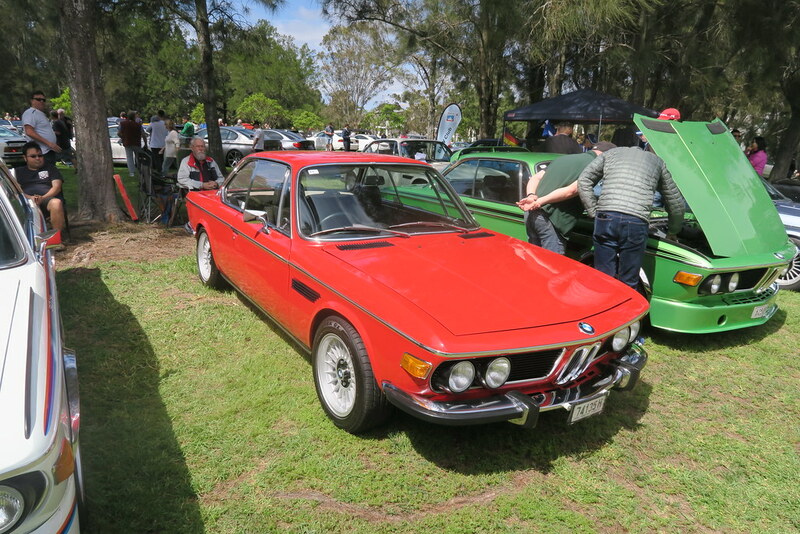 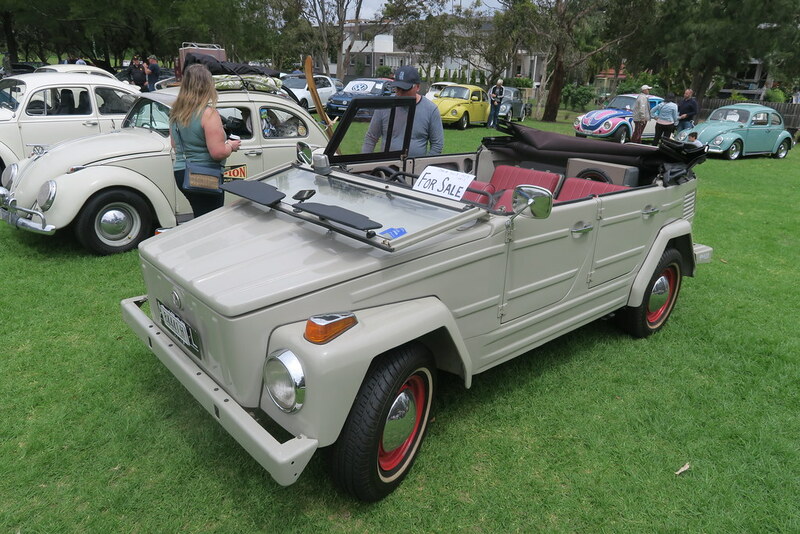 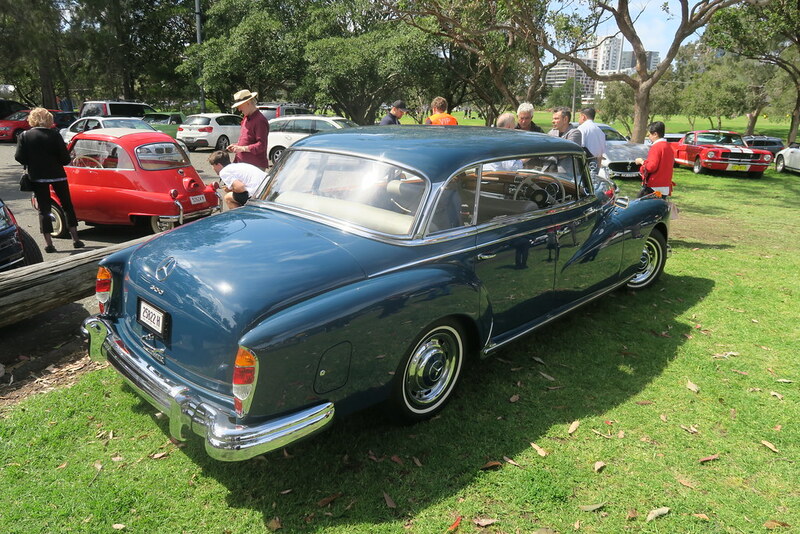 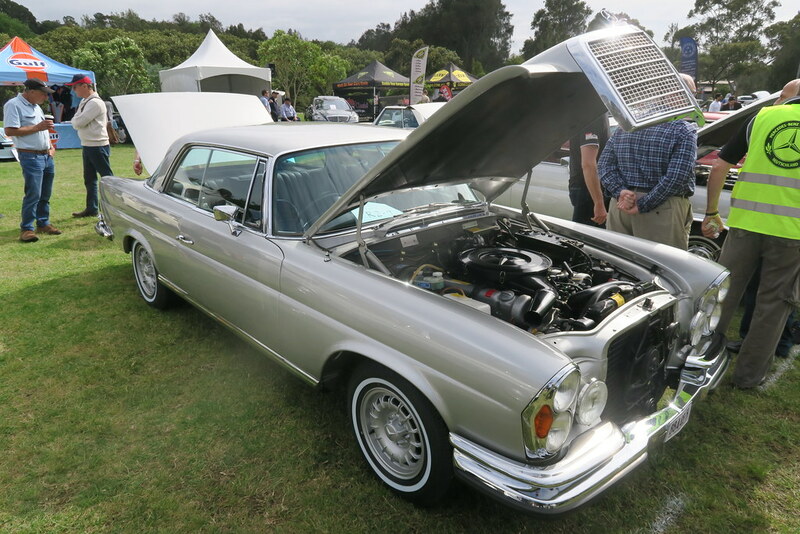 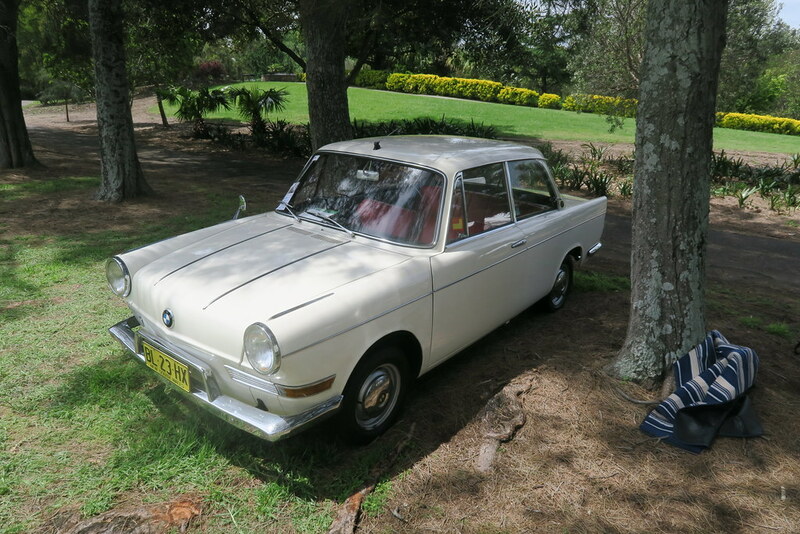 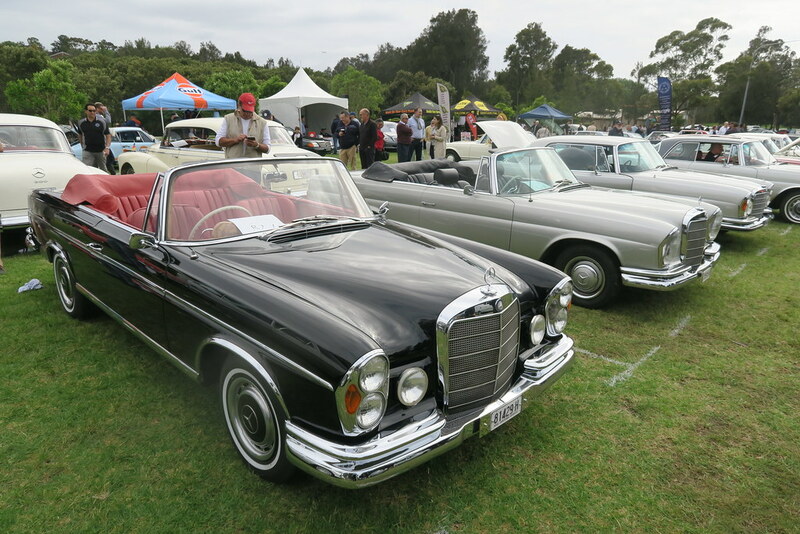 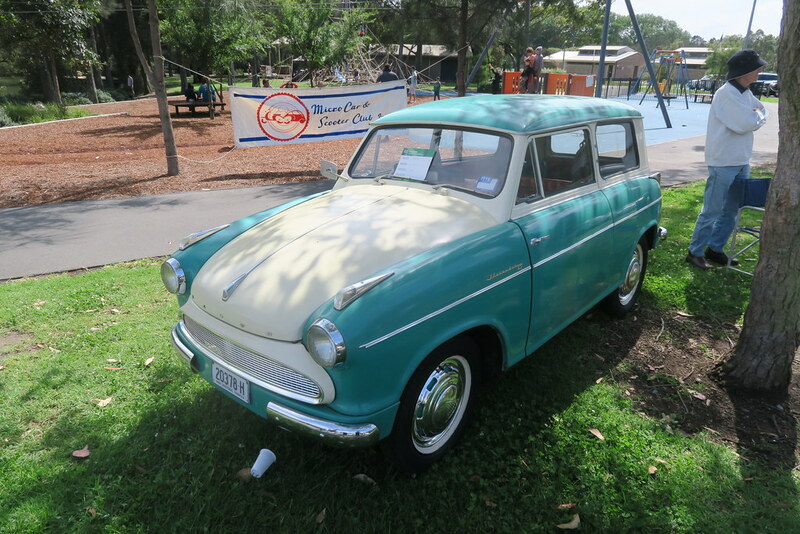 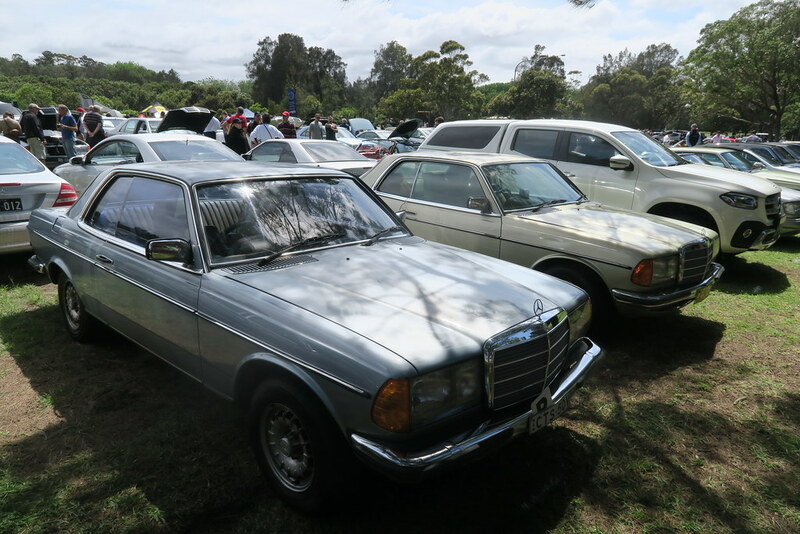 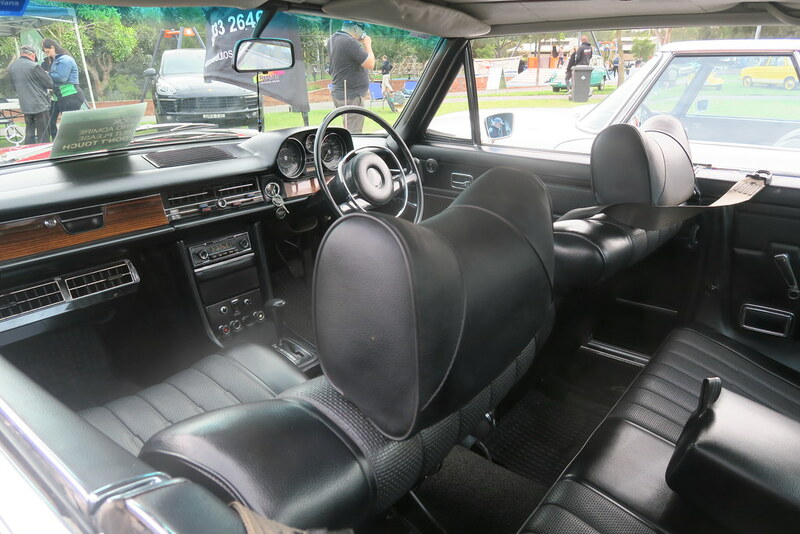 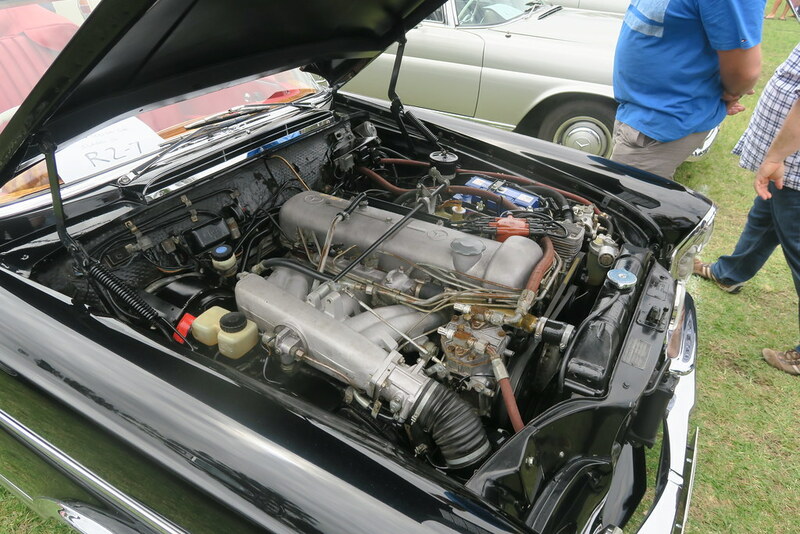 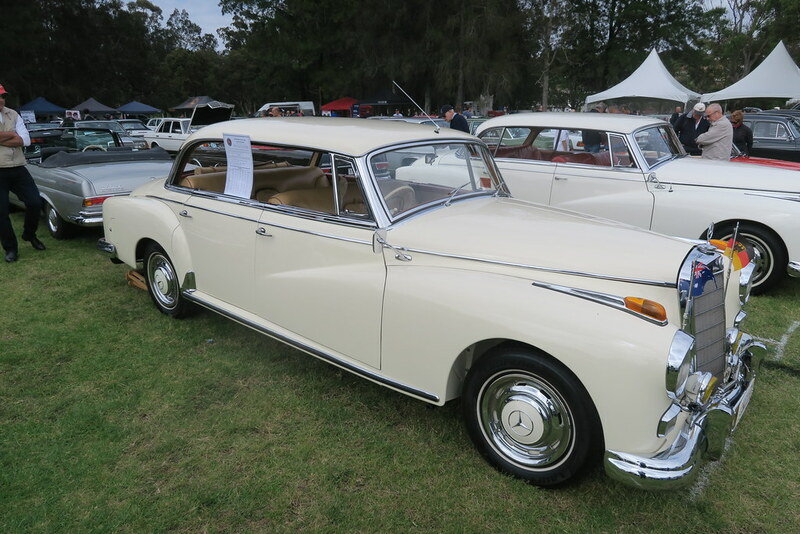 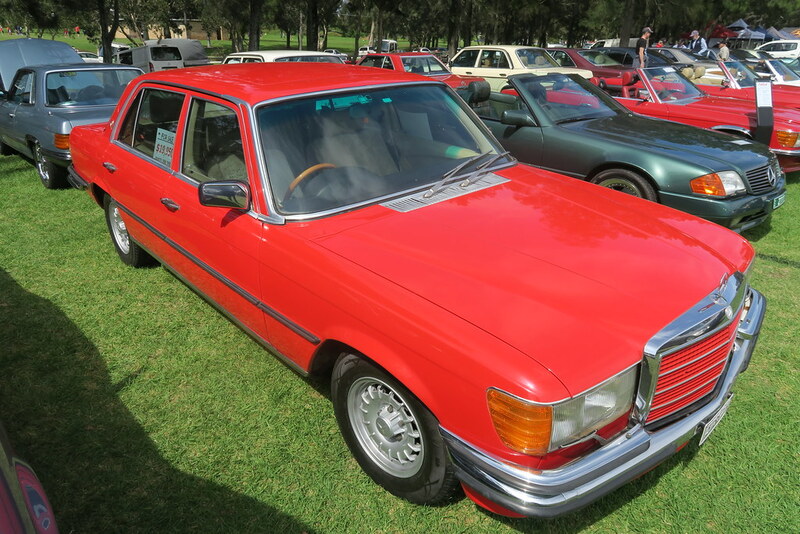 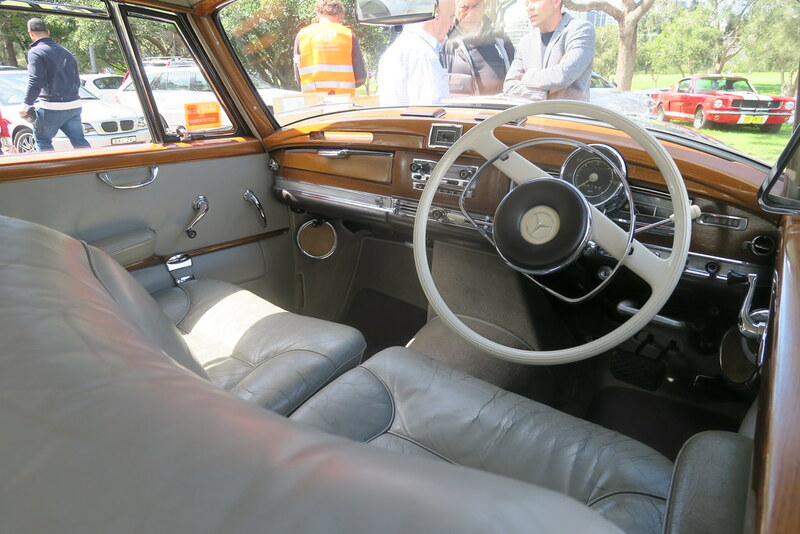 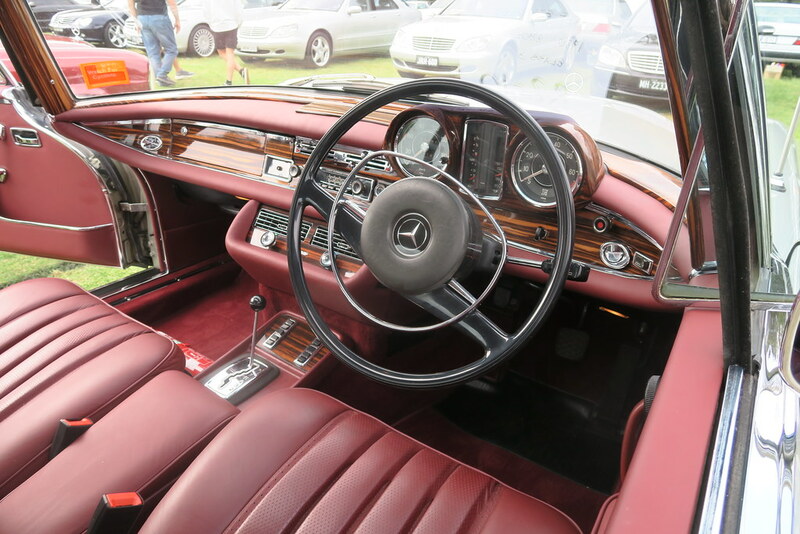 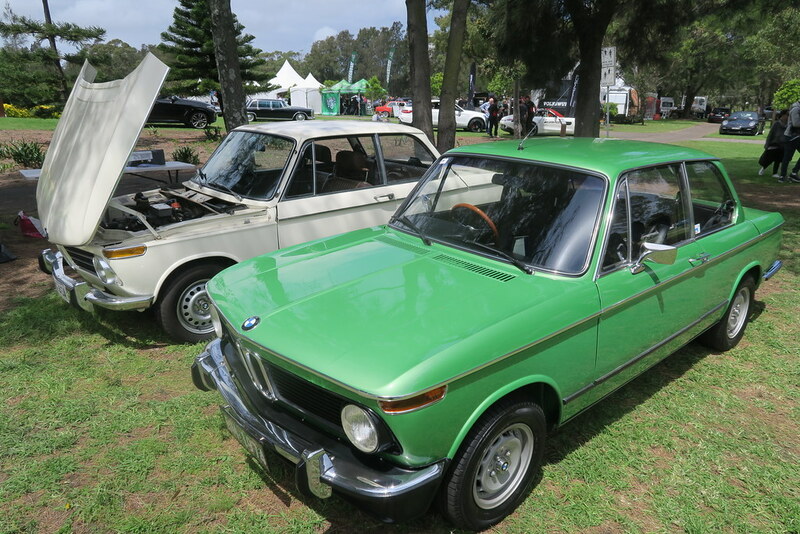 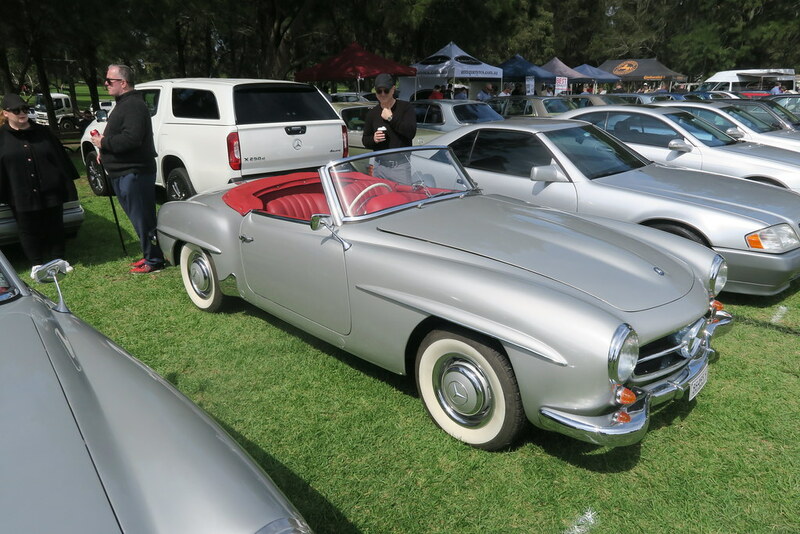 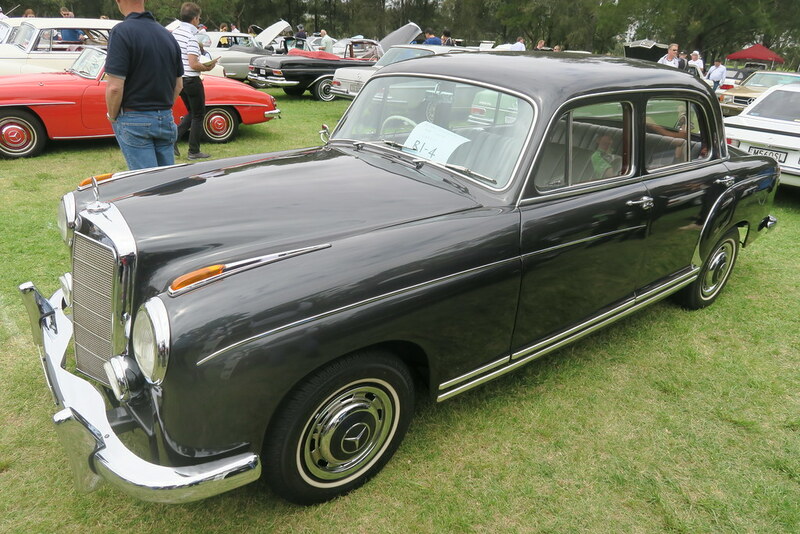 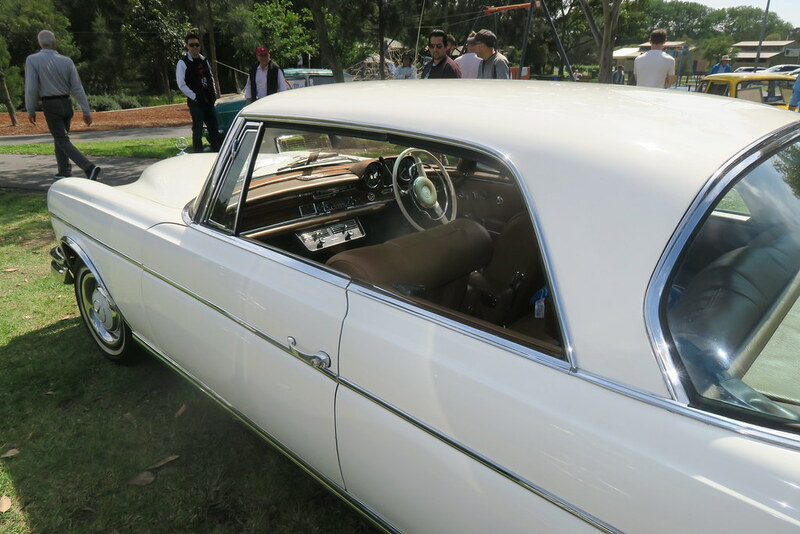 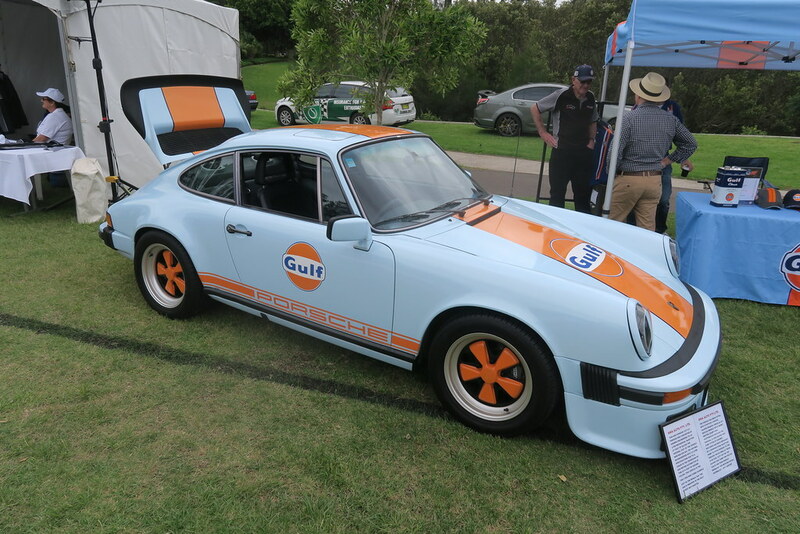 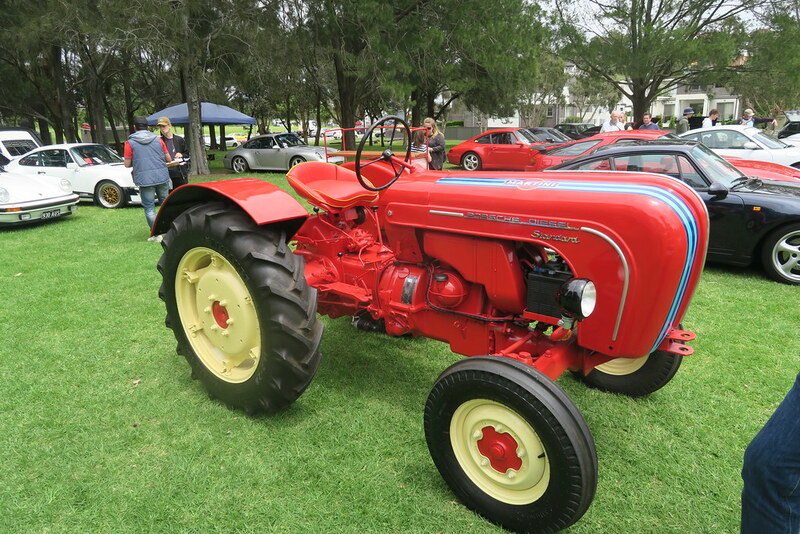 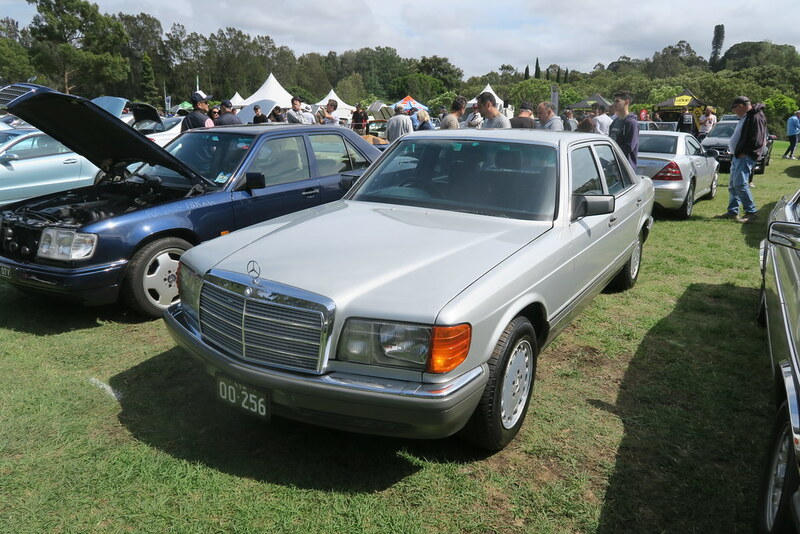 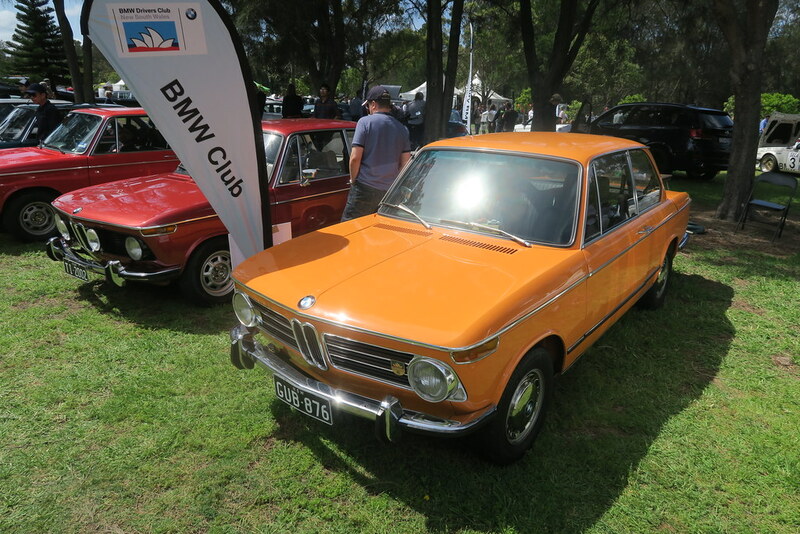 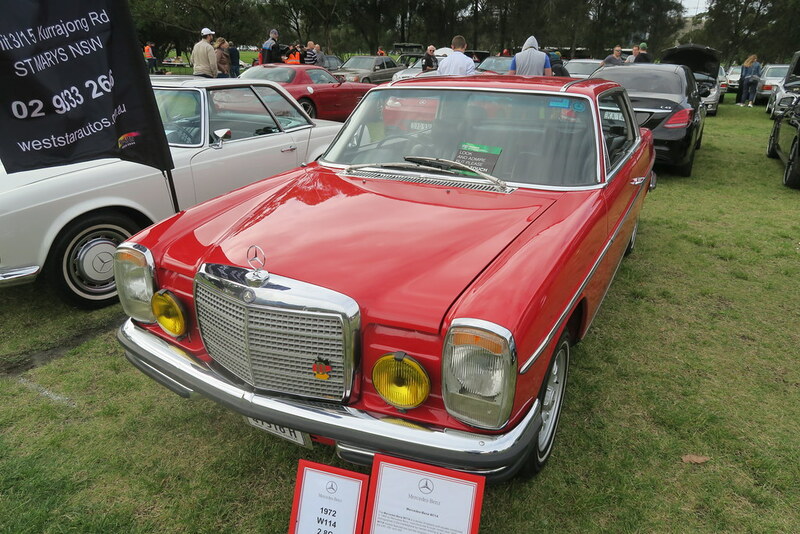 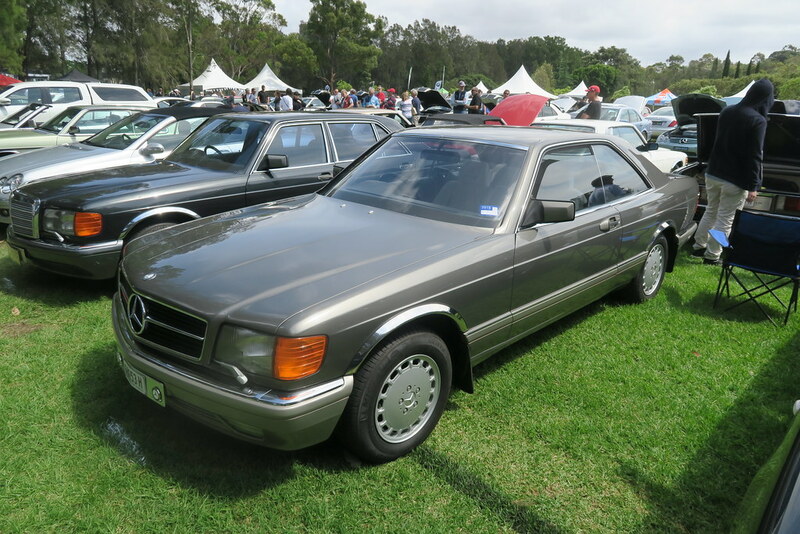 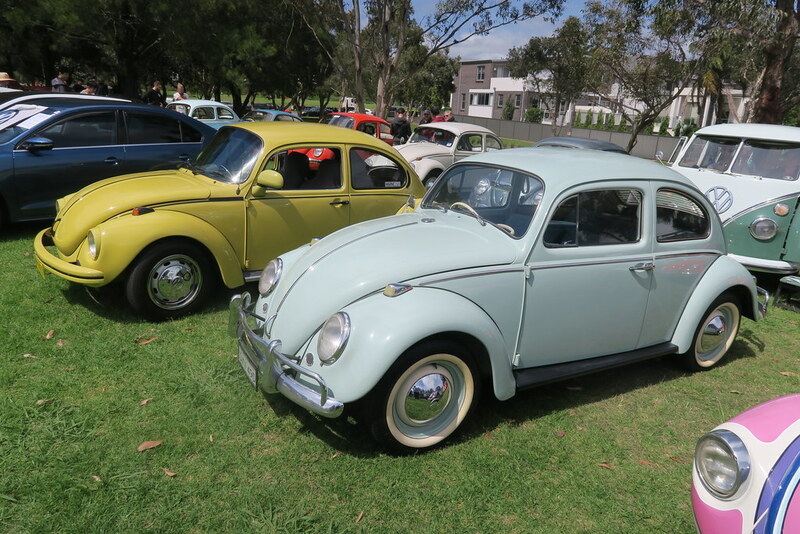 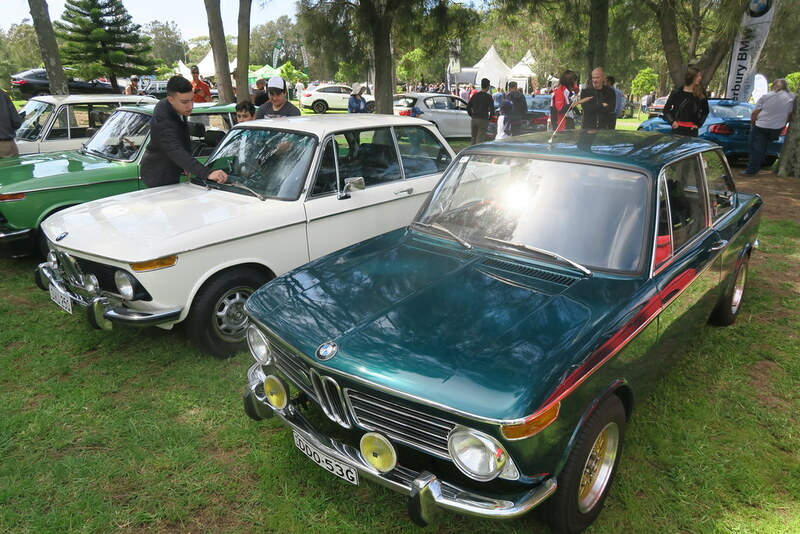 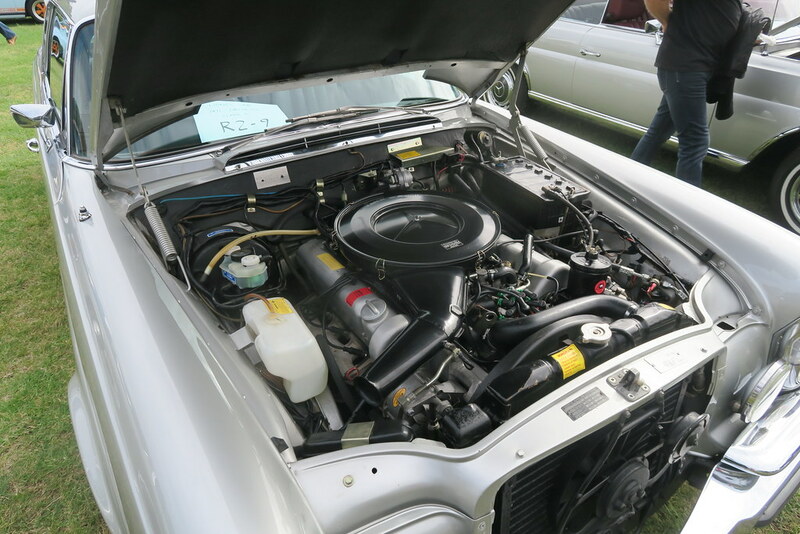 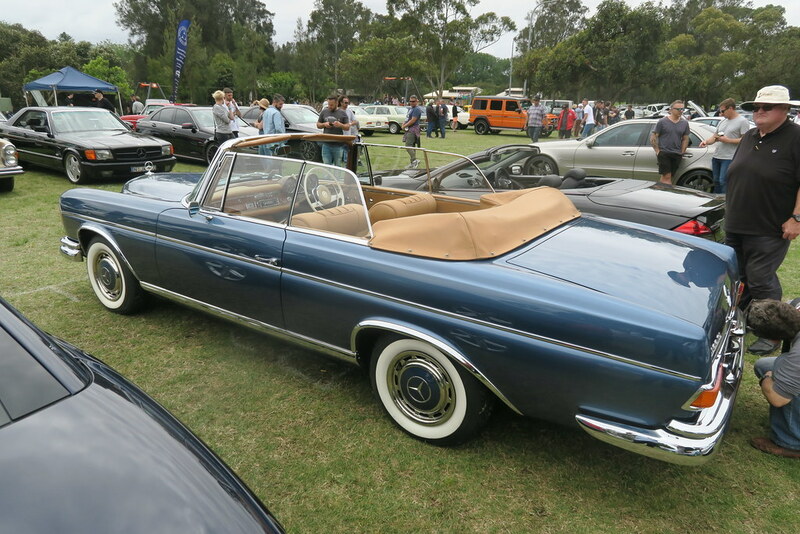 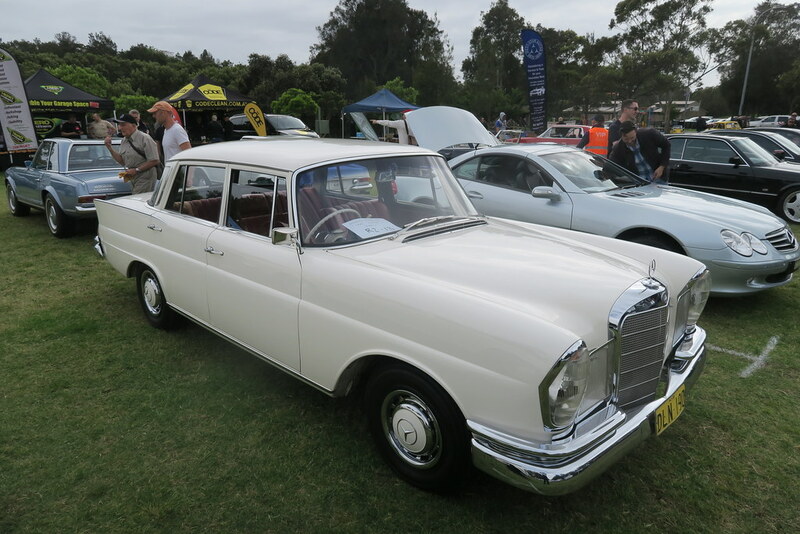 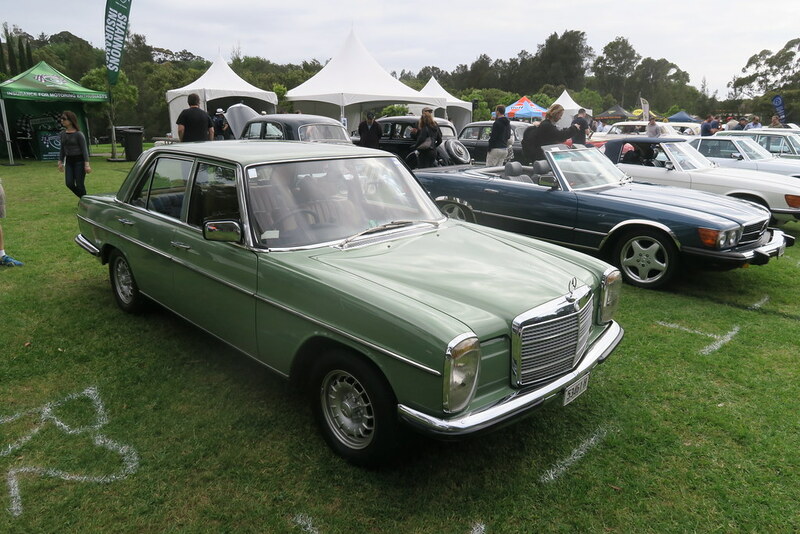 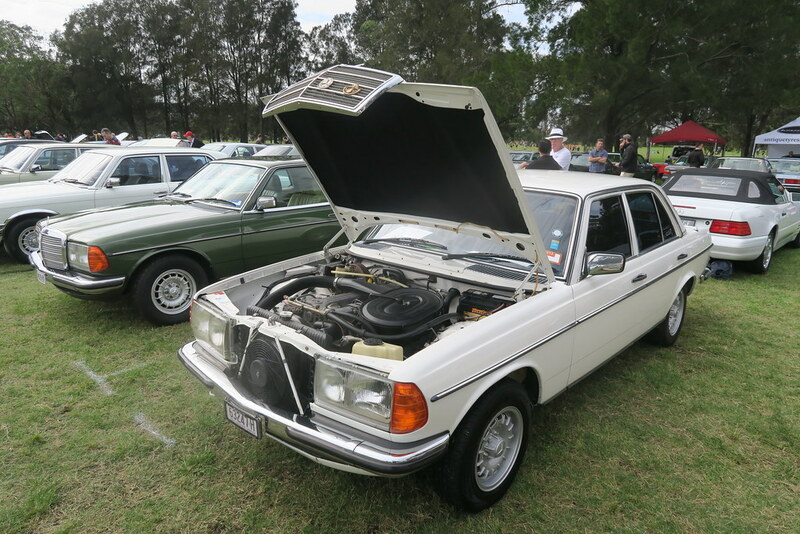 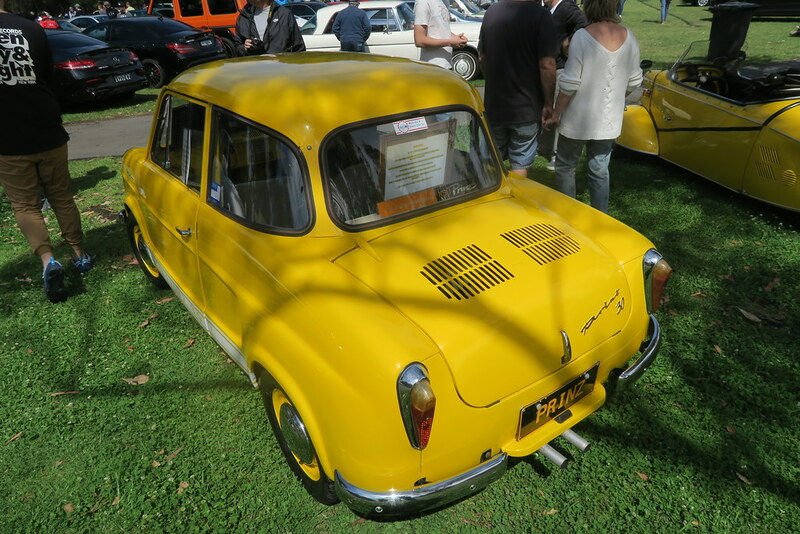 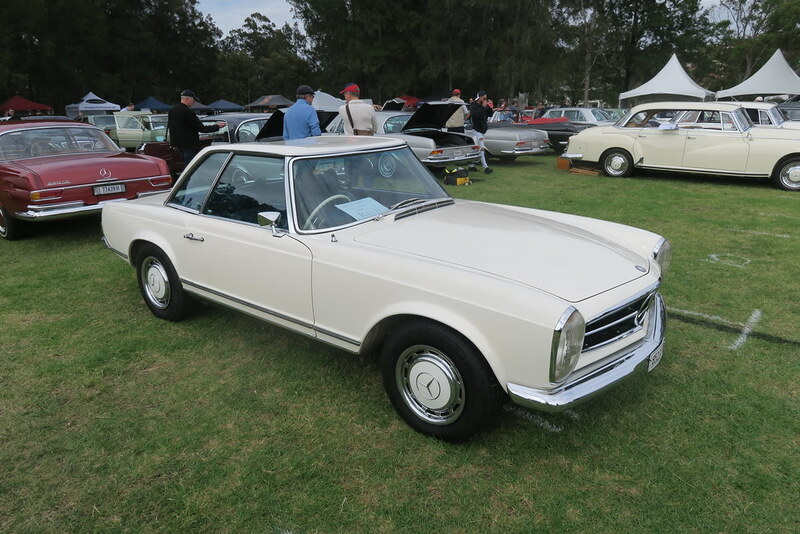 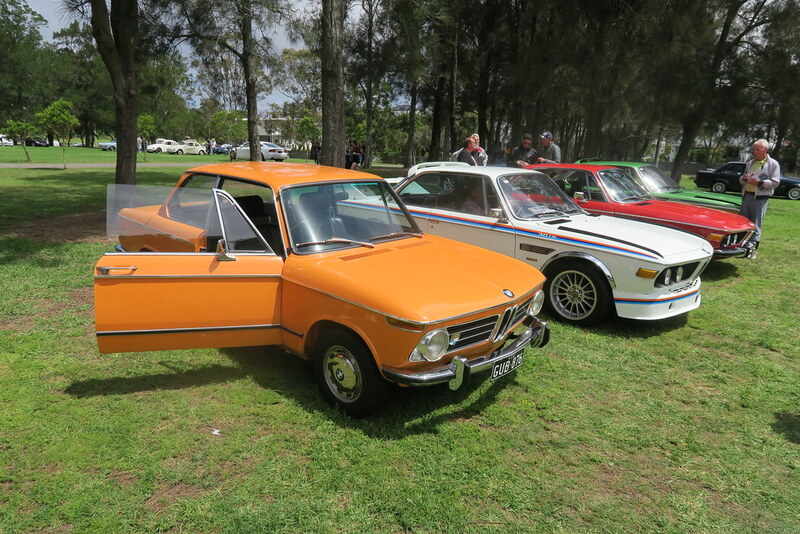 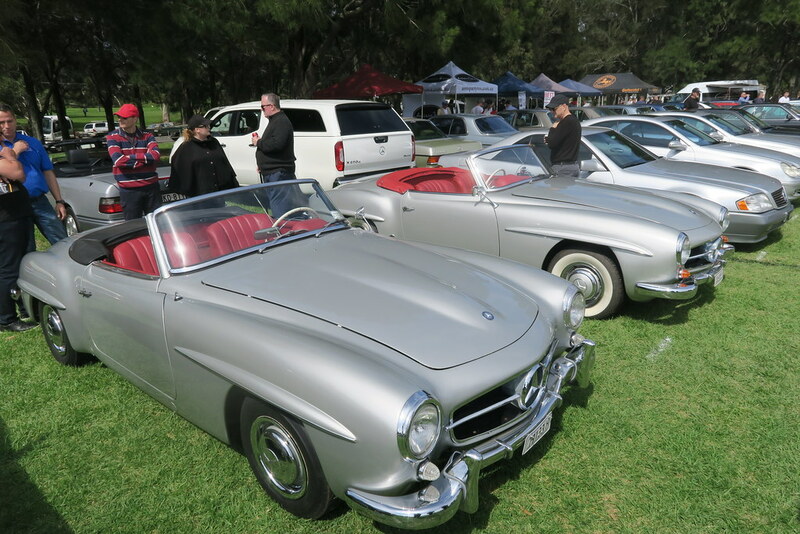 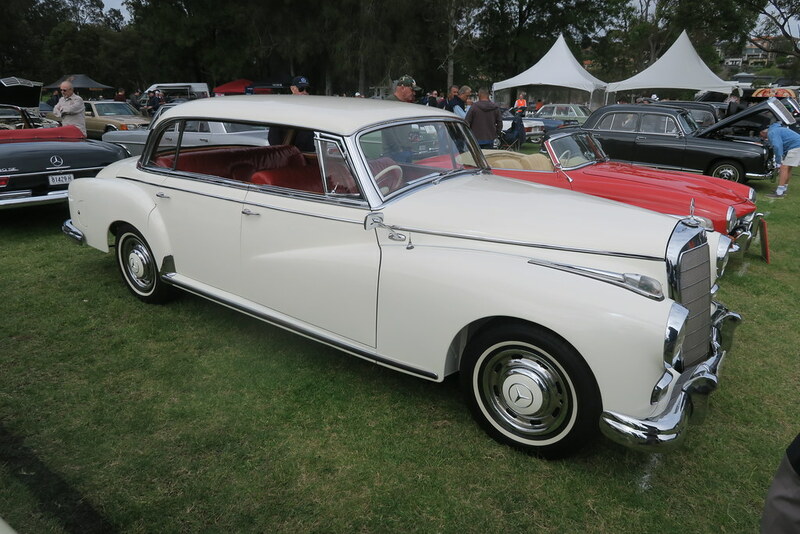 In the space of about ten years, the Sydney German Auto-fest has grown from a couple of cars in a small Canada Bay carpark to one of the biggest car shows on the calendar. 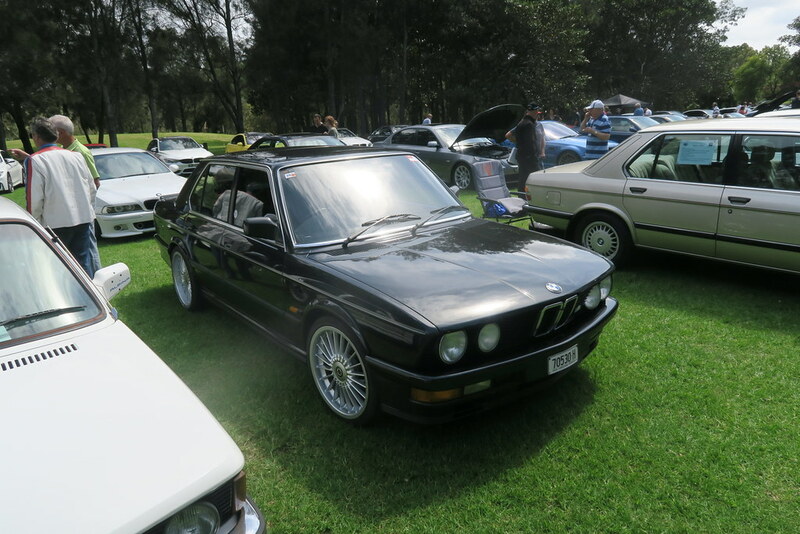 I attended that first show, unfortunately I did not take any photos. 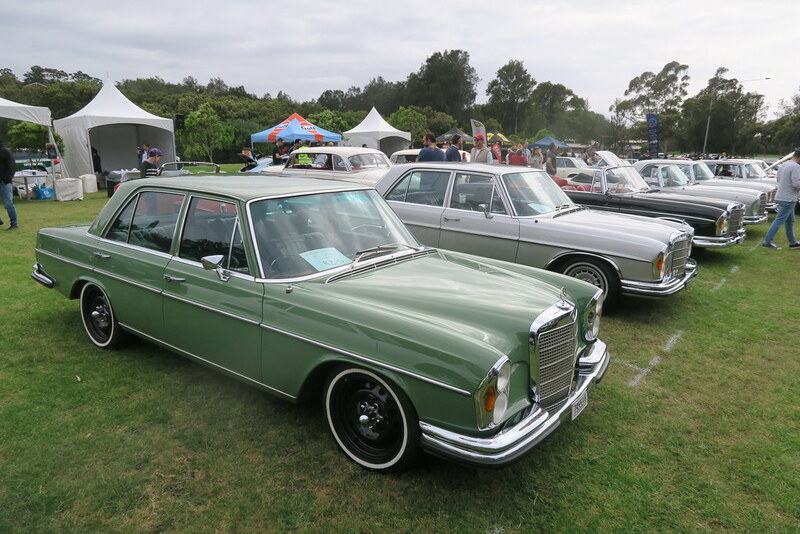 What a contrast to the 2018 show. 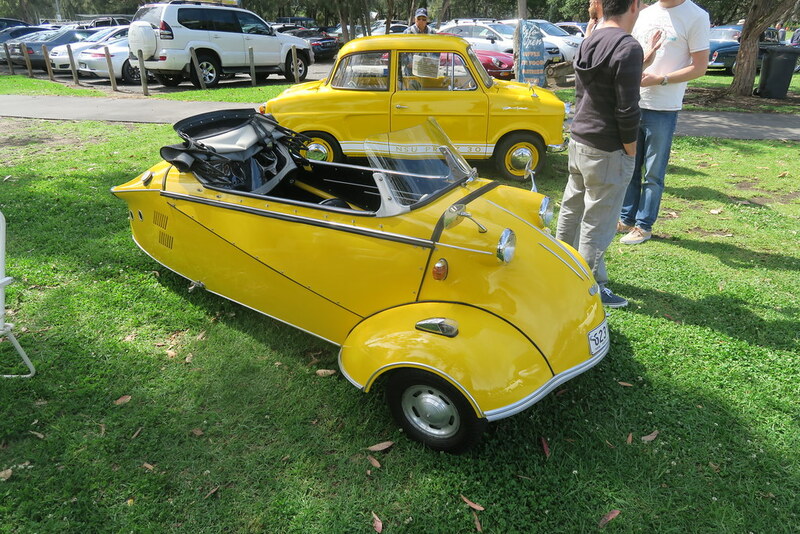 This was the biggest one yet. 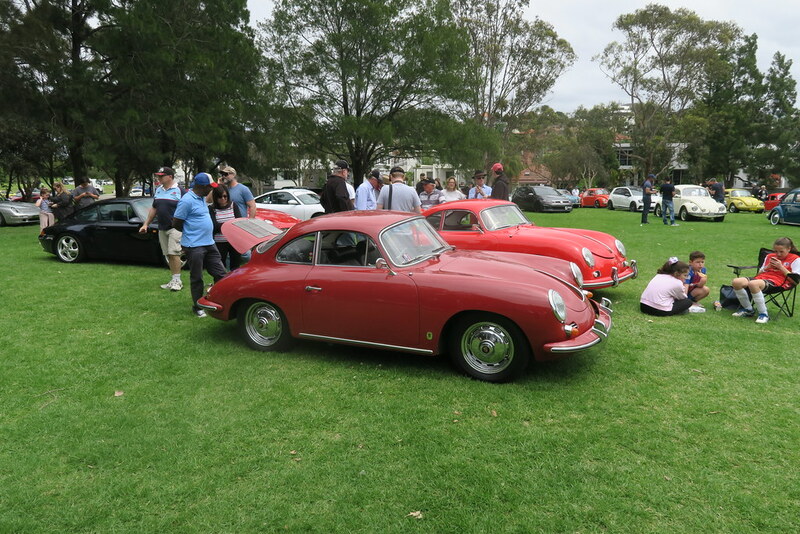 The show has now outgrown Gough Whitlam park, so a new venue would not surprise me next year. 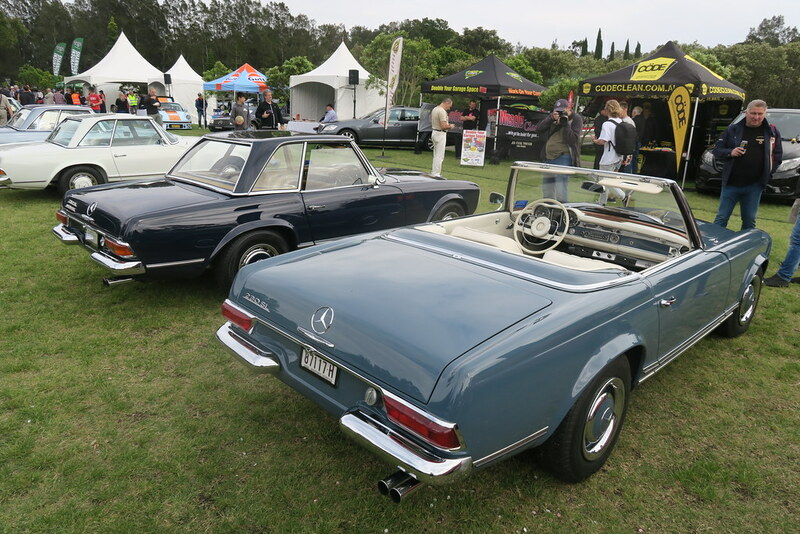 Probably the biggest contrast was that the other marques took the show very seriously this year. 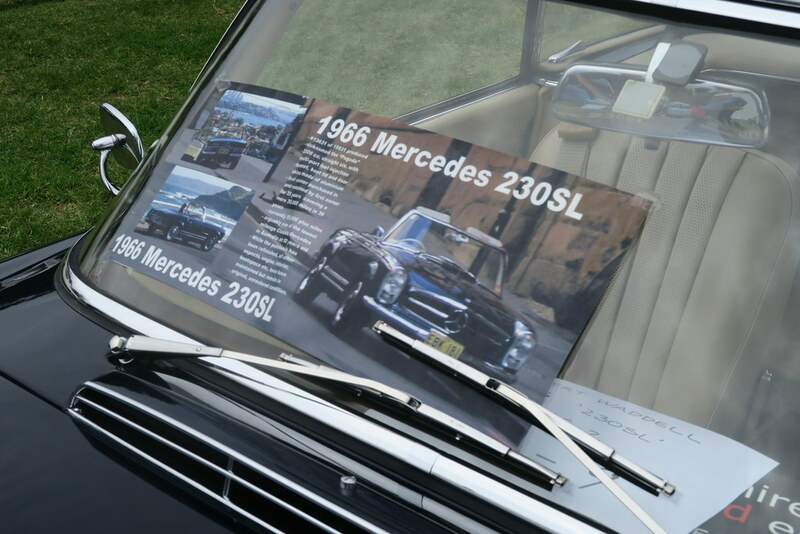 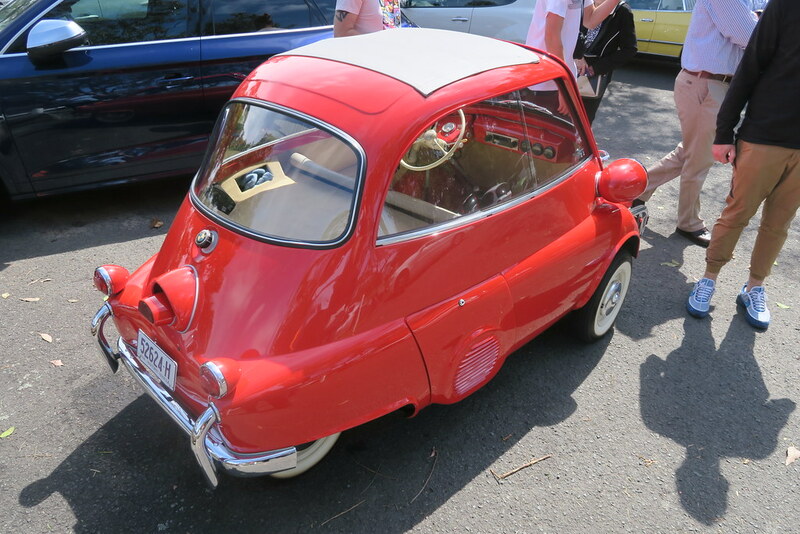 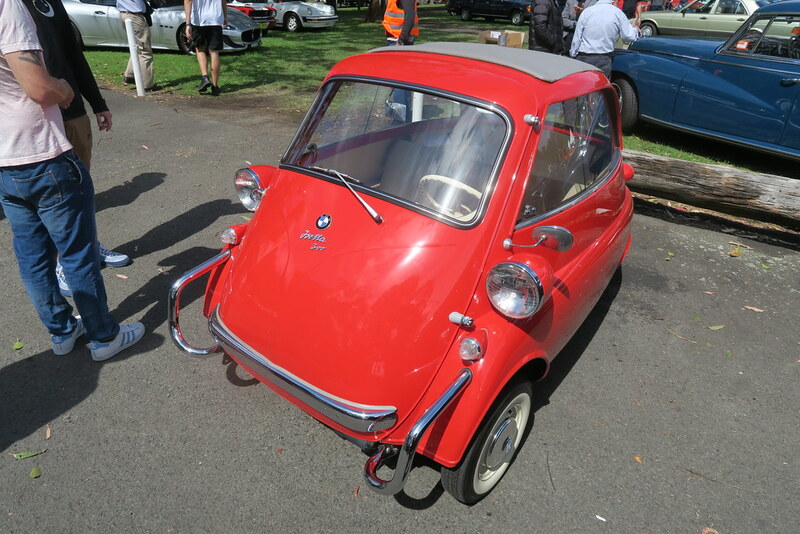 In prior years, there were quite small displays from BMW, Audi, VW, Porsche and the Micro-cars. 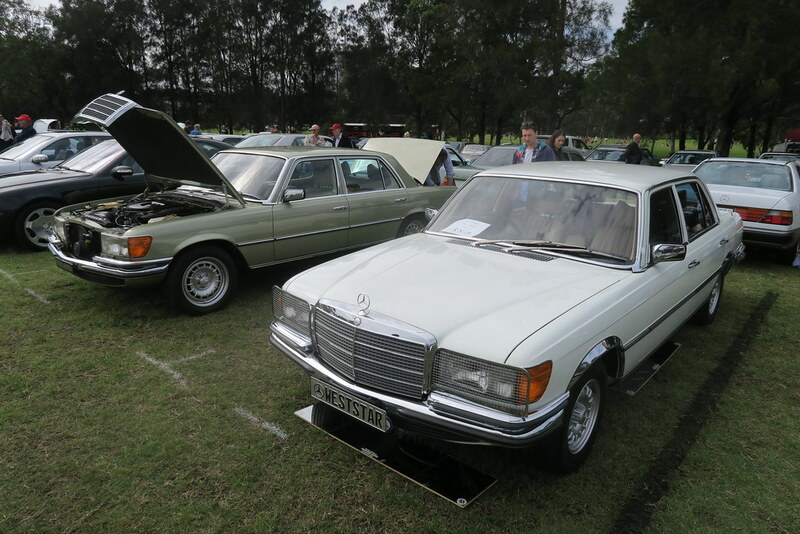 This year all those clubs had big displays of their models. 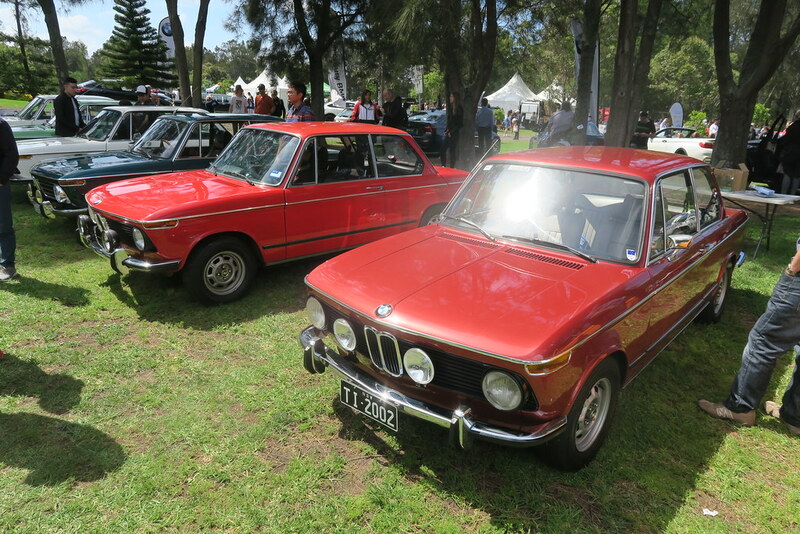 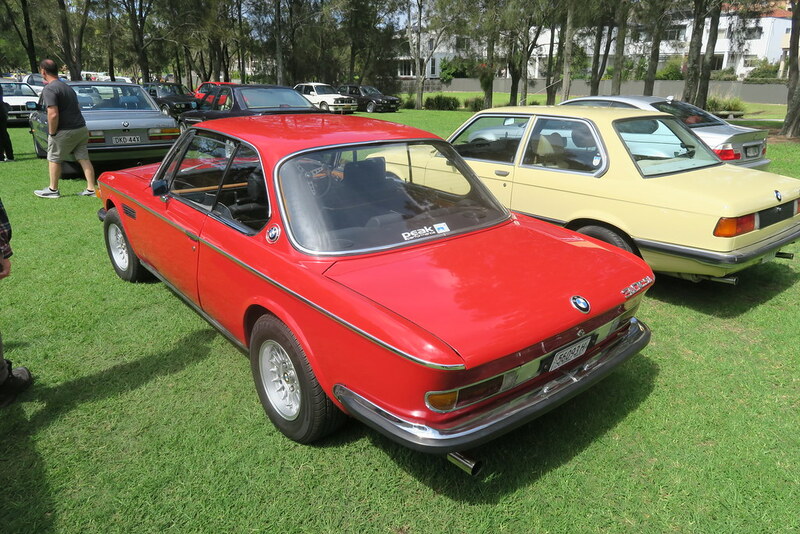 On the BMW side, they had a nice selection of 2002s, 3.0 CS and other early cars. 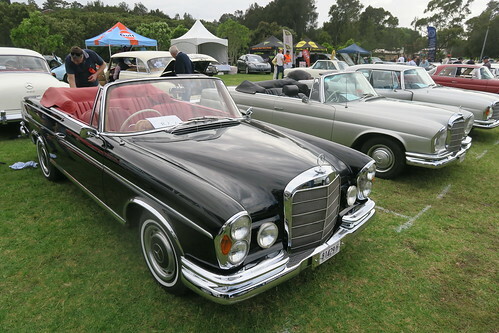 They also had many of the current ‘M’ cars that are so popular. 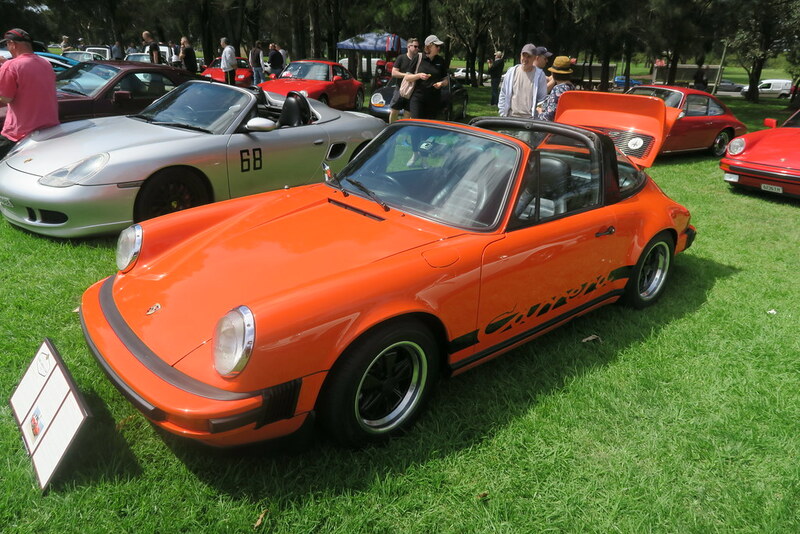 The Porsche club had a number of race cars, and there were a number of performance Audis. 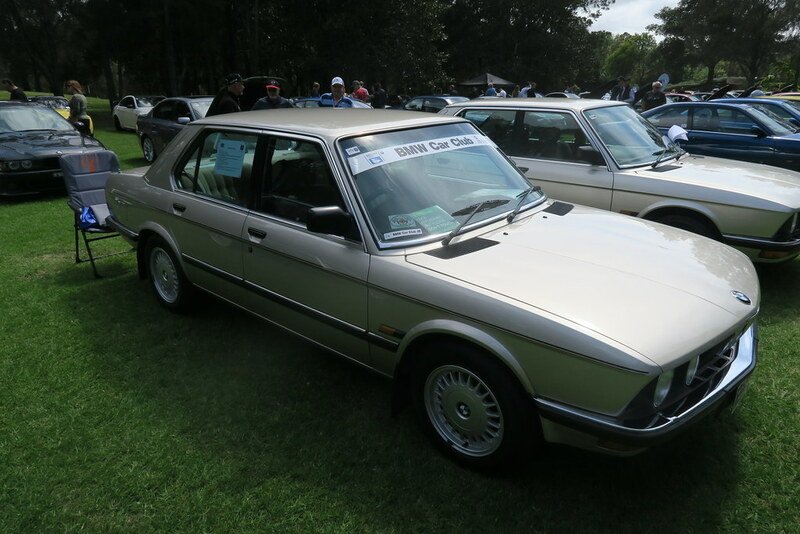 For the first time in years I even saw an Audi Fox. 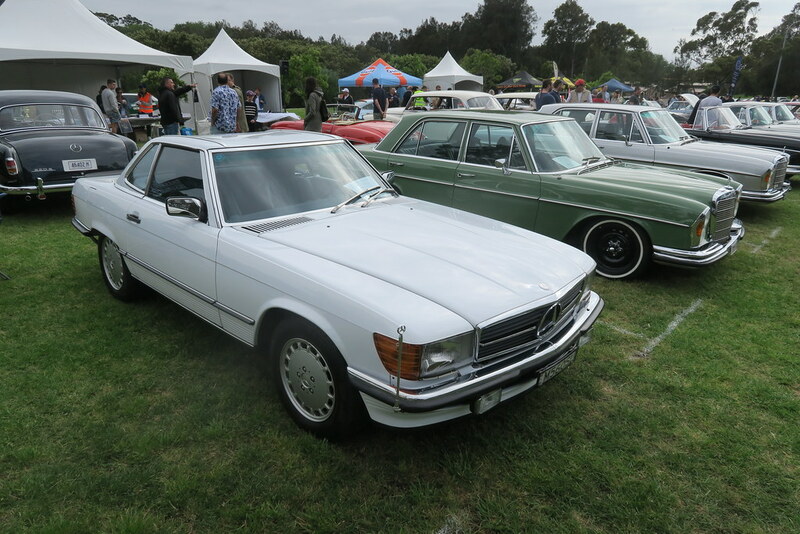 For Mercedes, attendance was the biggest yet. 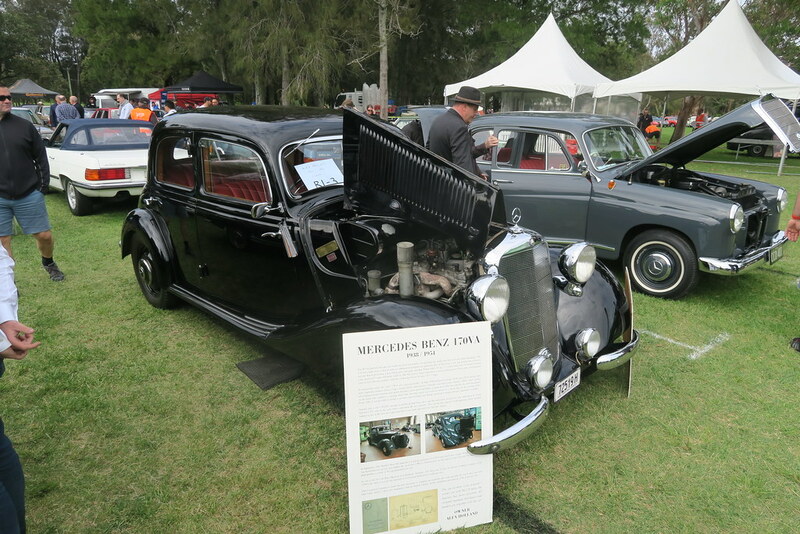 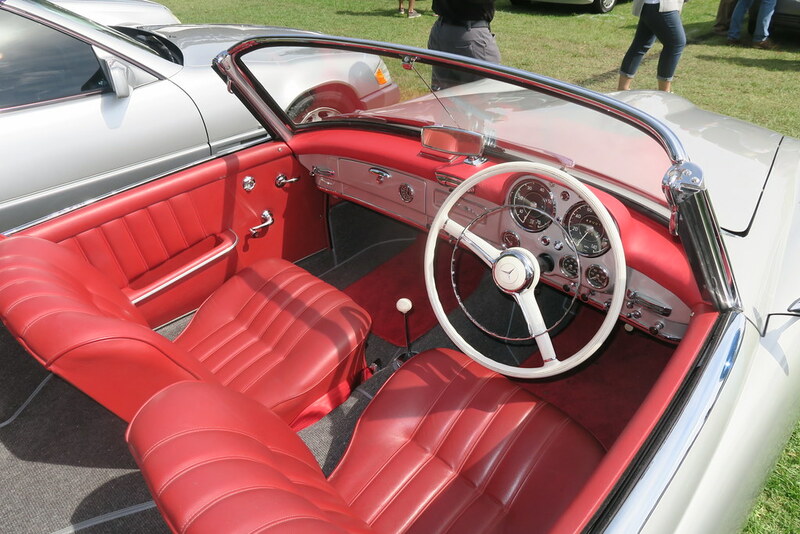 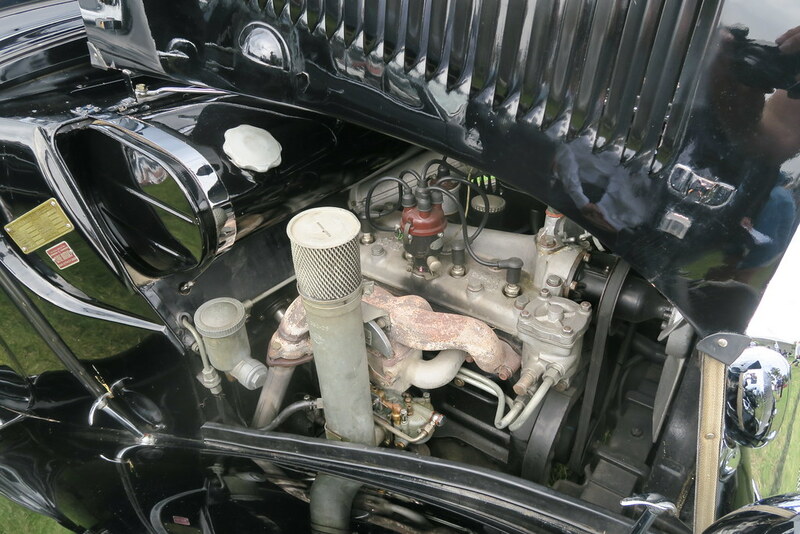 There was only one pre-war car, but most of the post war models were represented. 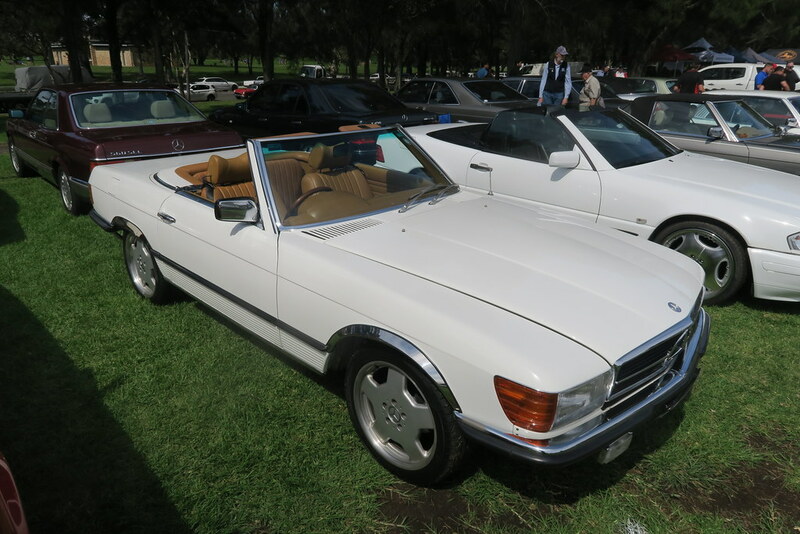 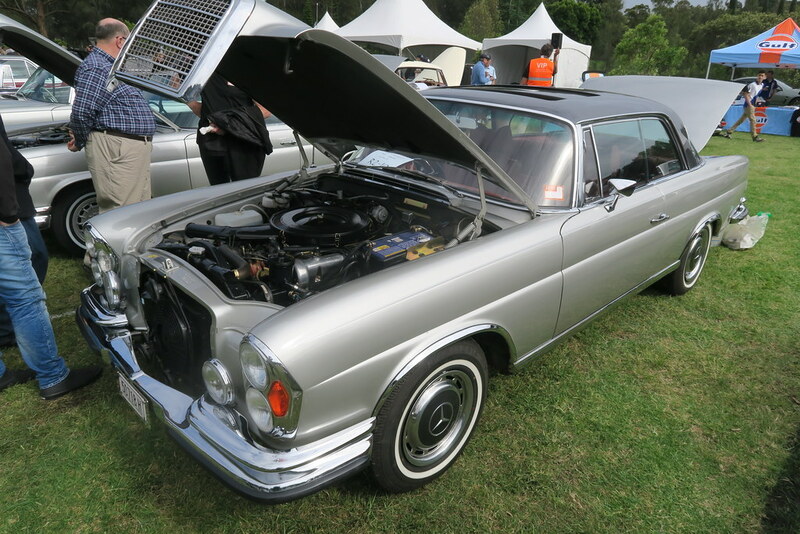 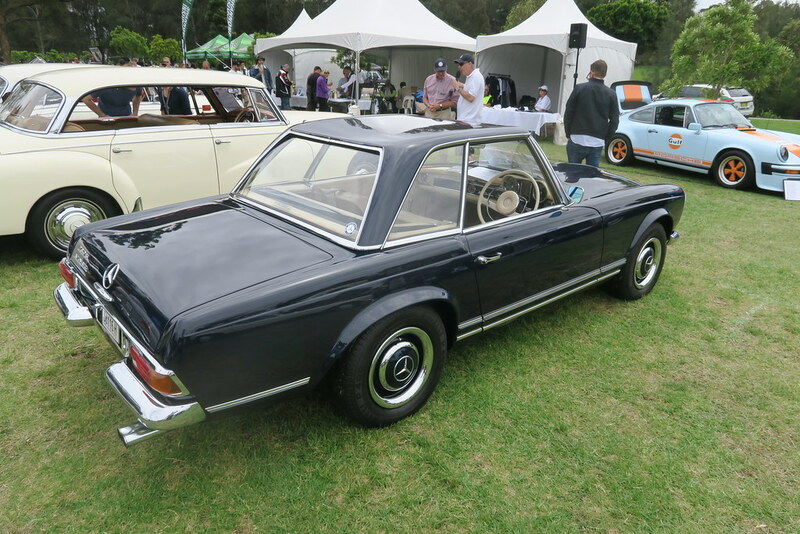 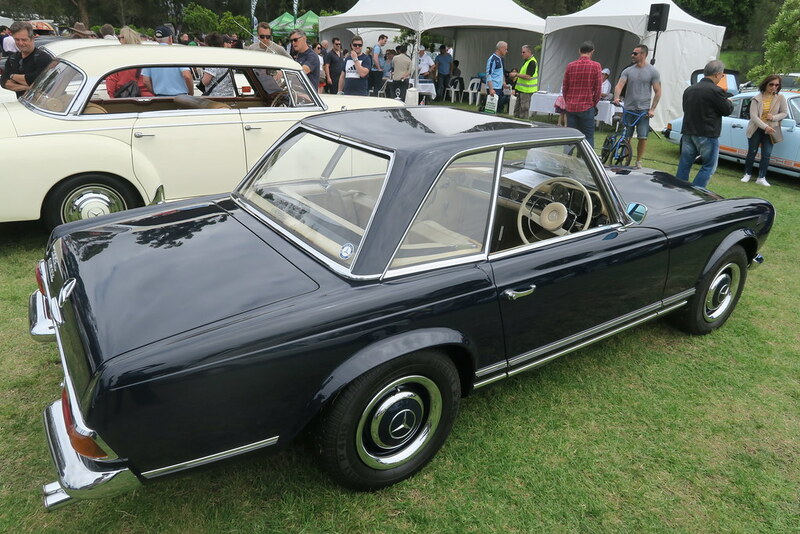 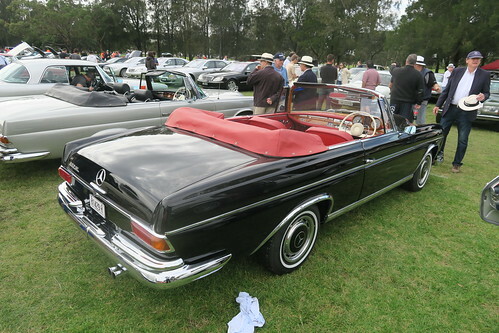 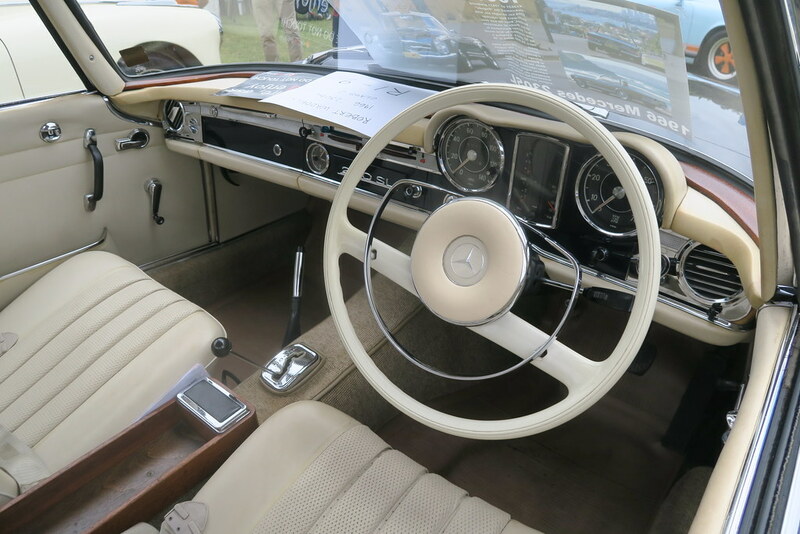 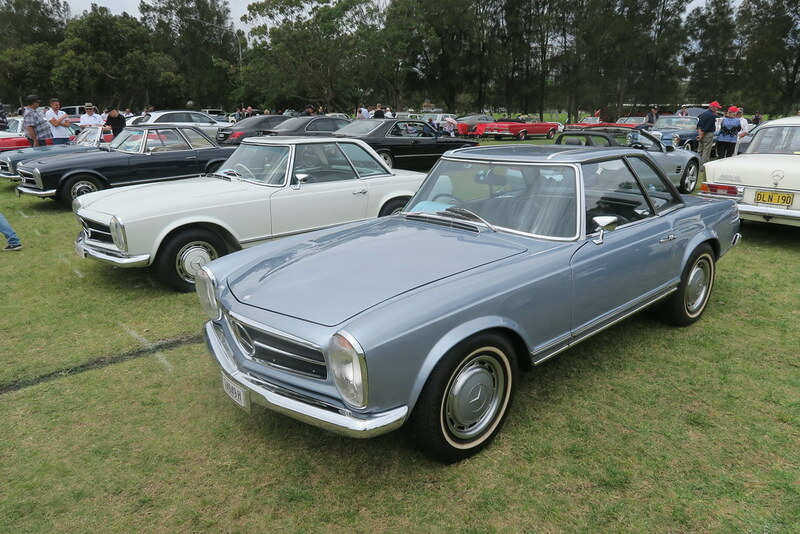 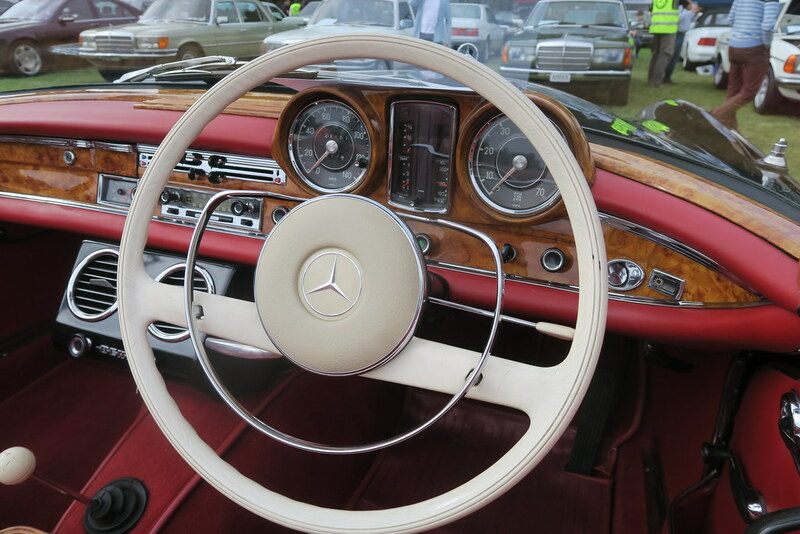 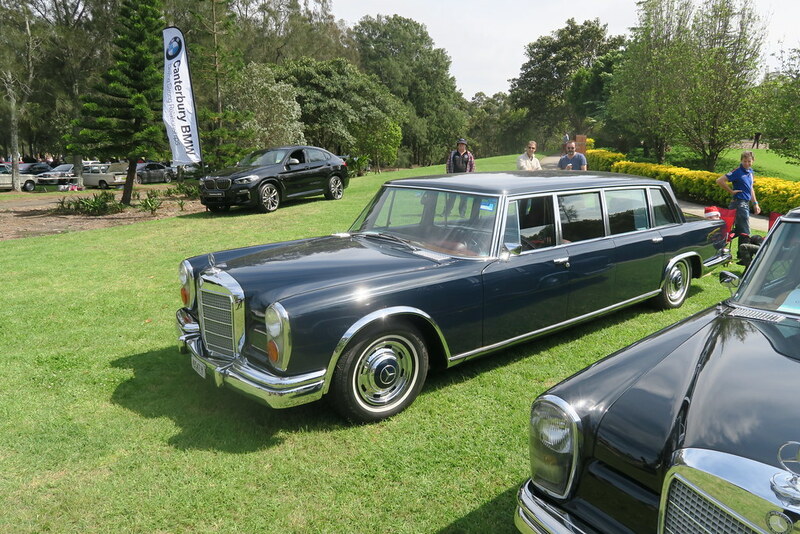 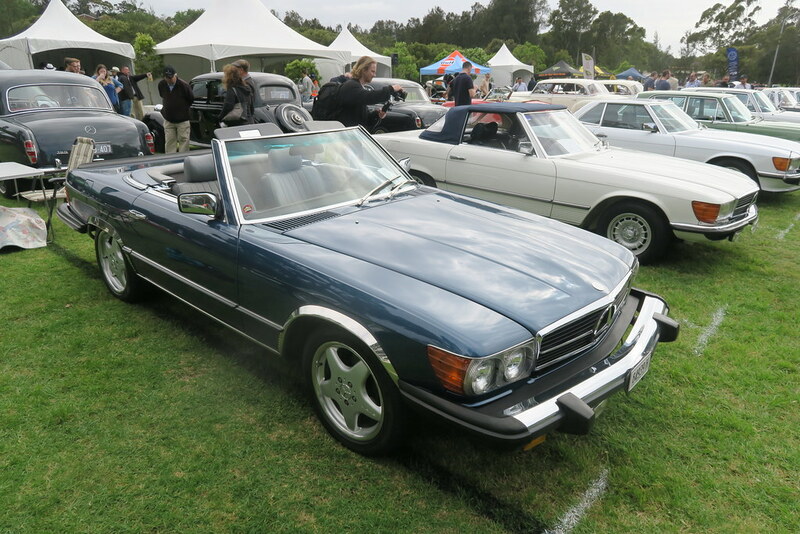 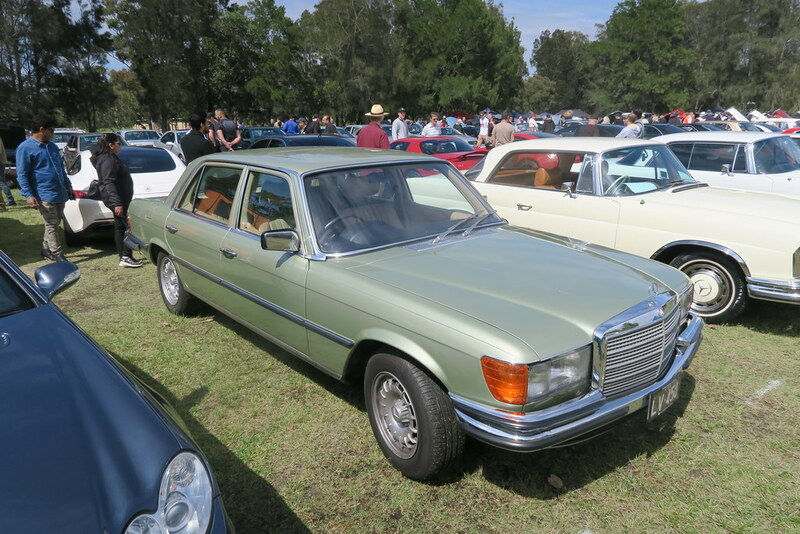 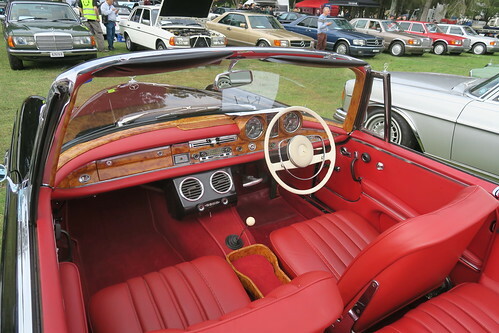 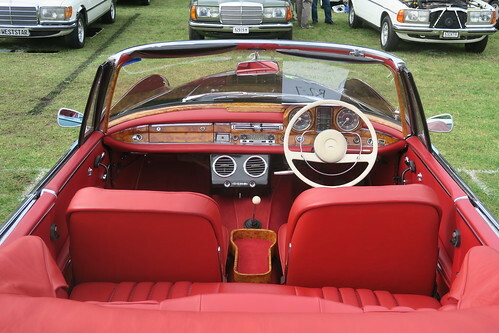 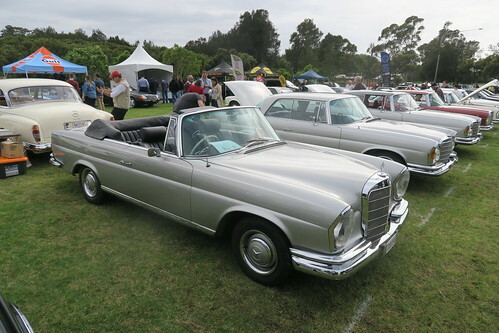 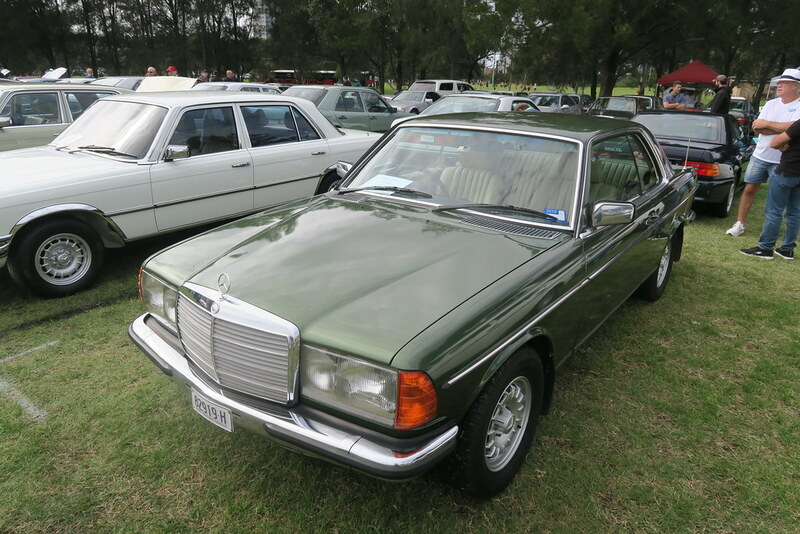 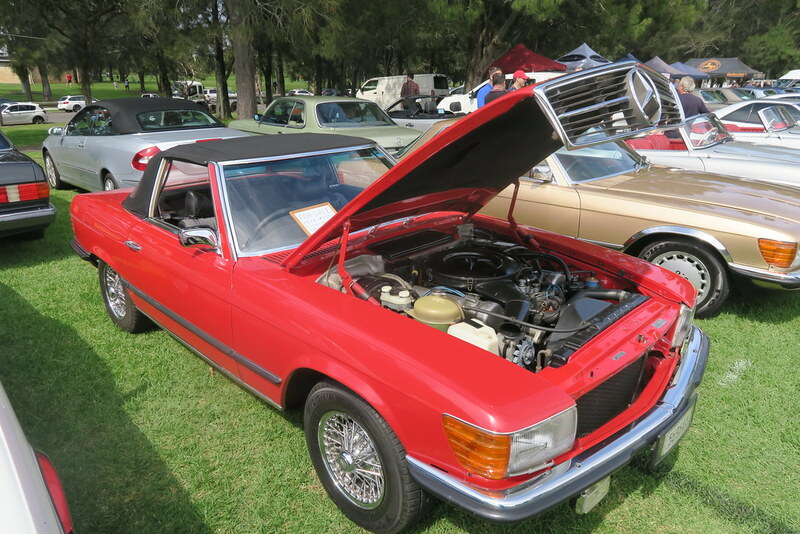 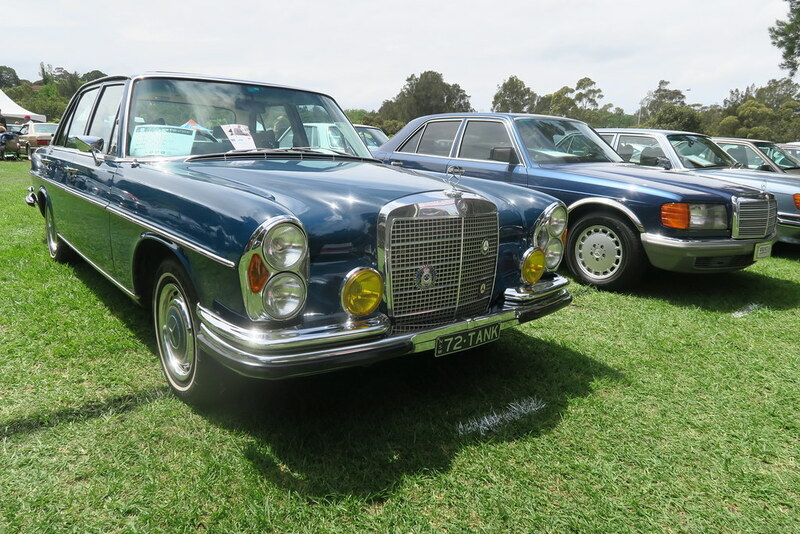 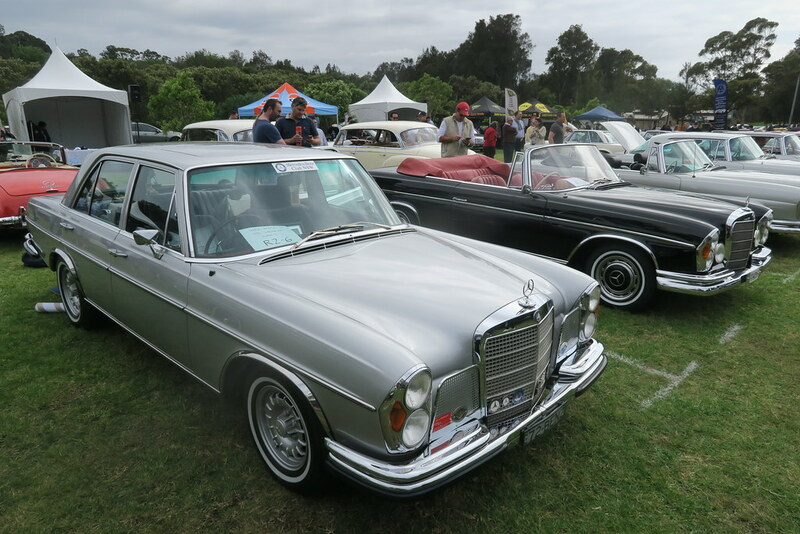 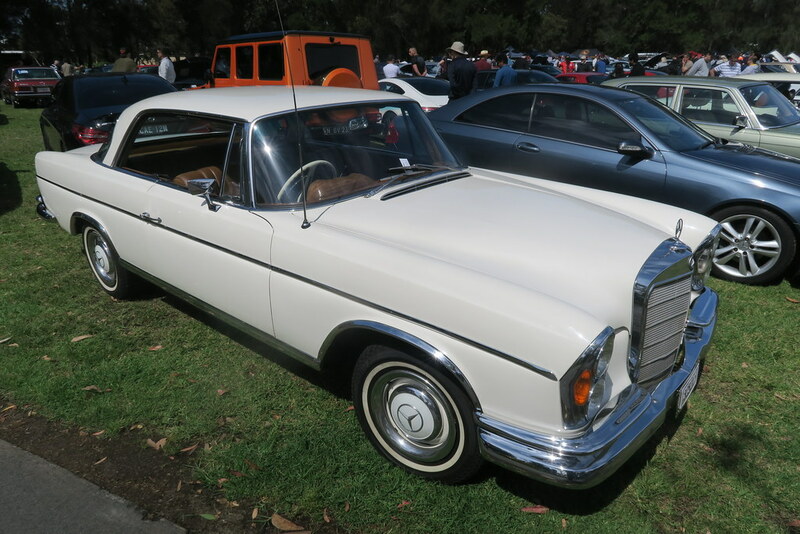 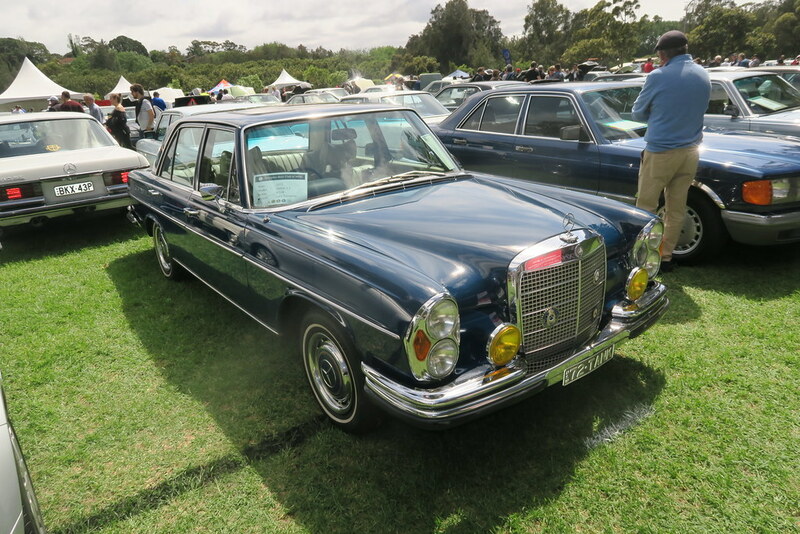 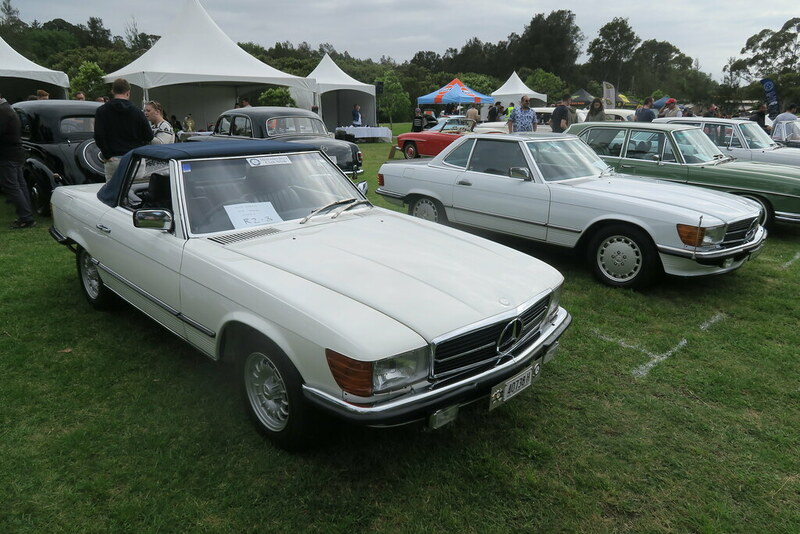 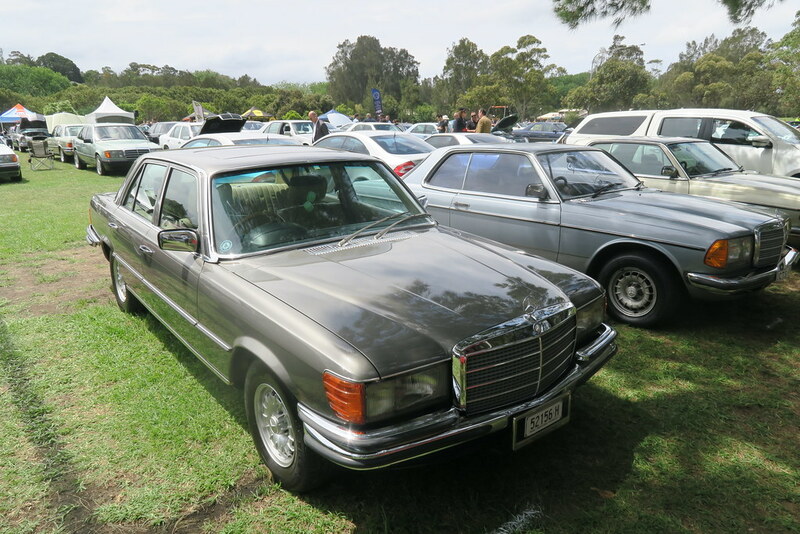 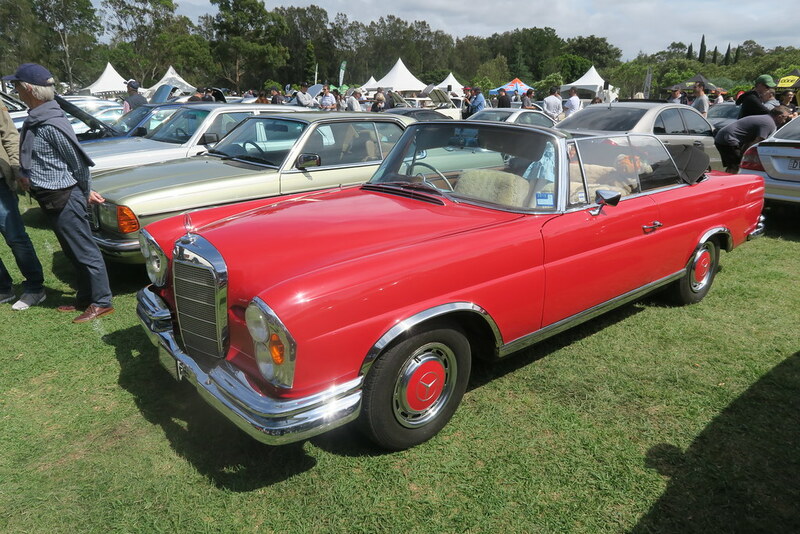 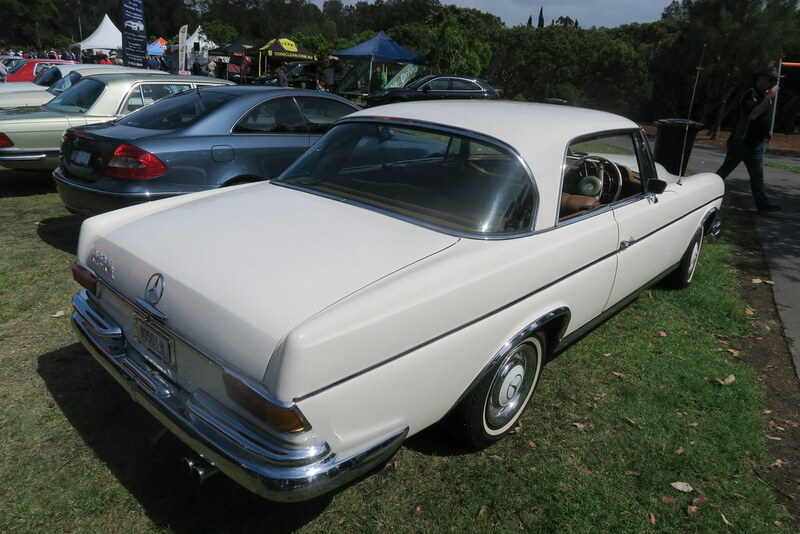 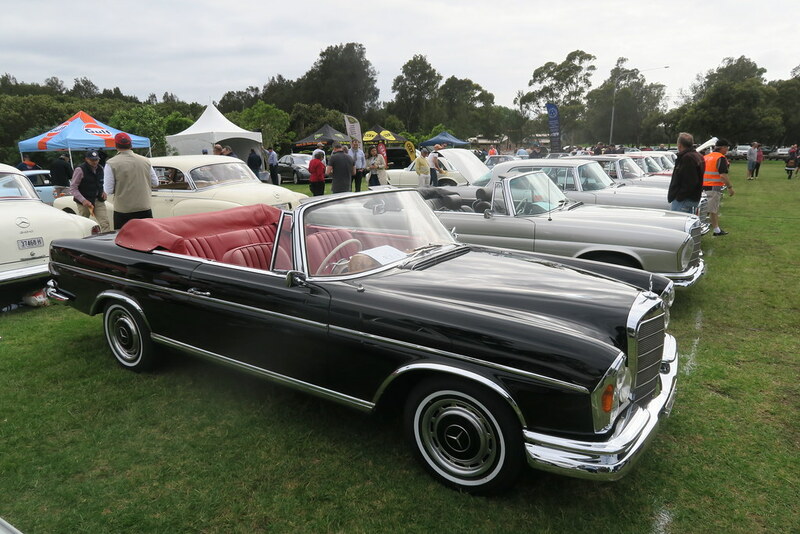 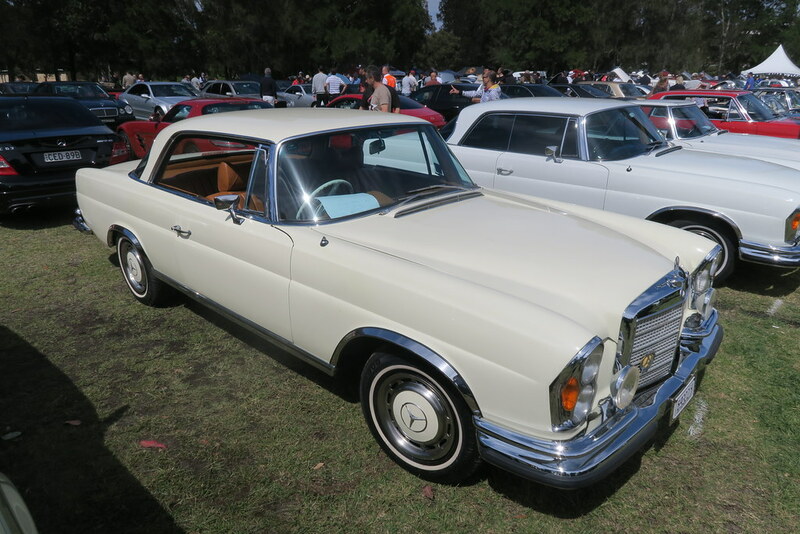 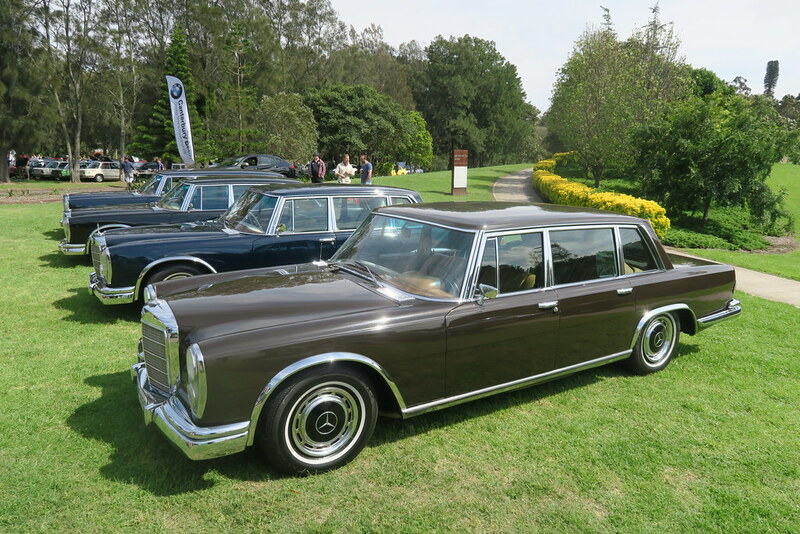 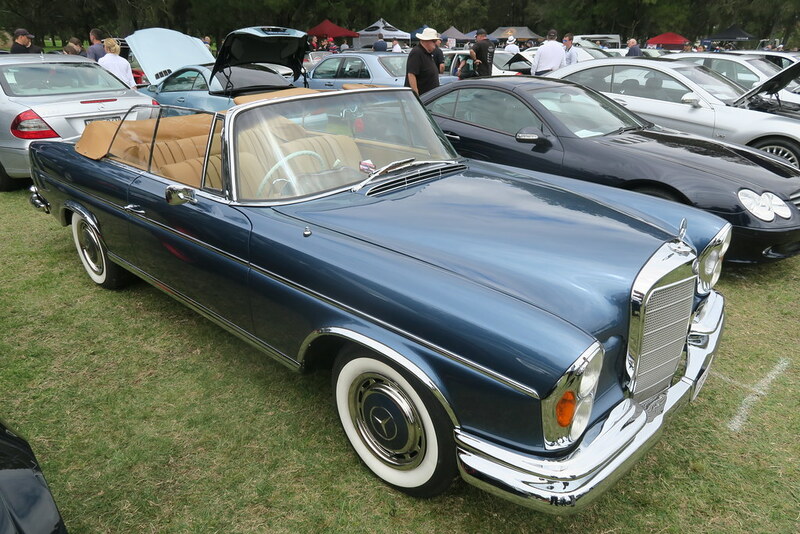 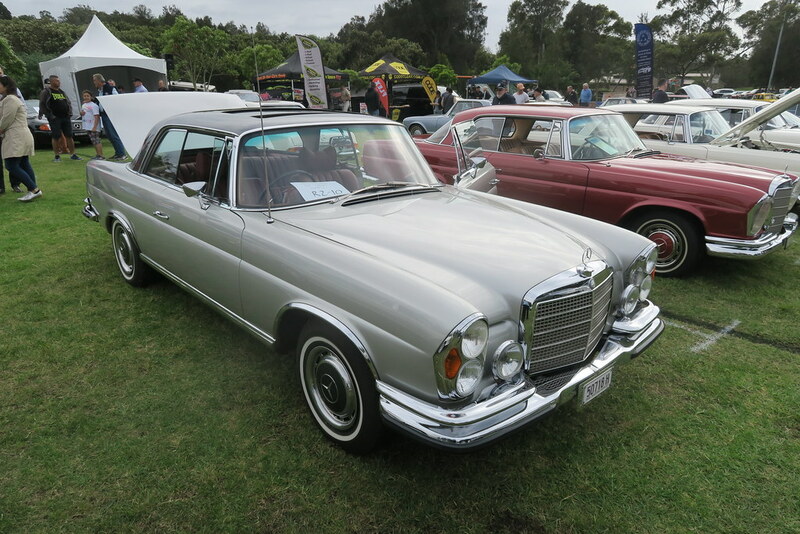 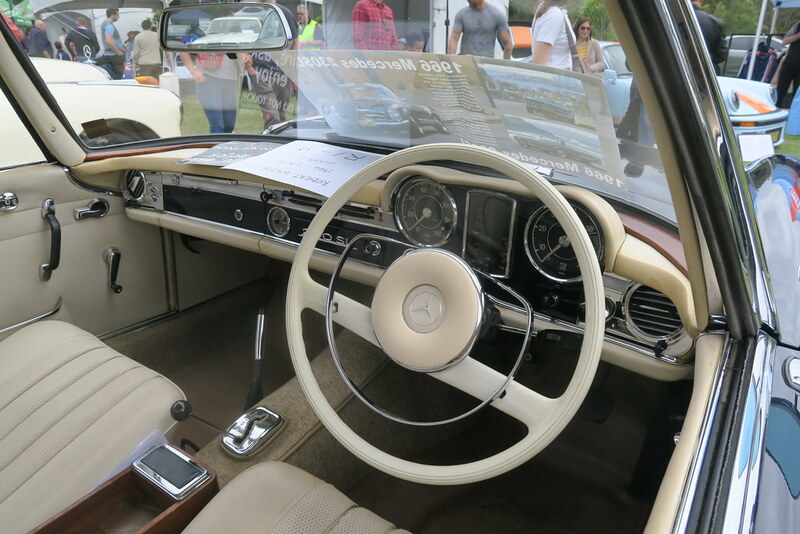 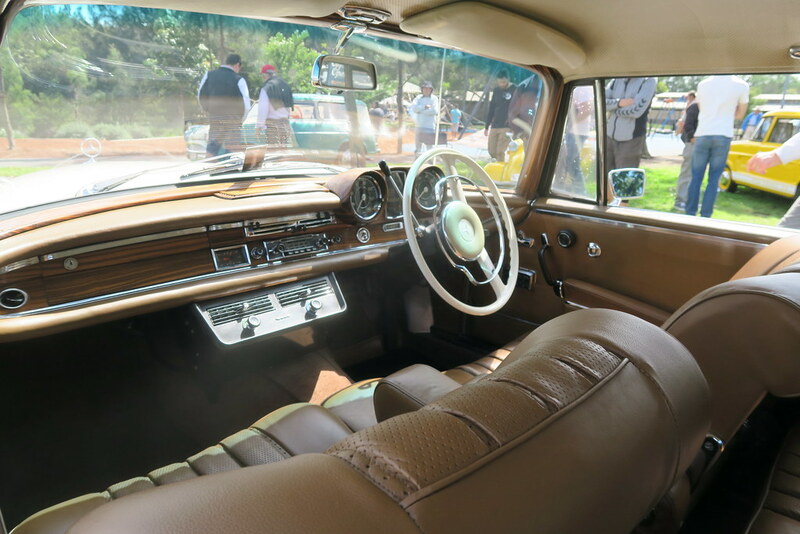 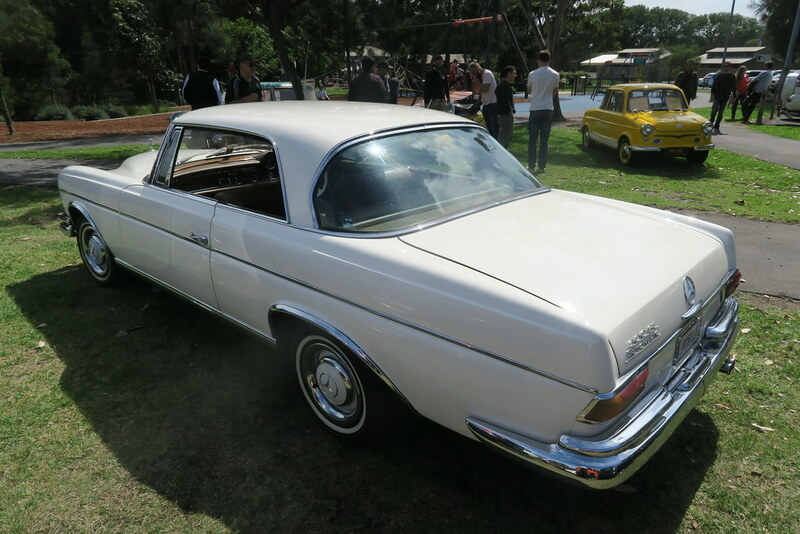 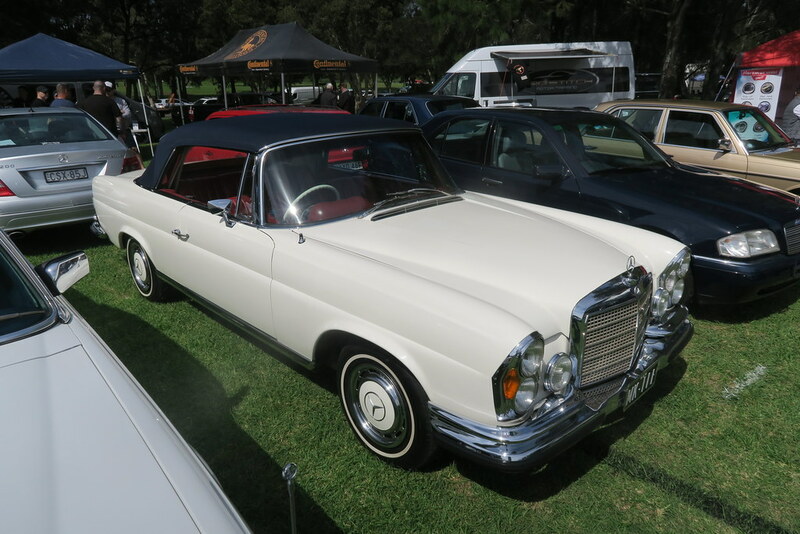 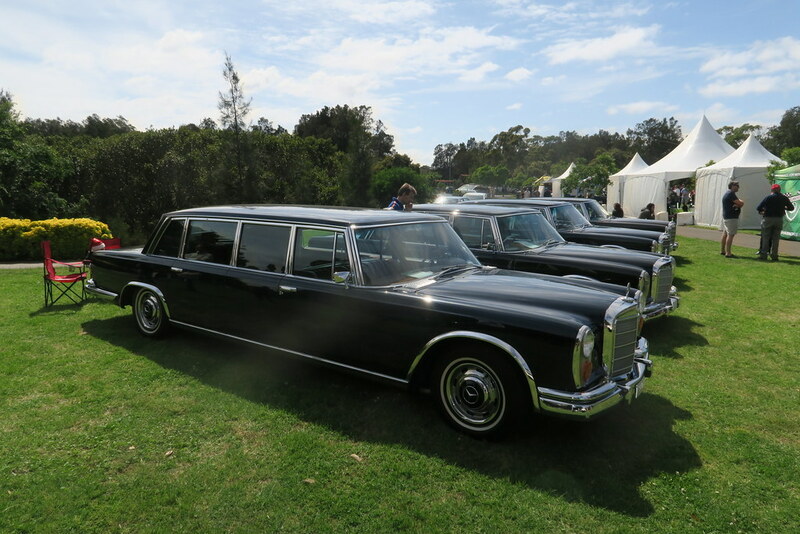 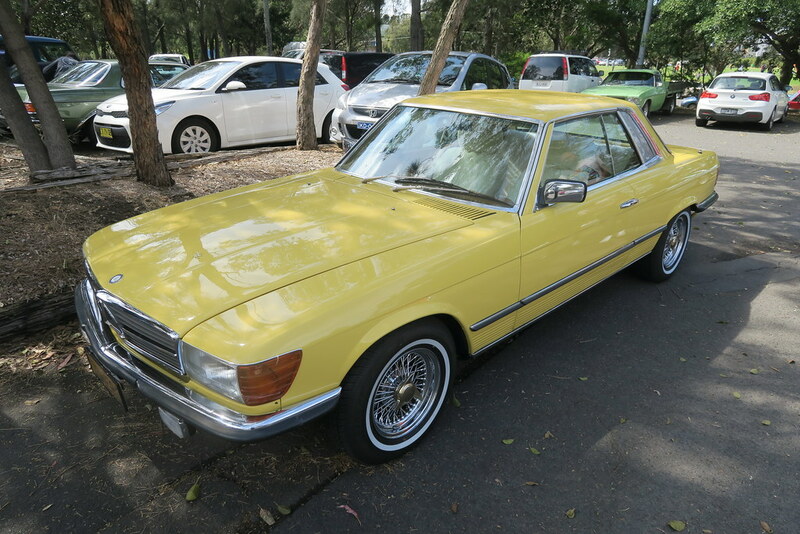 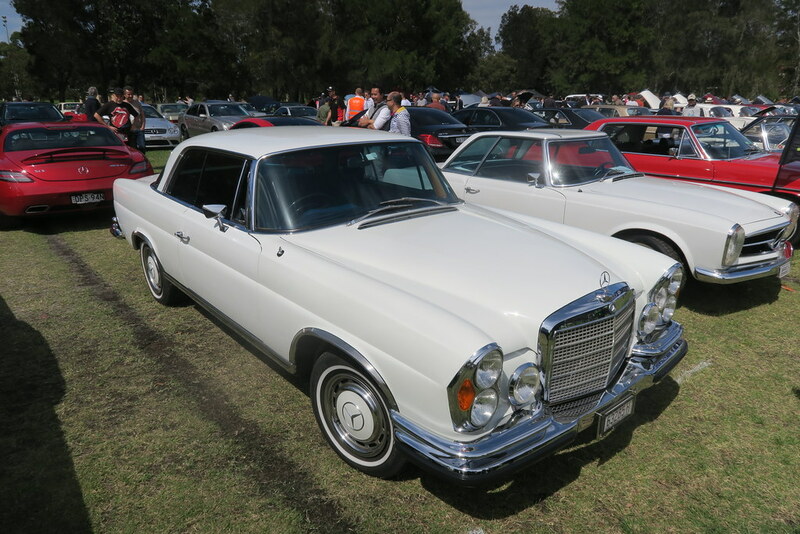 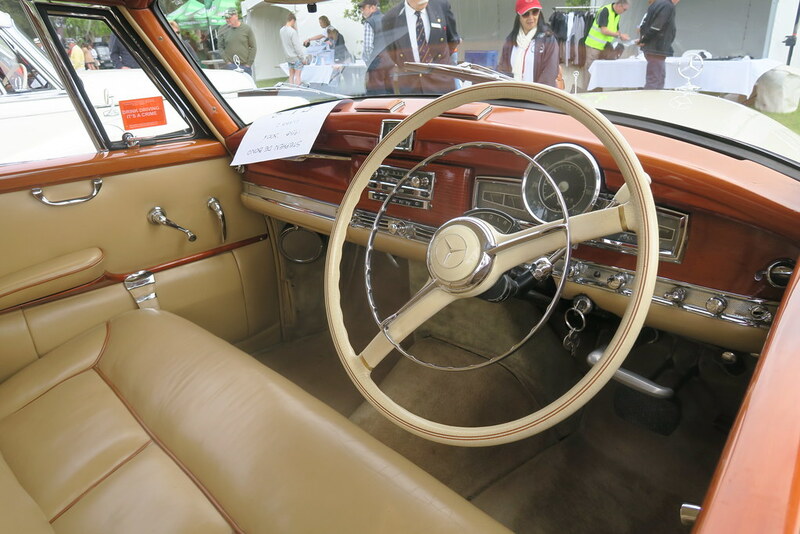 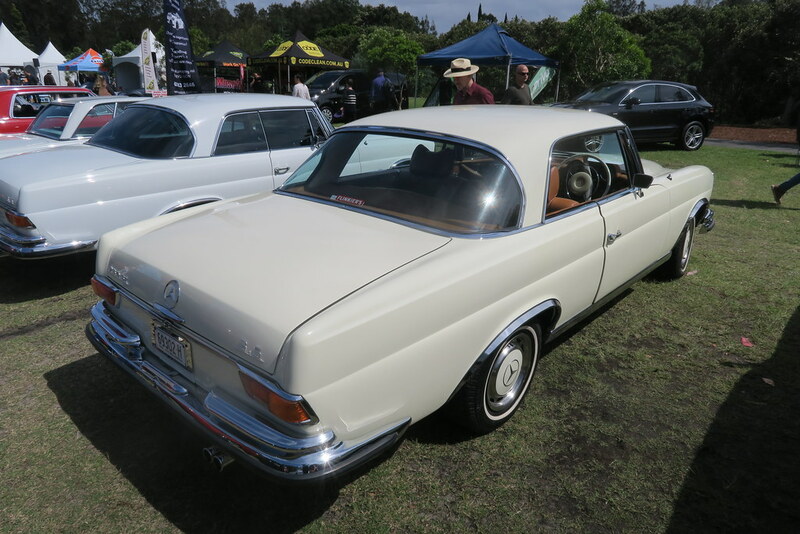 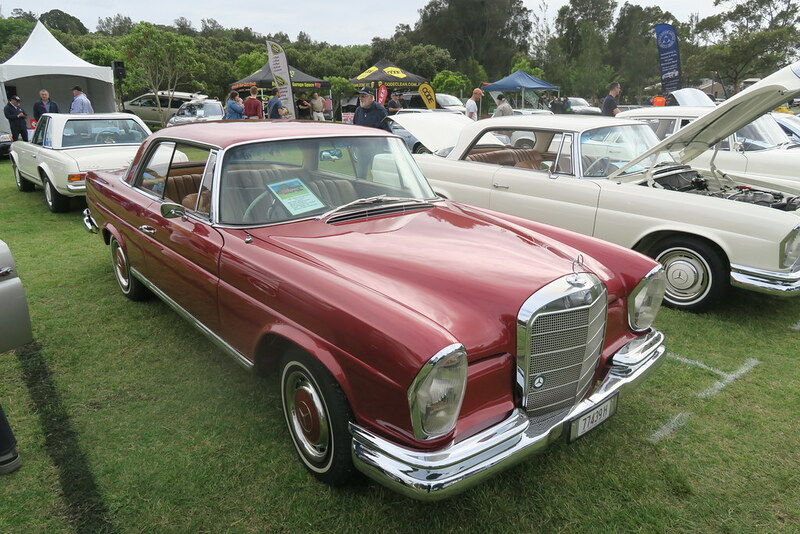 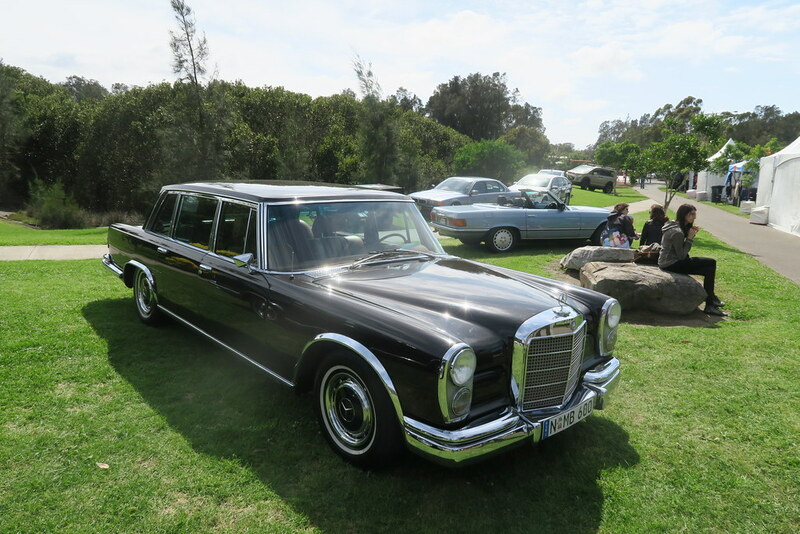 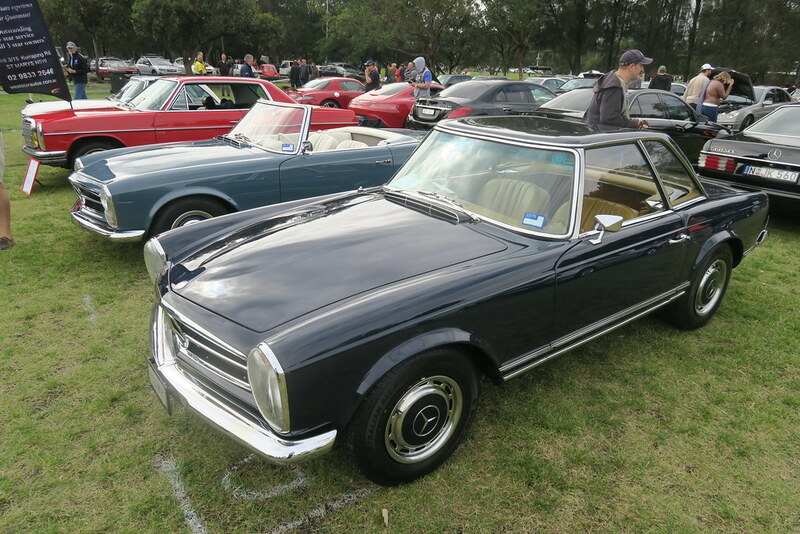 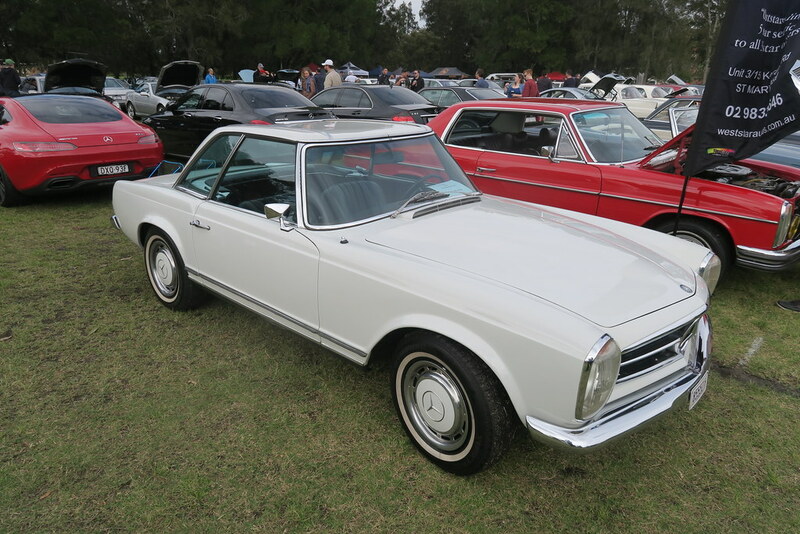 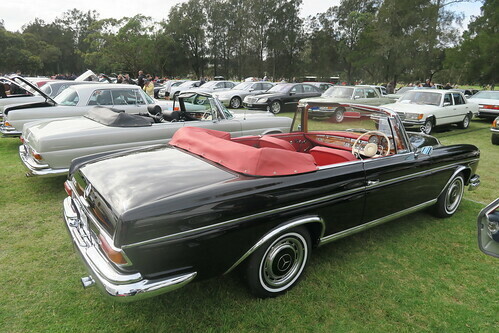 Building on last year, there was a nice selection of W111/W112 Coupe/Cabriolet. 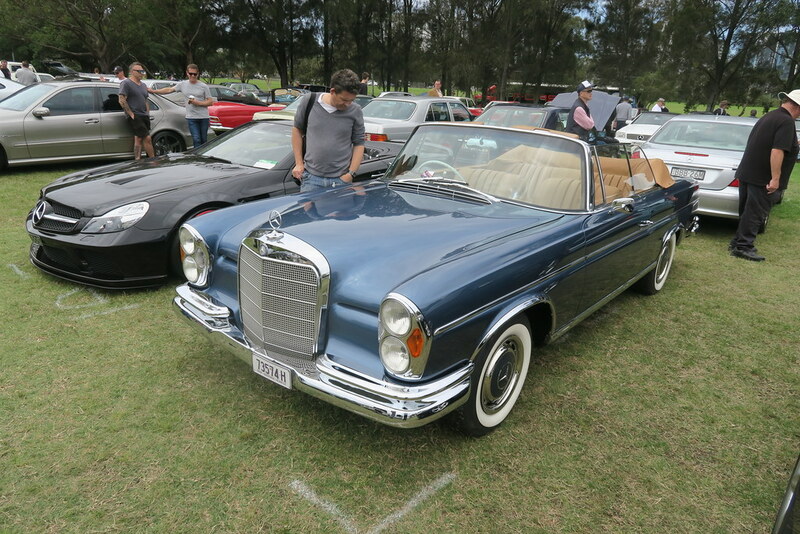 My Cabriolet was joined by two 300s, a black RHD recently imported from the USA, and a blue one recently restored. 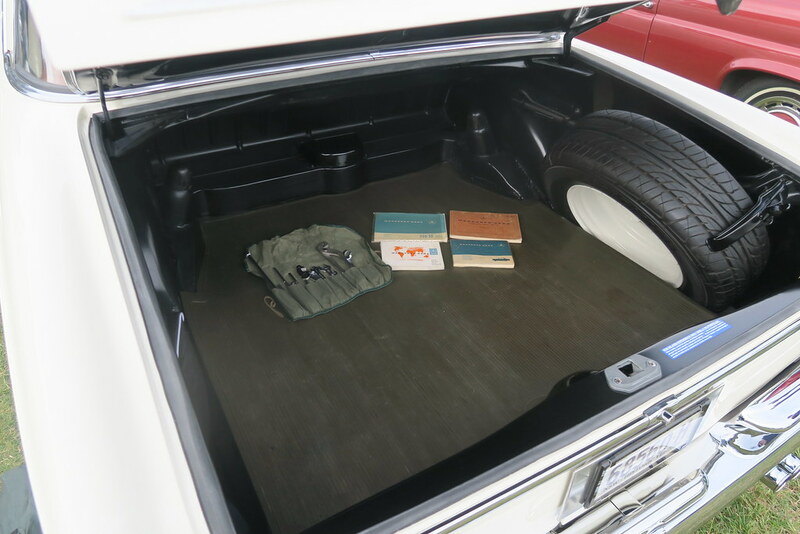 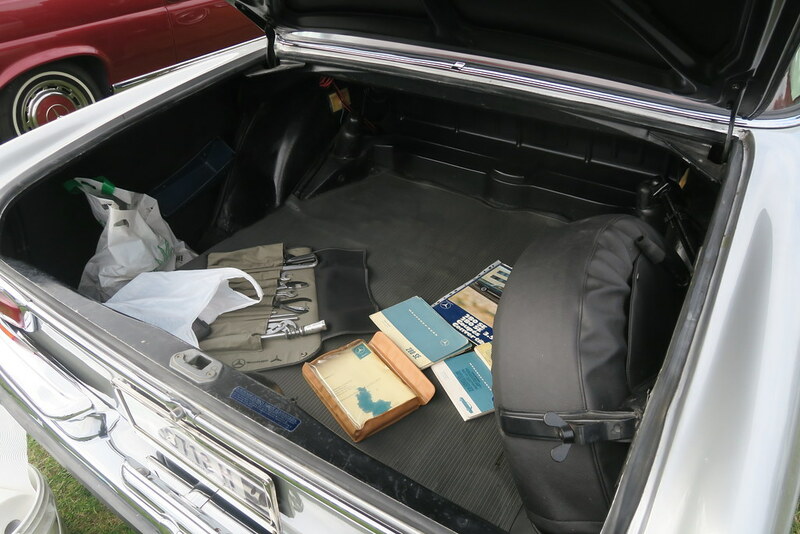 Interestingly on the black car, it had Safari seats in the front and a regular rear seat. 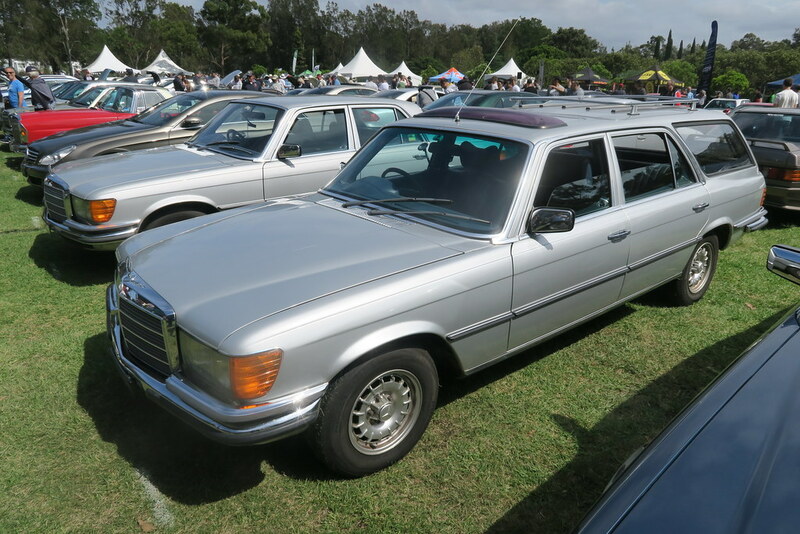 I can only assume that some time ago, when these cars were not worth very much, a previous owner threw away the safari seats because he/she needed to carry three passengers in the back. 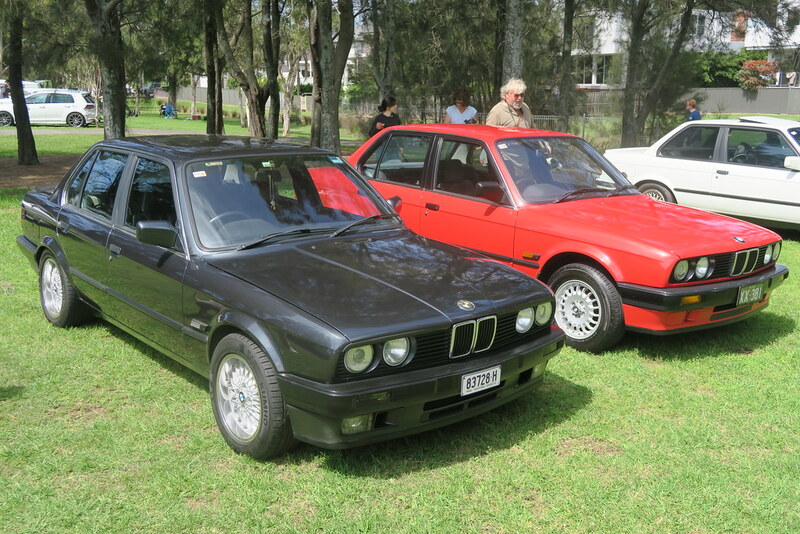 If only they knew how valuable they would become. 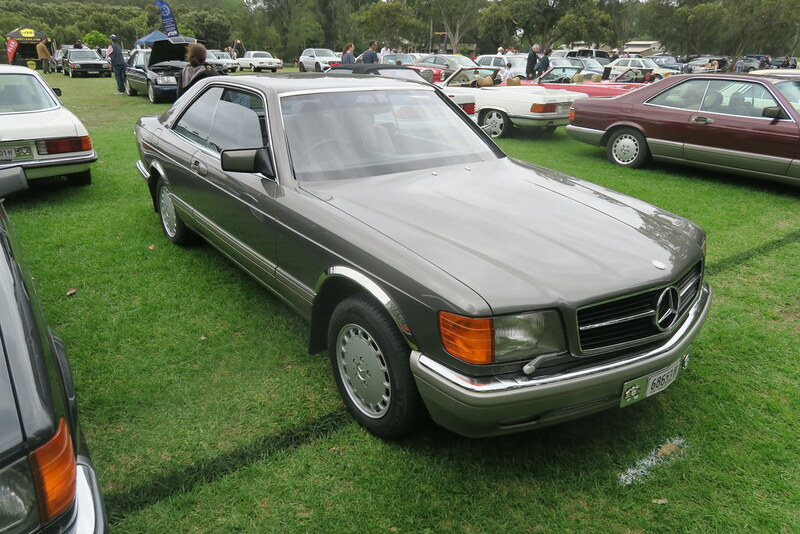 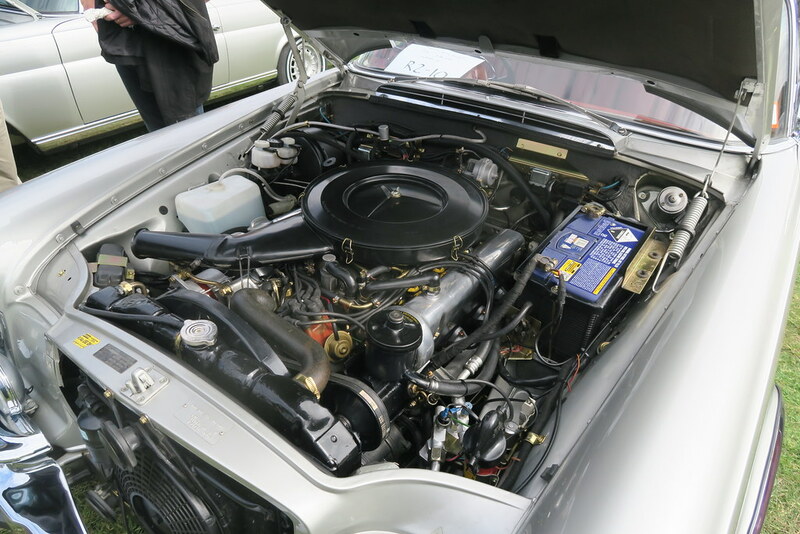 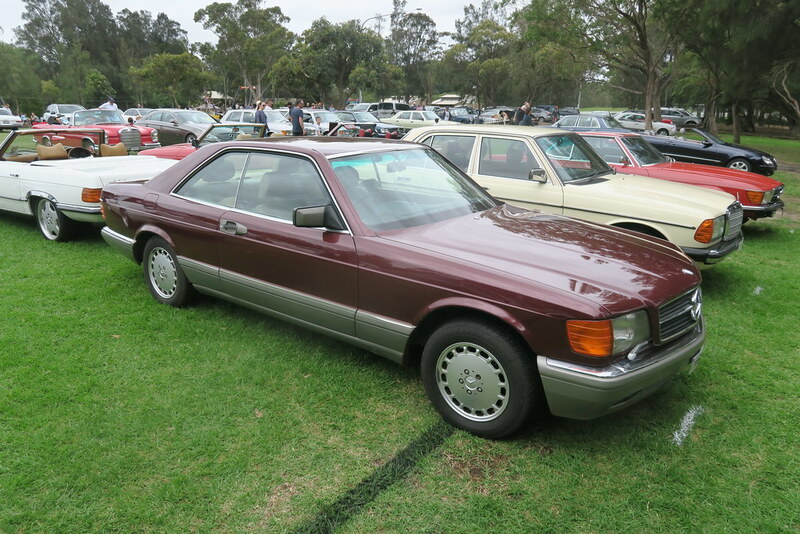 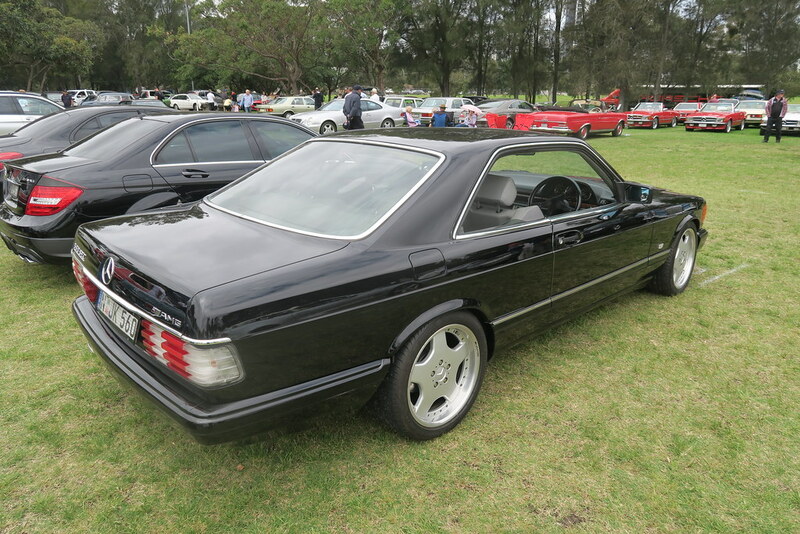 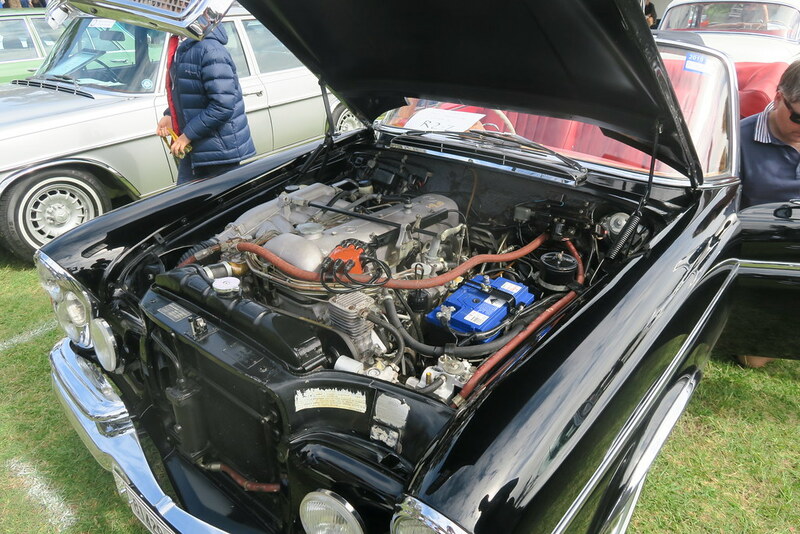 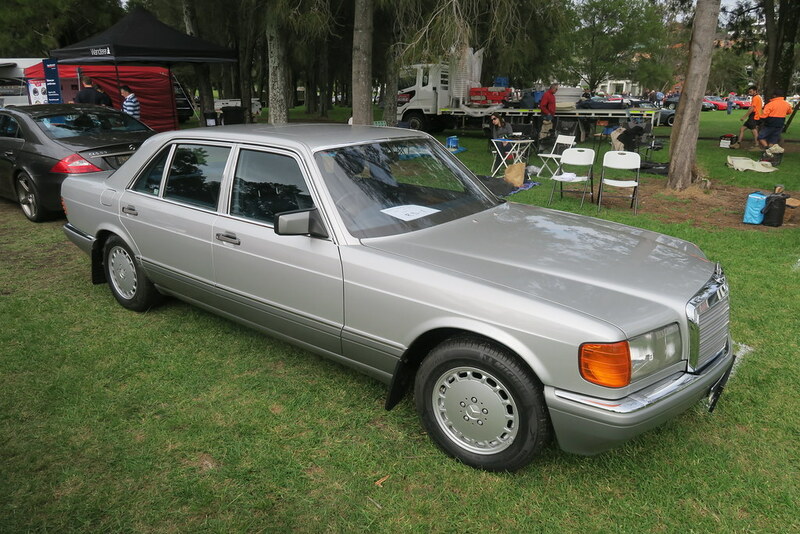 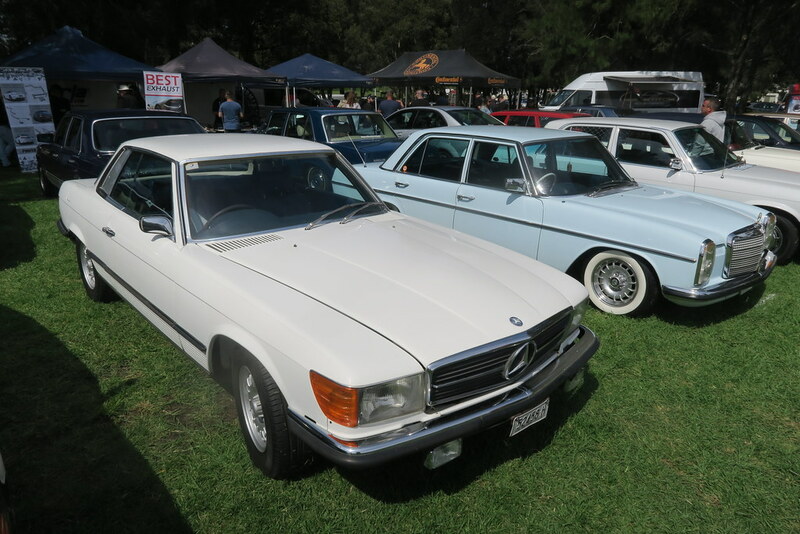 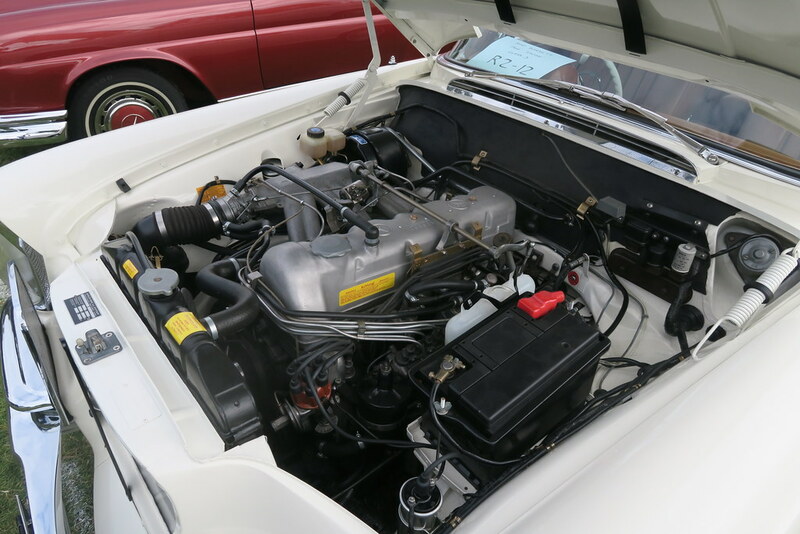 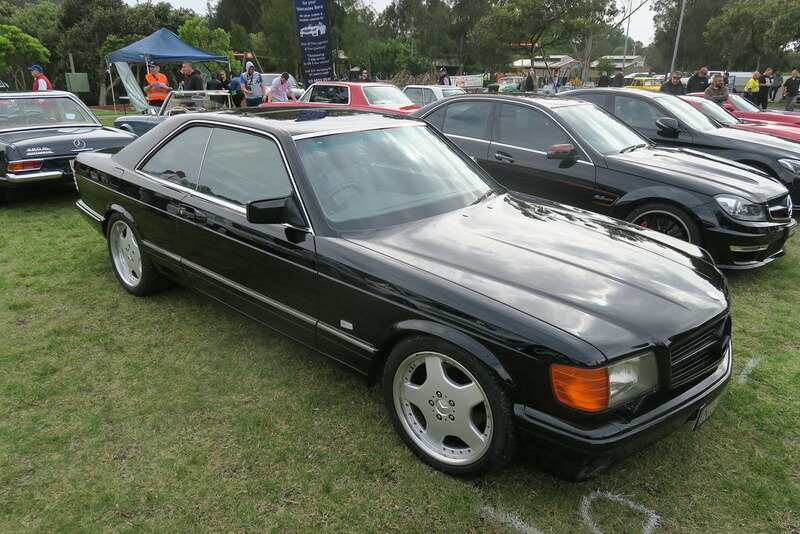 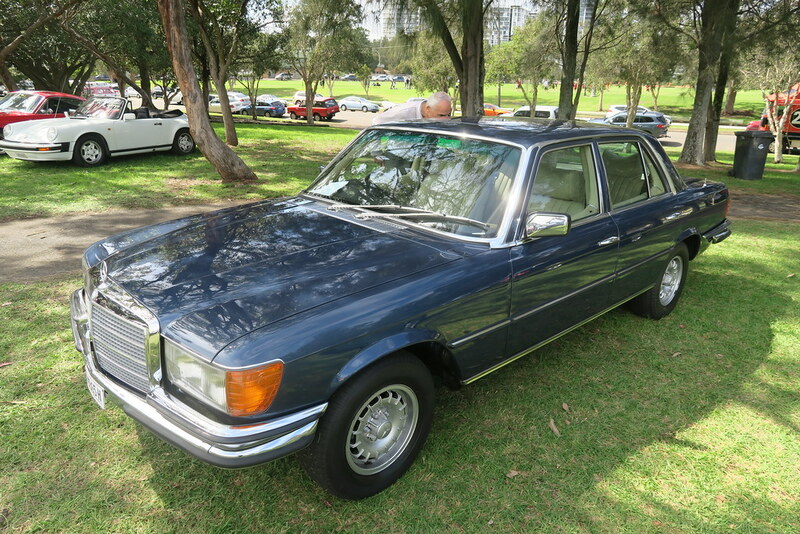 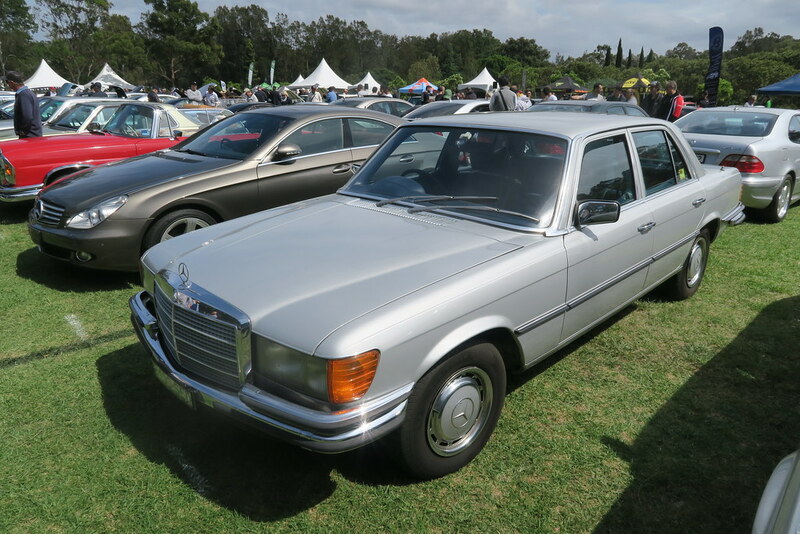 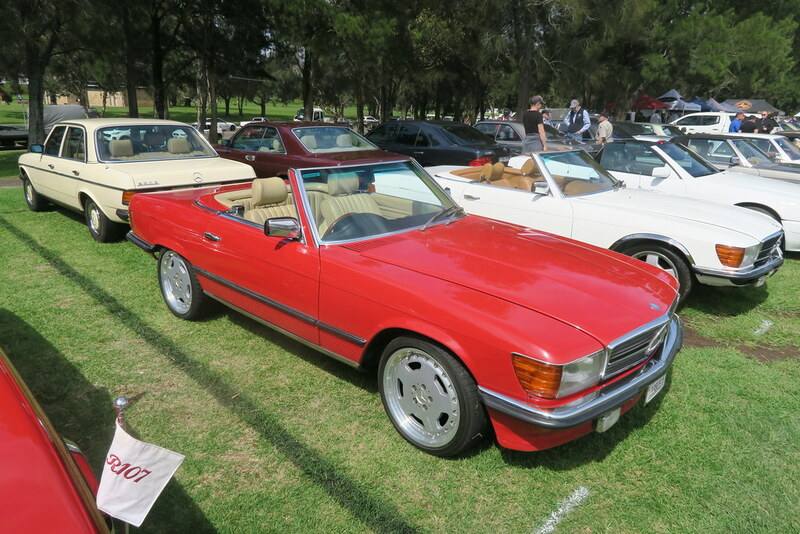 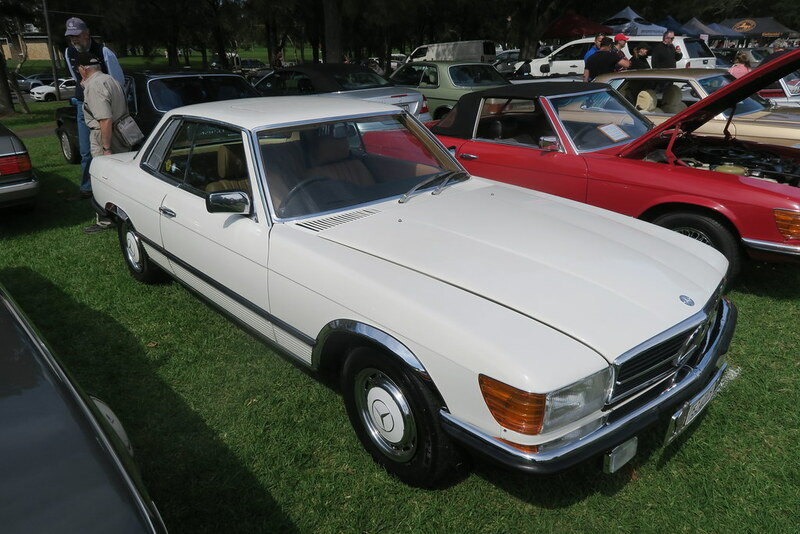 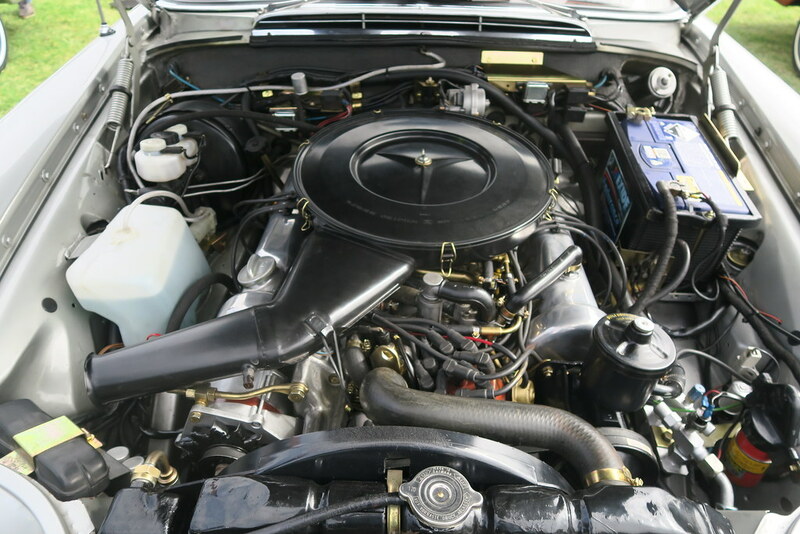 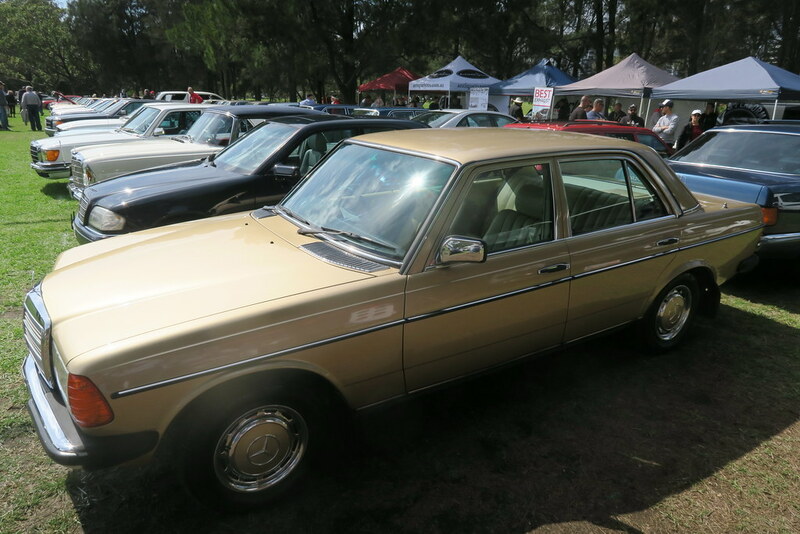 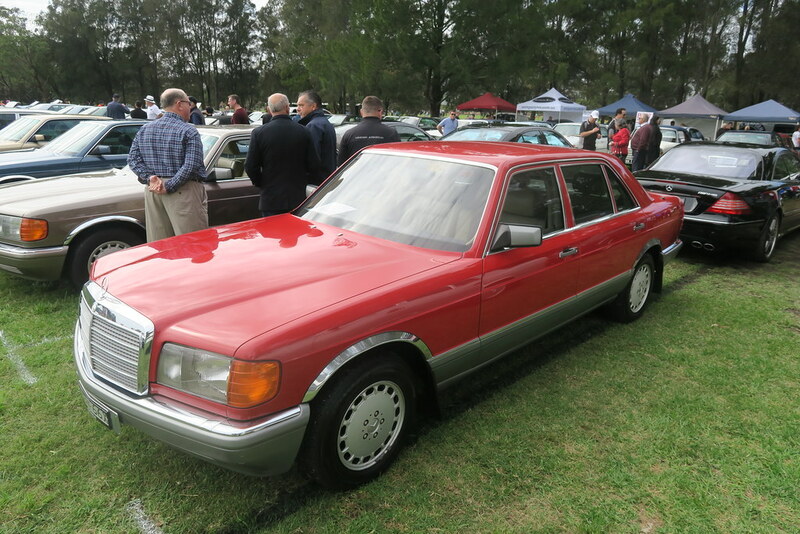 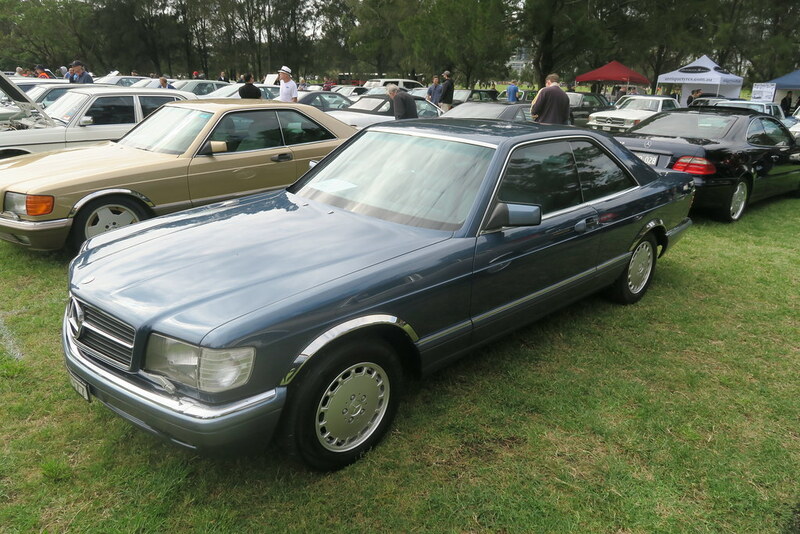 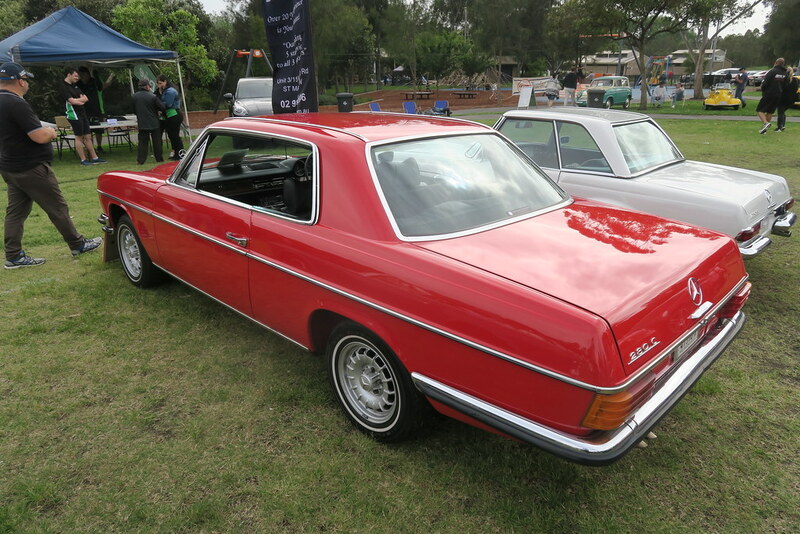 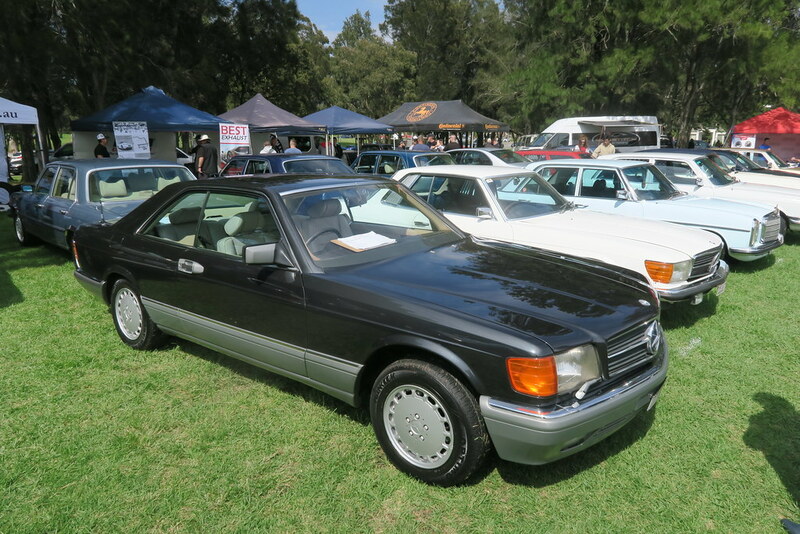 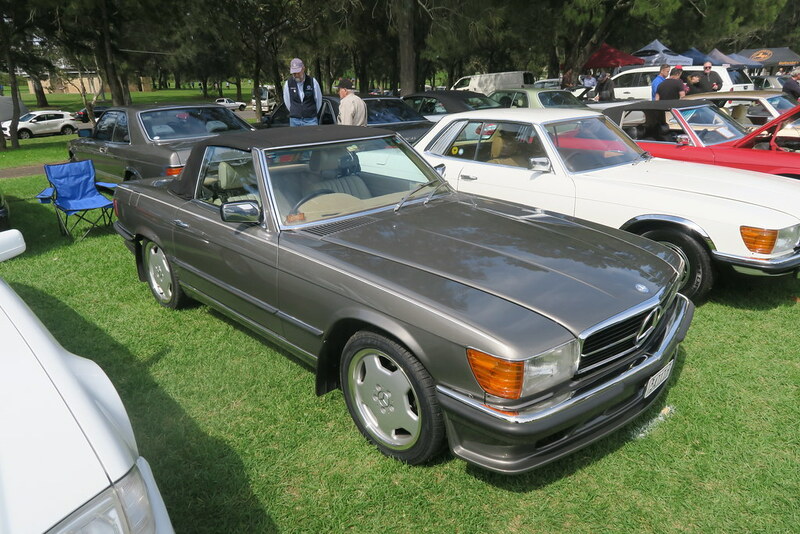 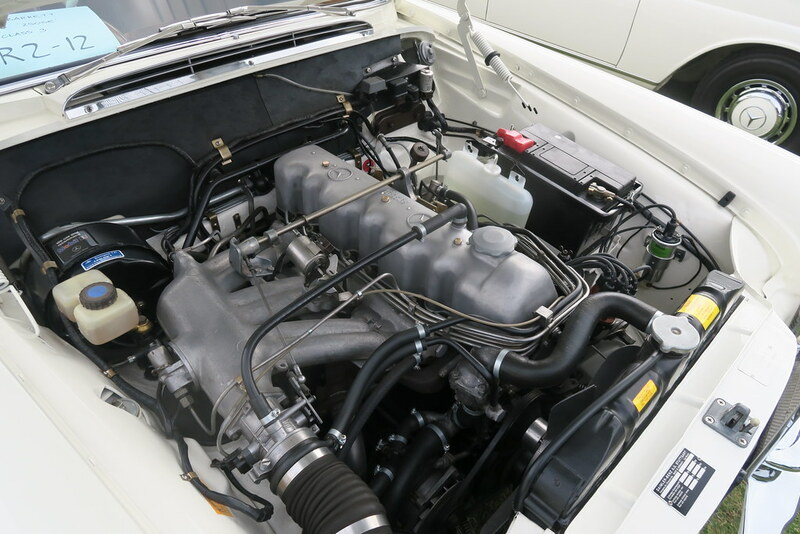 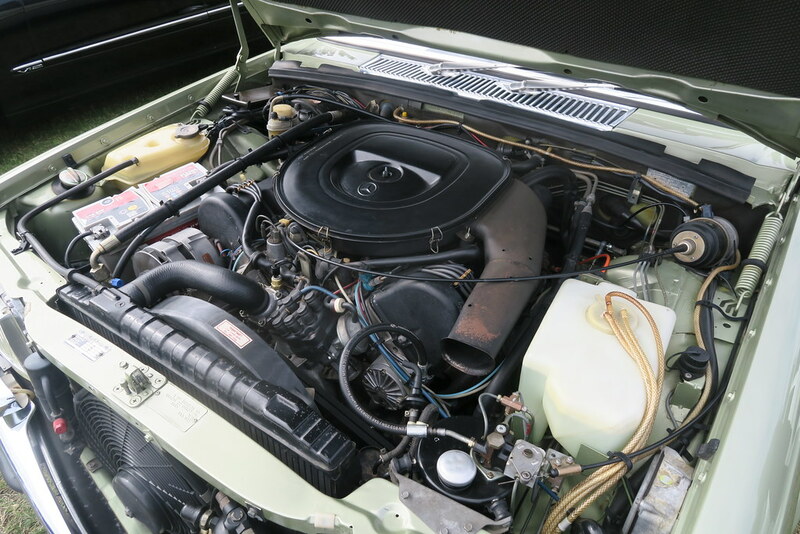 For the Coupe’s, there were a few 280SE 3.5s, a prize winning 250SE, a 220SE and a 300SE. 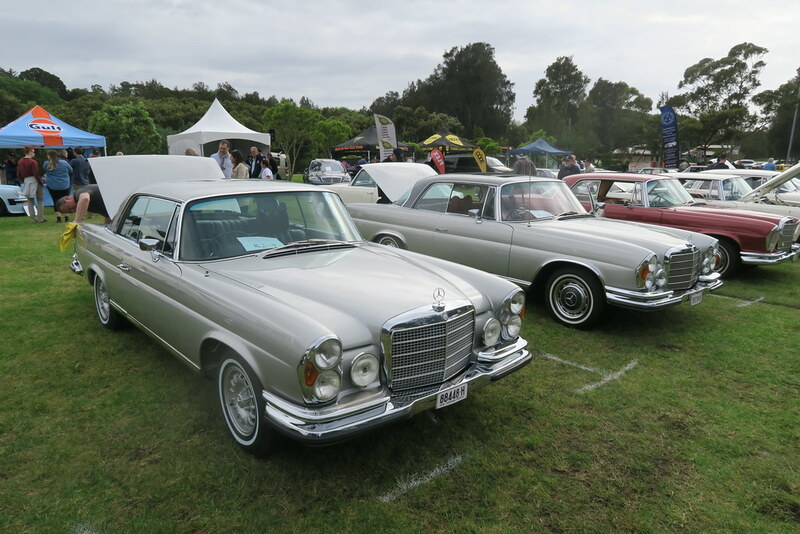 As usual, there was a good display of Pagodas, 190SLs and so on. 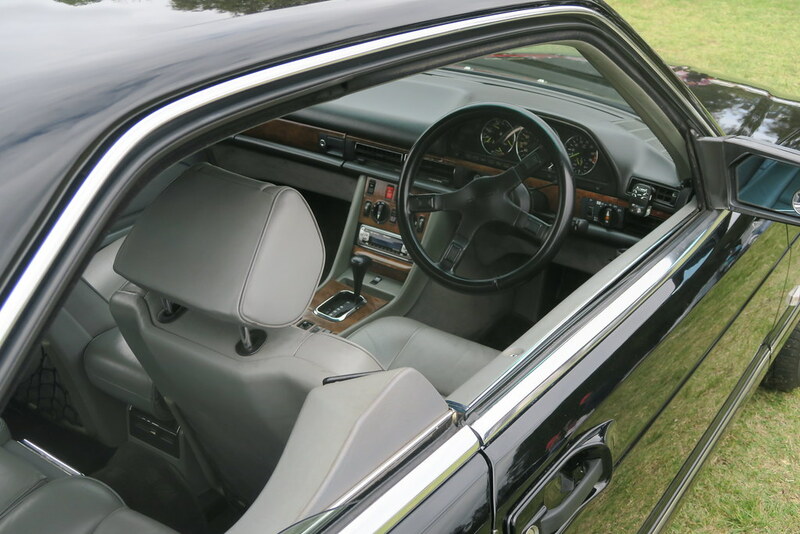 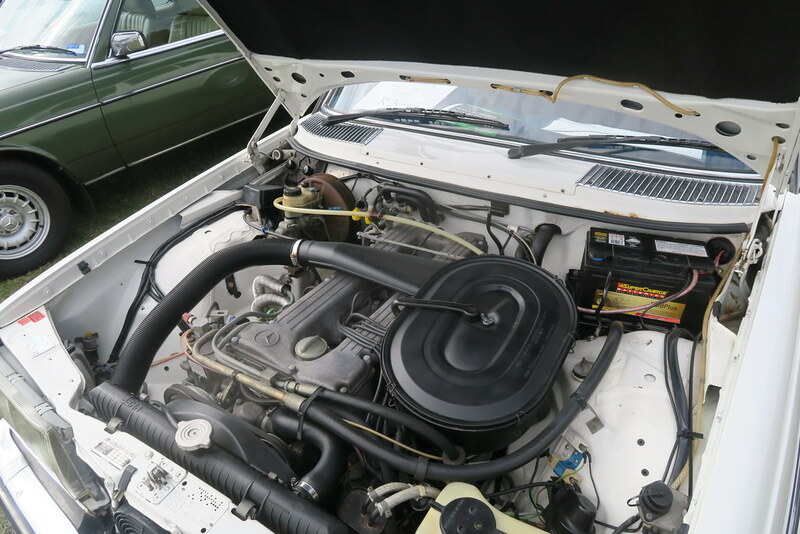 I even saw my old 280CE, with a new steering wheel center. 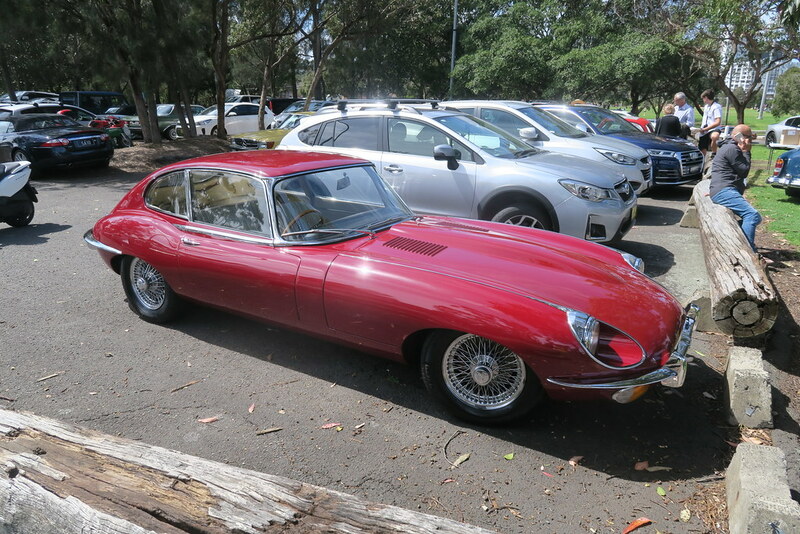 I’m glad an enthusiast owns this car. 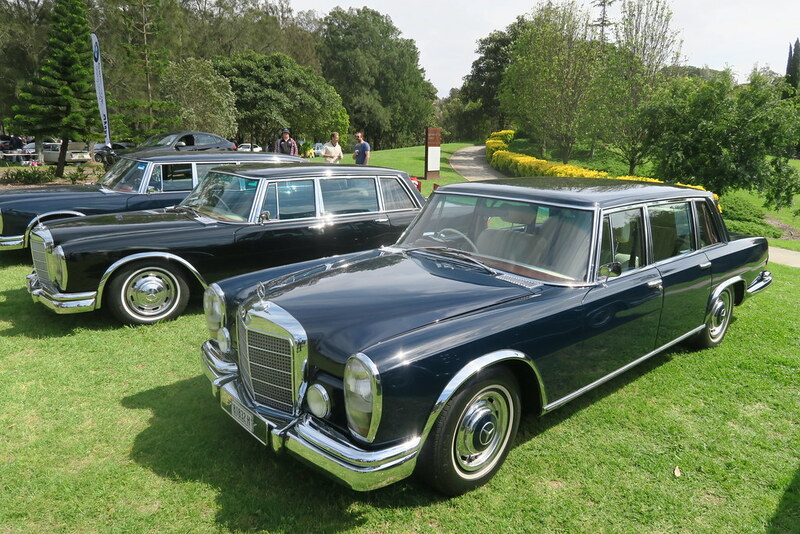 There was also a good display of 600s, including a Pullman. 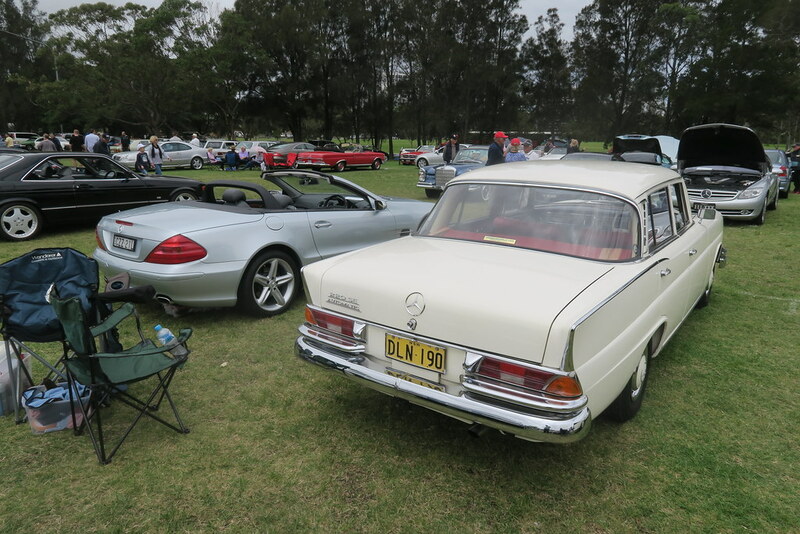 Overall this was a great event and you can see how hard the organizers worked to put it on. The only negative for me is that the new concours judging classes make little sense. 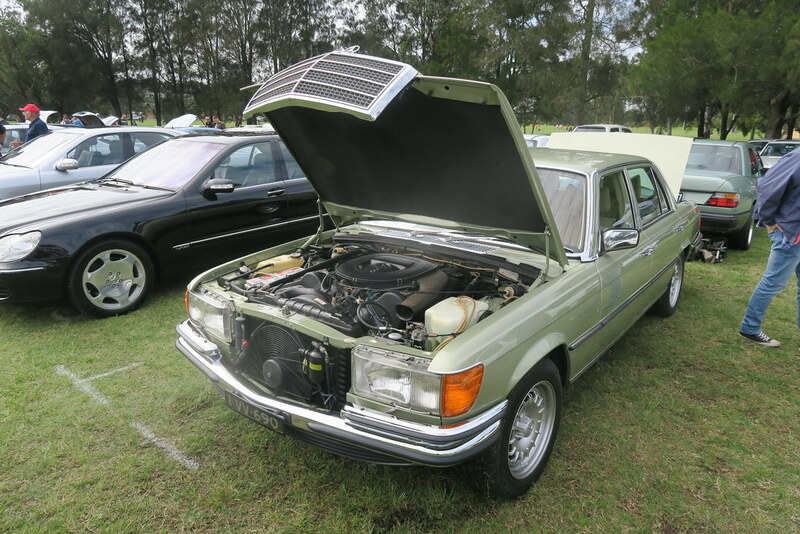 The old ones were much more logically laid out. 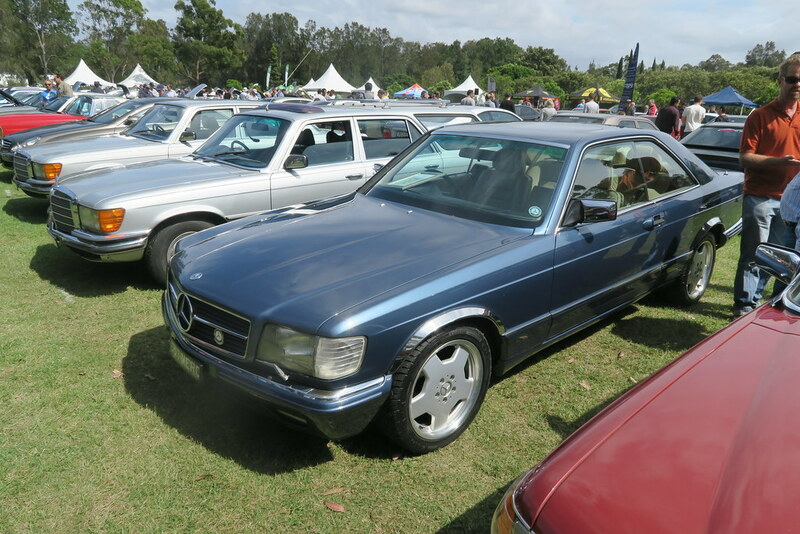 You now have things like W100s in with 190SLs and other strange combinations. I also find the registration fee of $50 rather expensive. 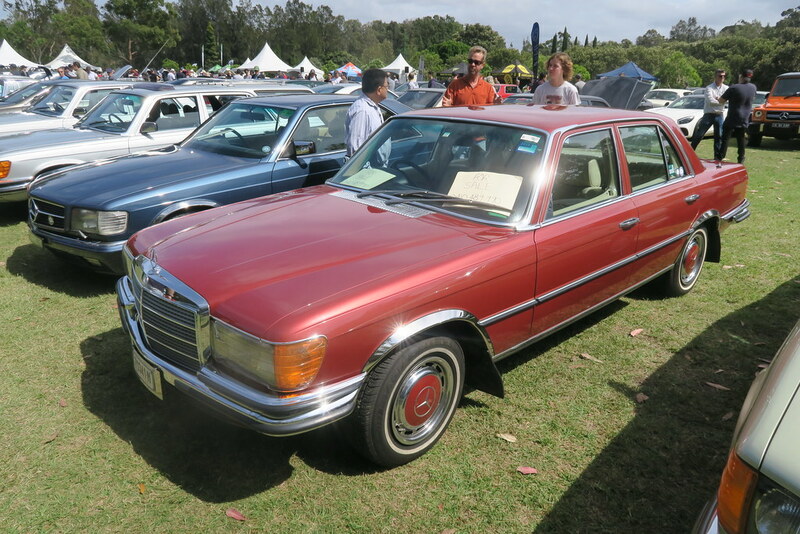 It was $35 only a couple of years ago. 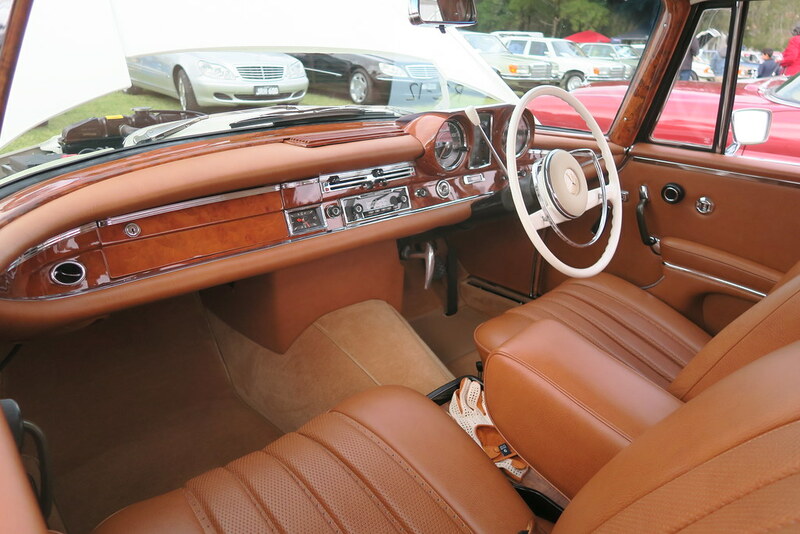 After I got home, I took the time to give the 250SE a good leather treatment. 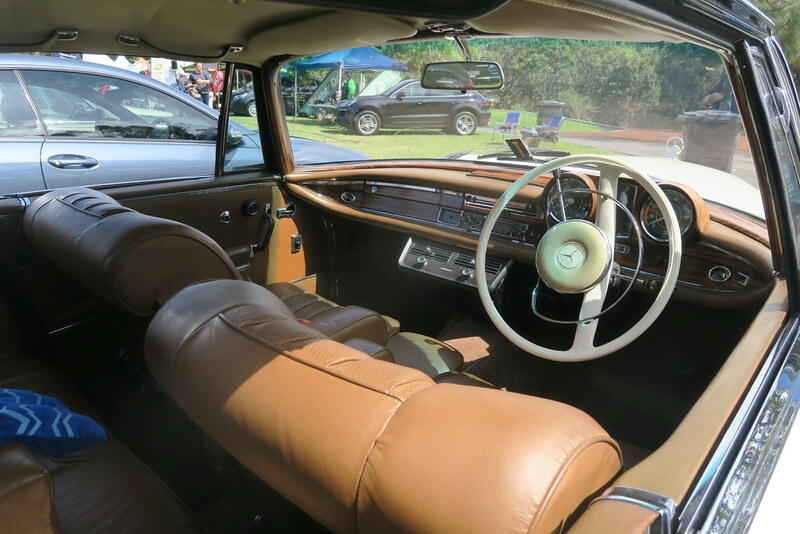 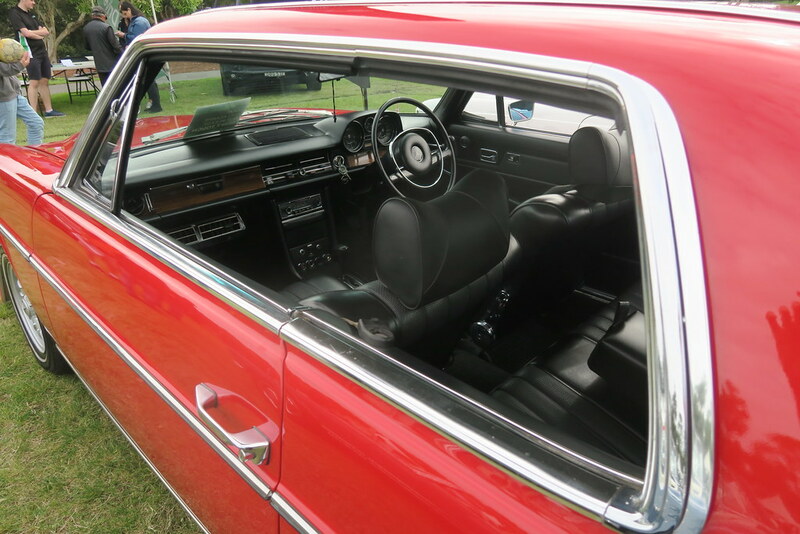 Since the car had been sitting out in the sun all day, the leather was nice and warm to allow the conditioner to get into the leather and keep it soft. 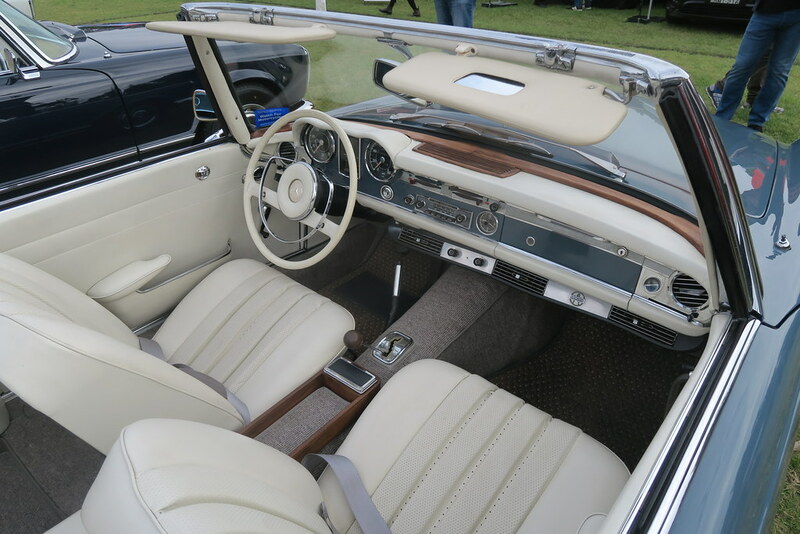 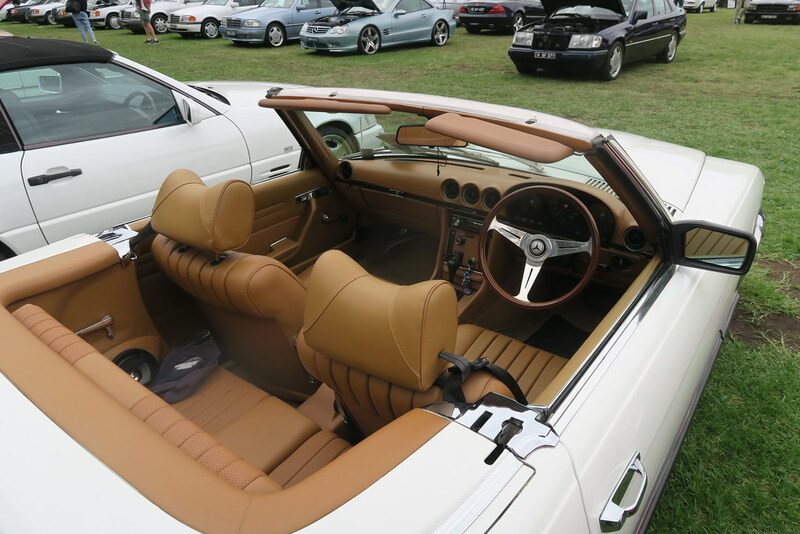 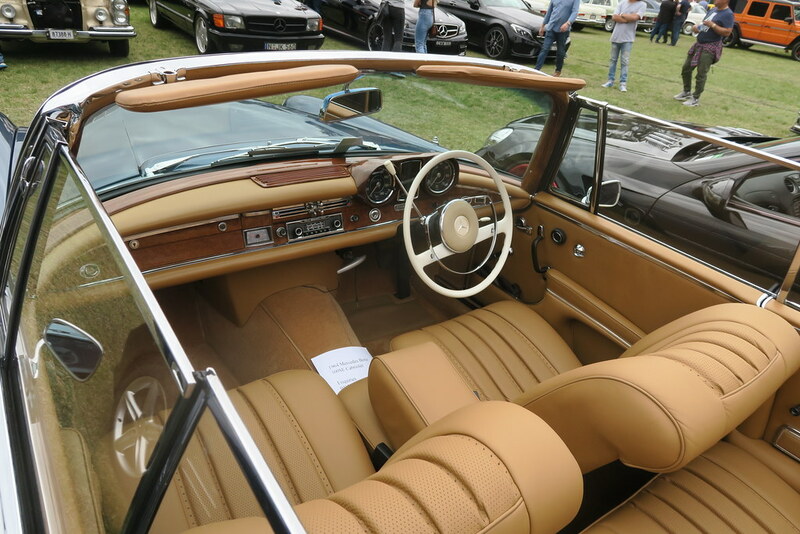 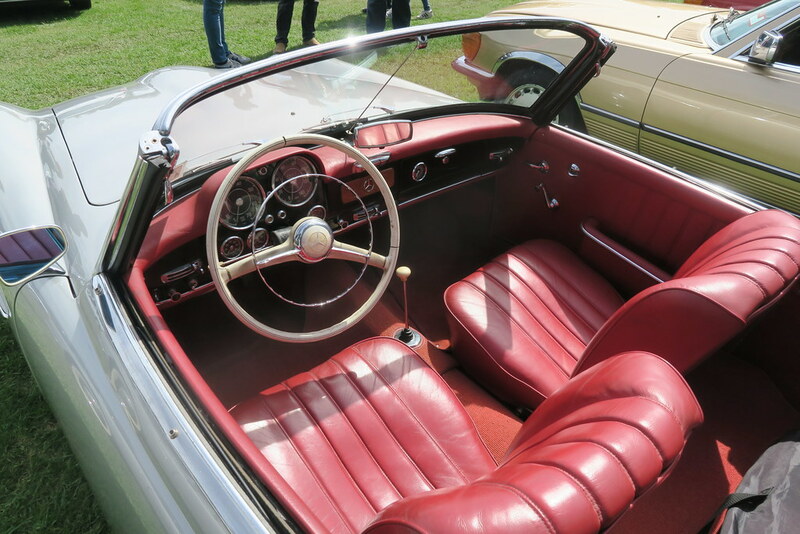 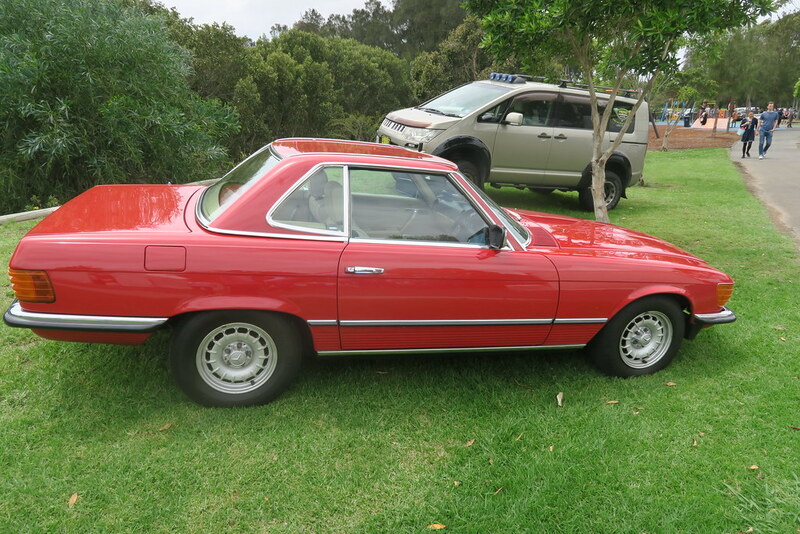 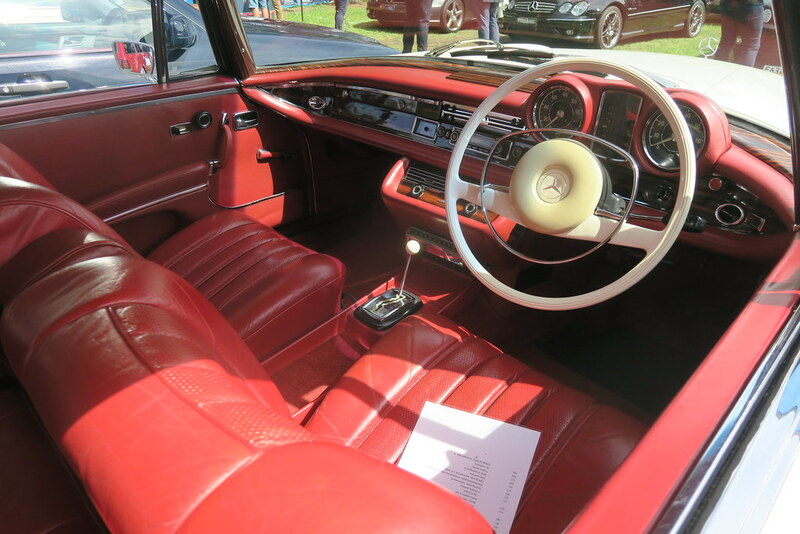 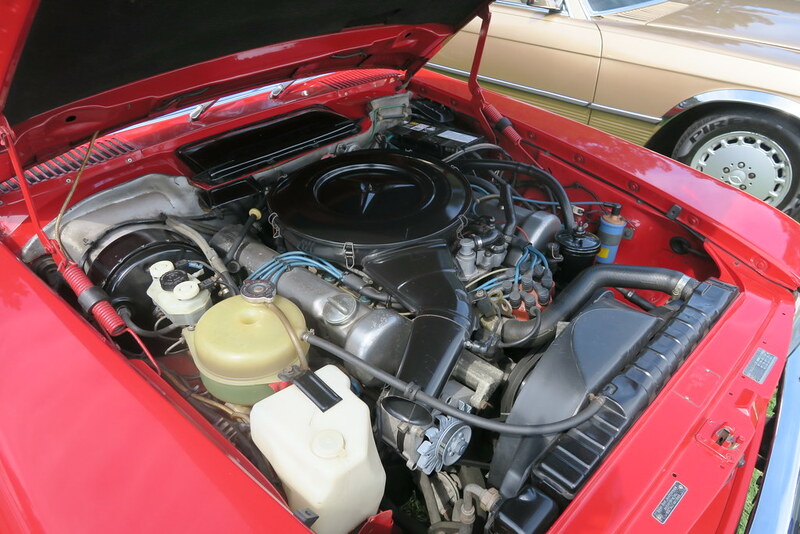 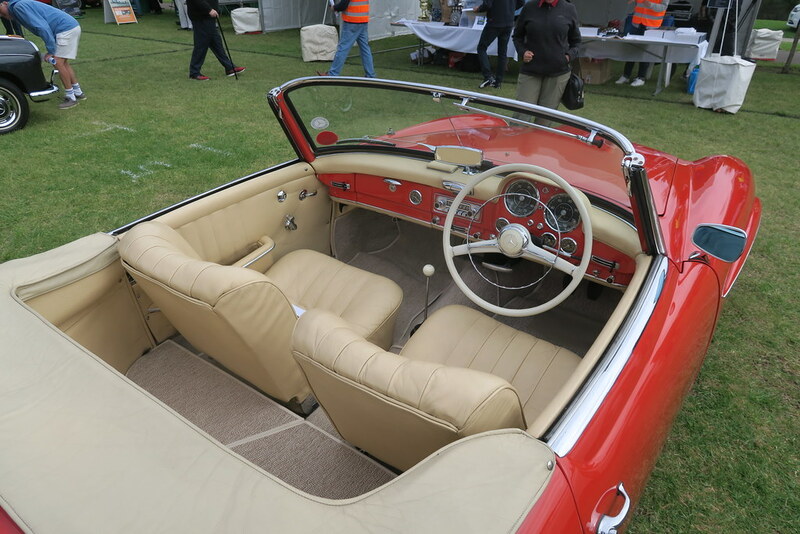 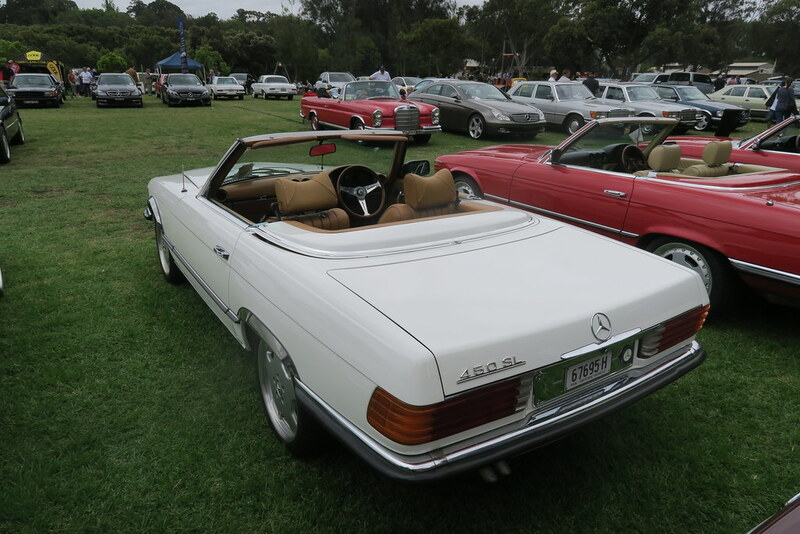 I also did the 450SLC, which still has original leather. 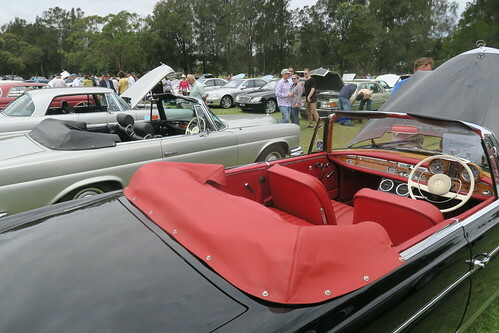 The drivers seat on that car has a few cracks in it, so I am keen to try and preserve it as best that I can. 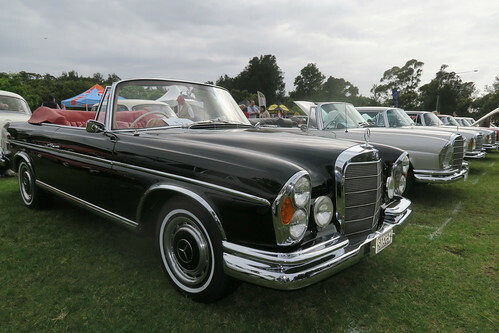 Unfortunately, I discovered that there was a smudge on the lens of the camera which impacted the quality of the photos. 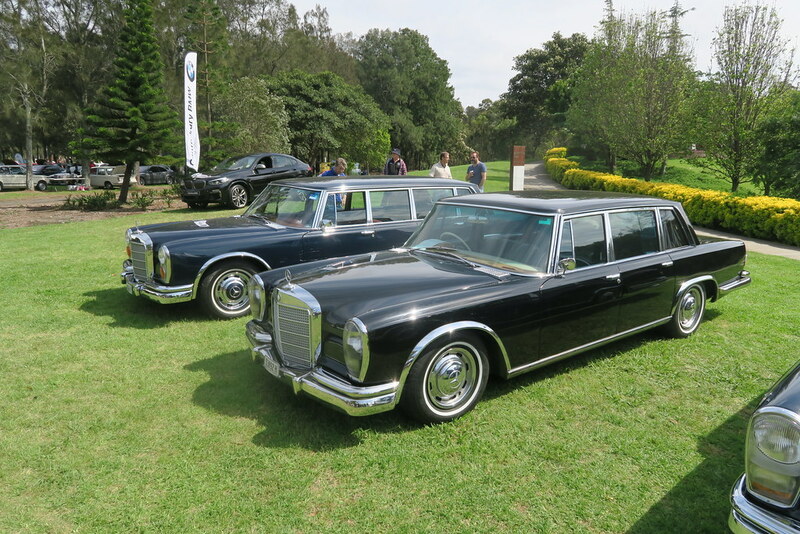 Therefore they are not up to the standard I would like.